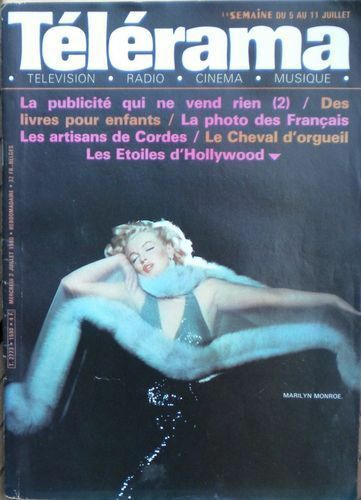 Le 13 juillet 1948, Marilyn Monroe est photographiée par Ed Cronenweth pour le film "Les Reines du music-hall", pour la Columbia. 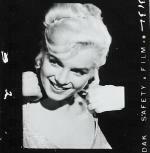 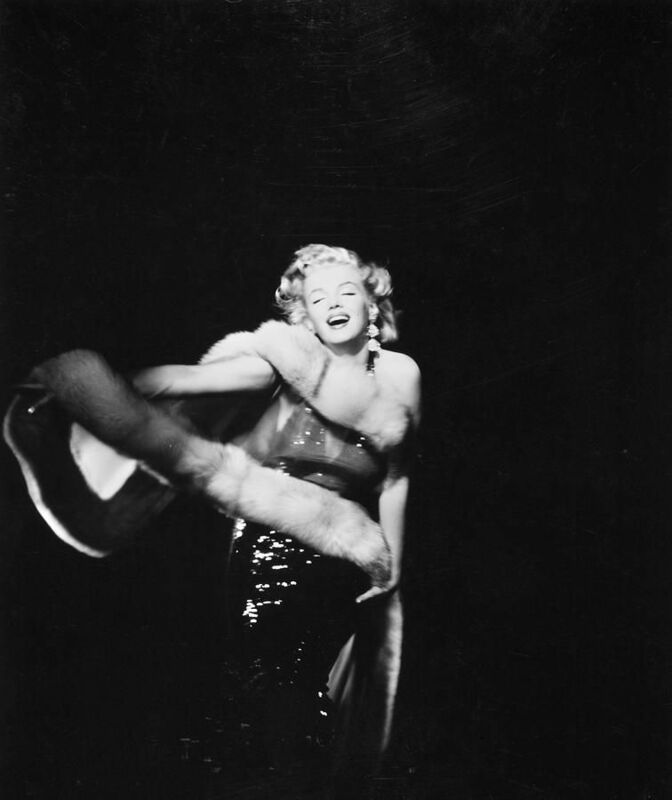 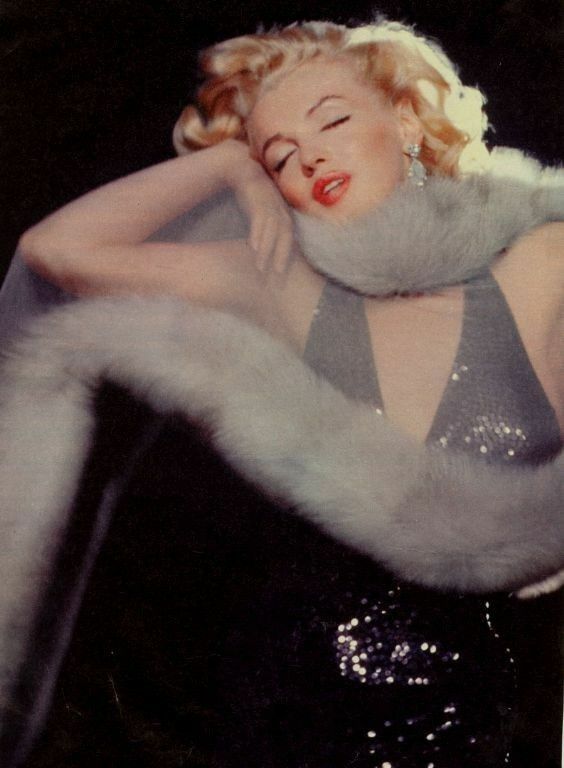 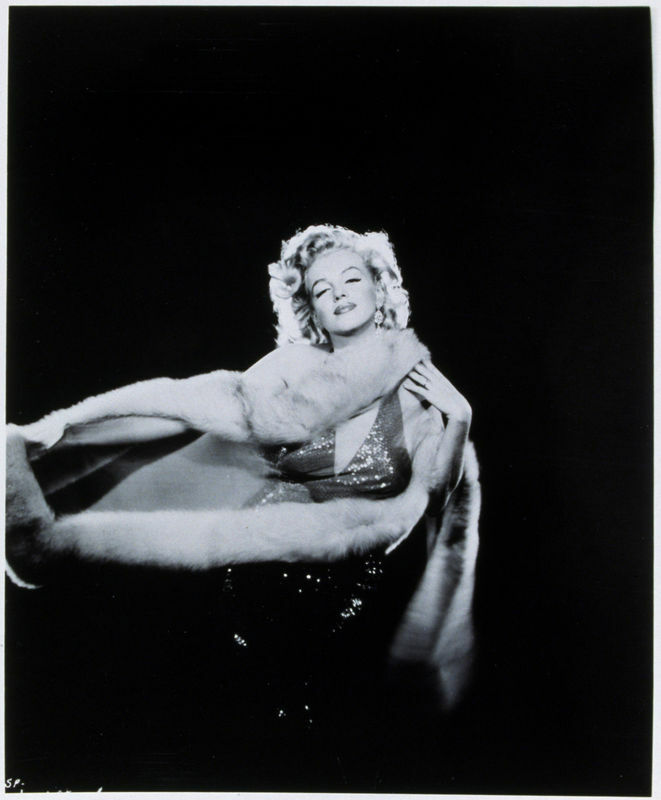 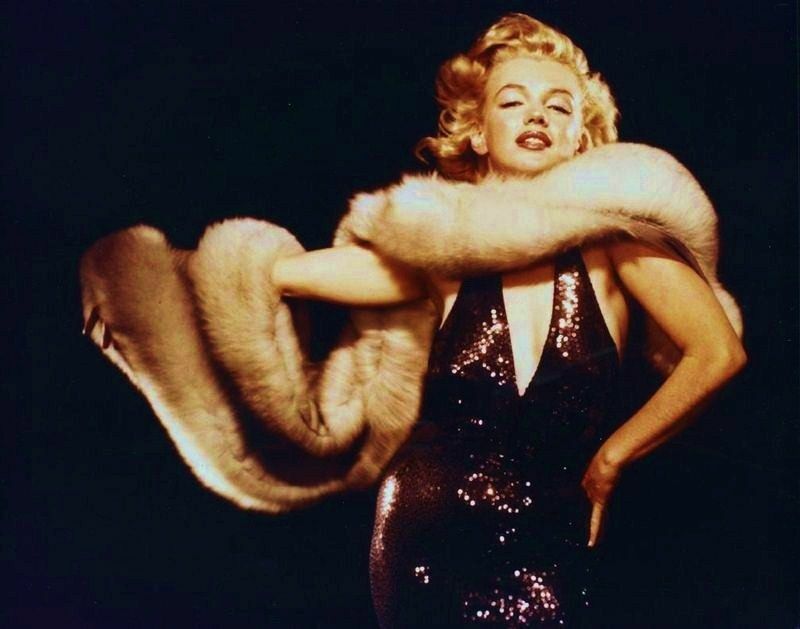 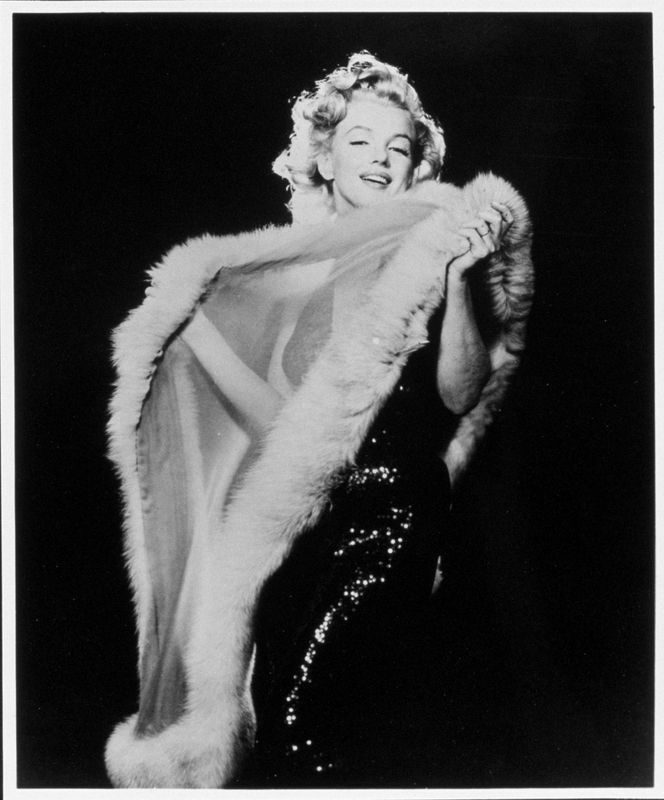 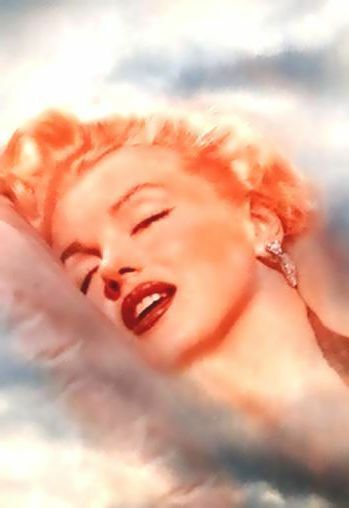 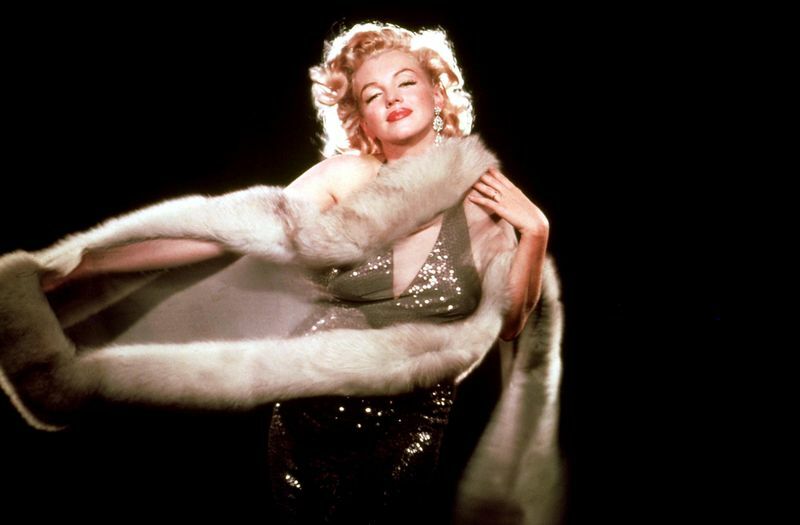 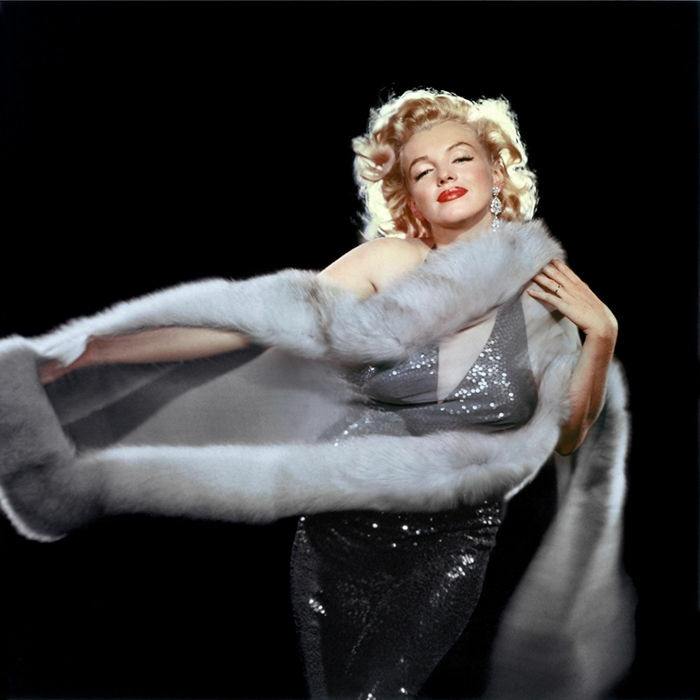 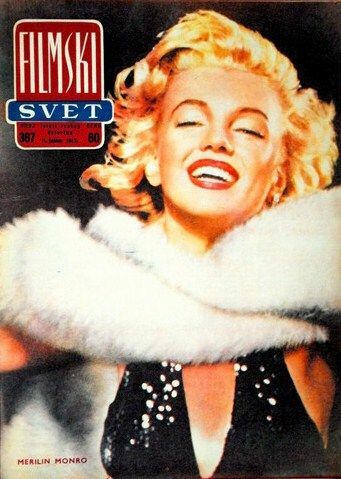 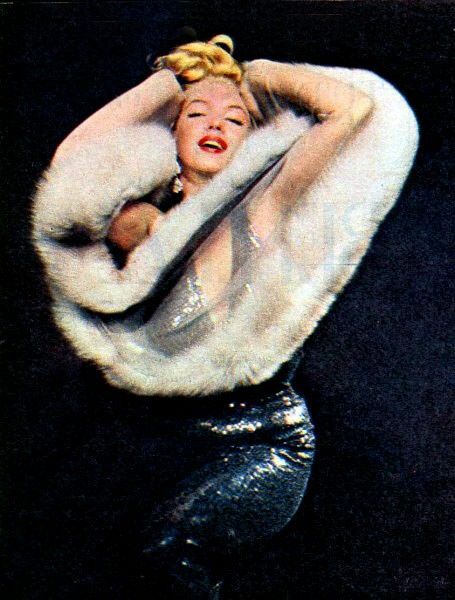 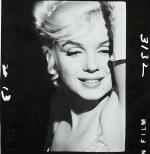 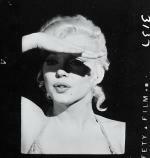 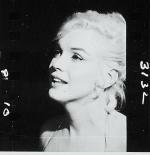 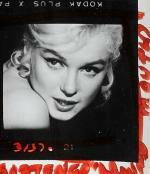 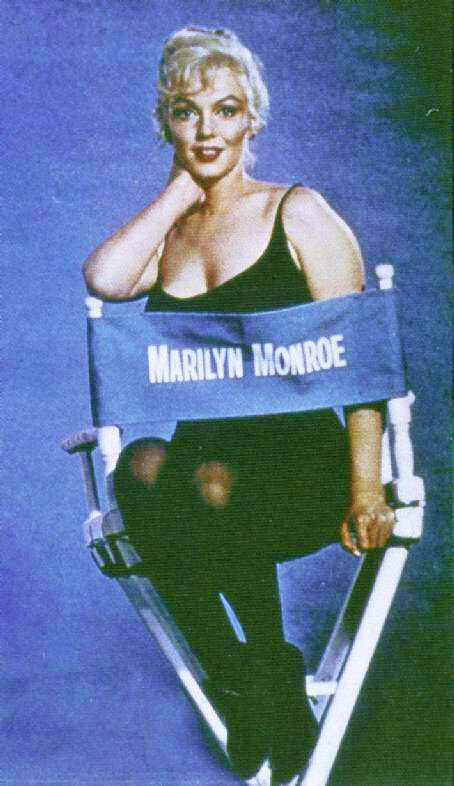 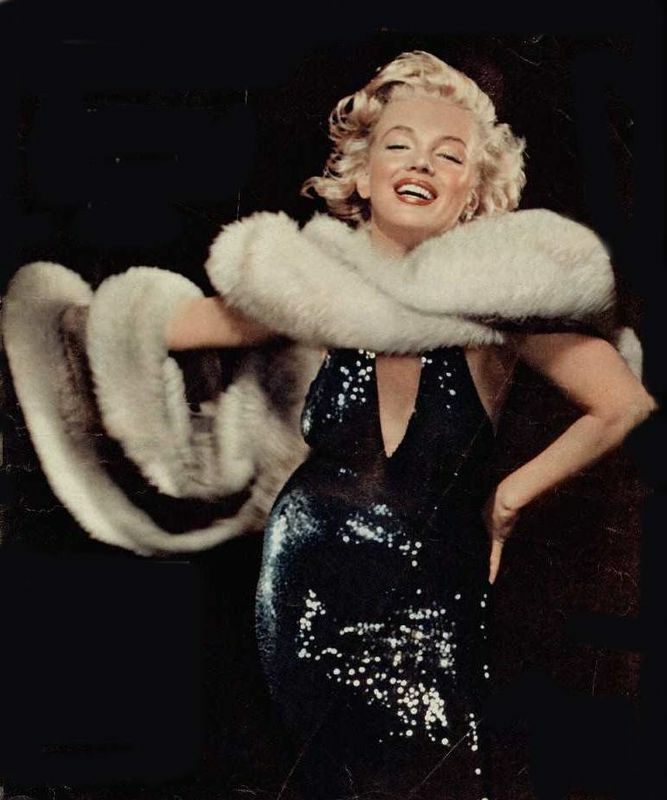 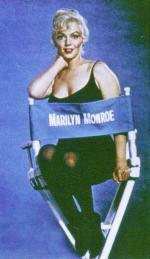 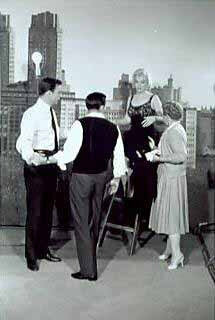 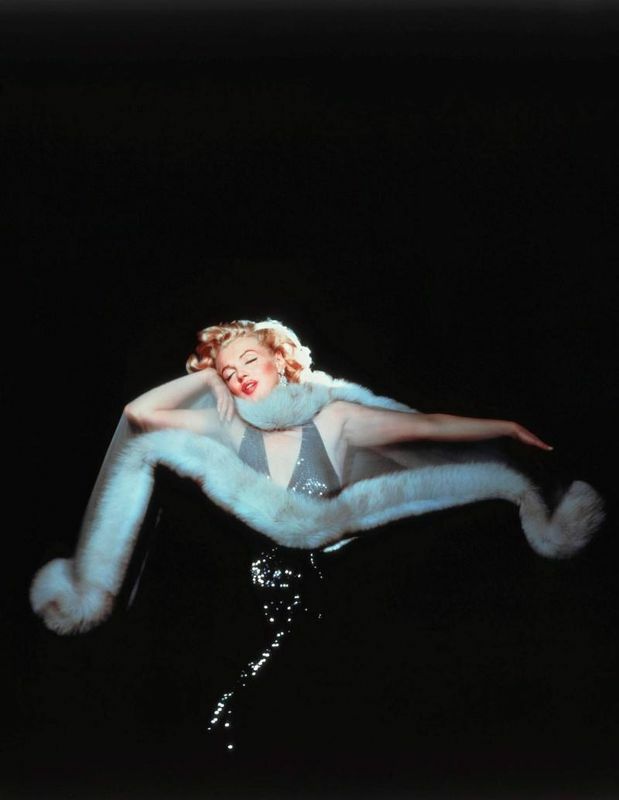 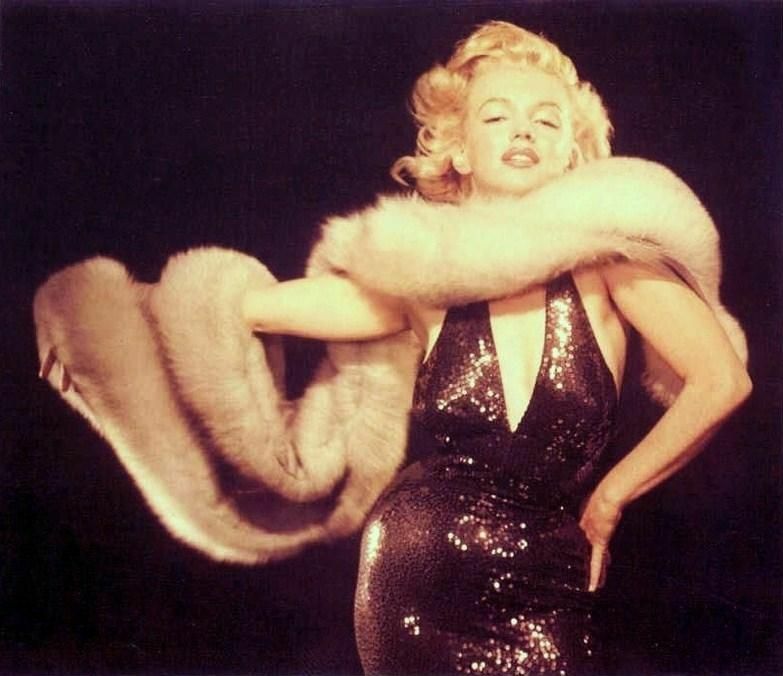 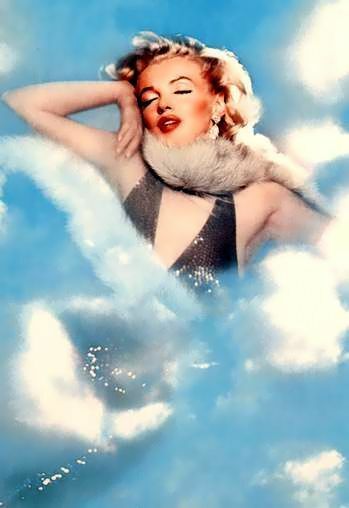 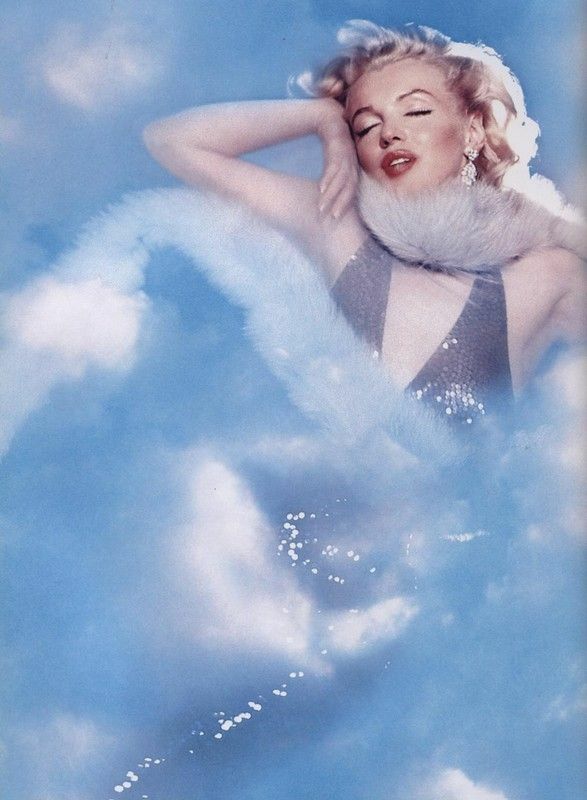 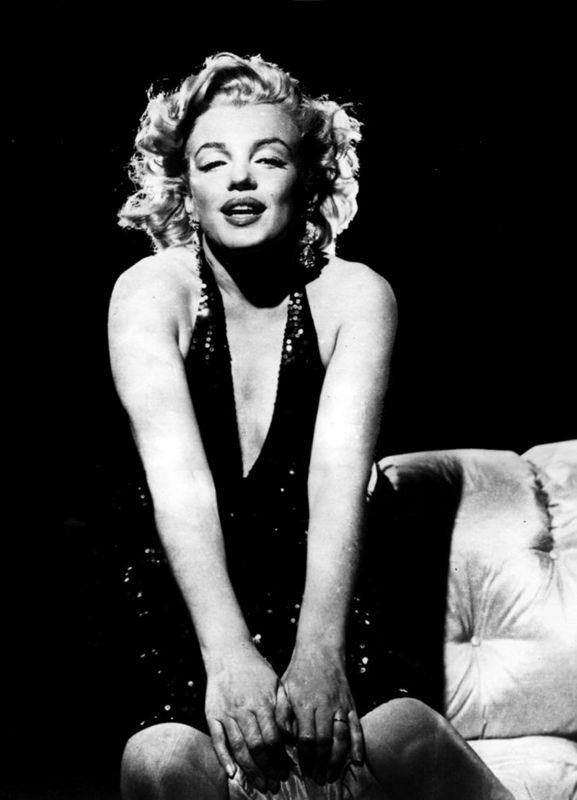 In July, 13, 1948, Marilyn Monroe is photographied by Ed Cronenweth for the movie "Ladies of the Chorus" tfor the Columbia. 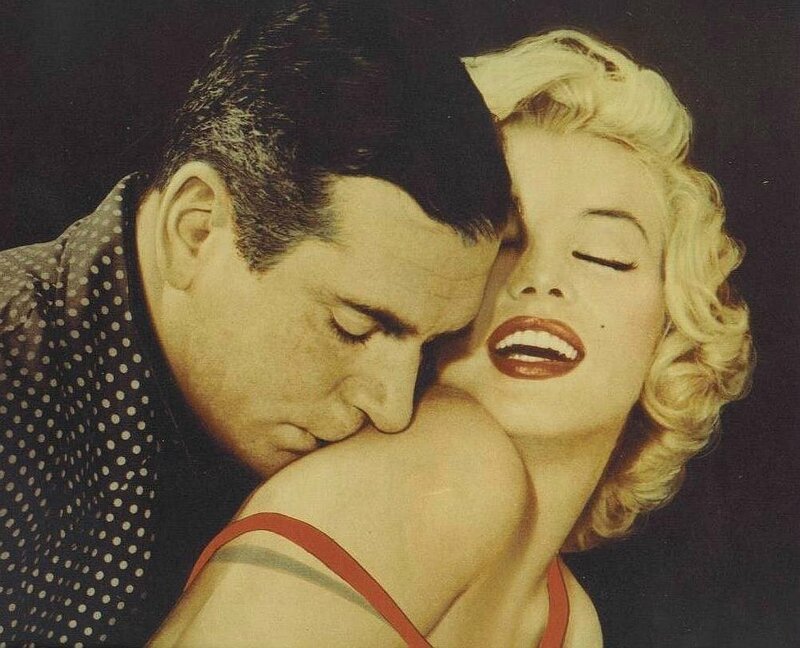 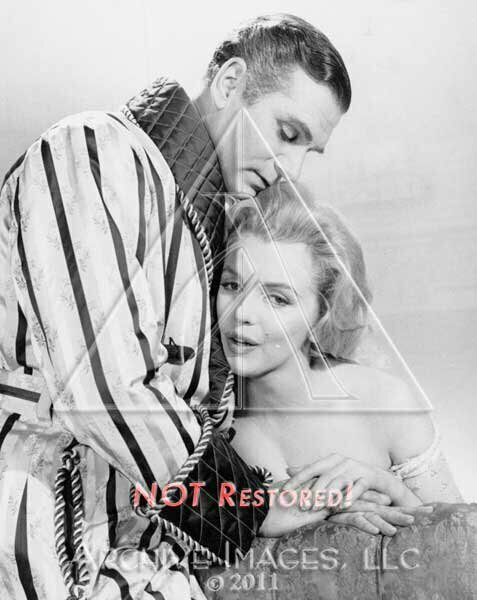 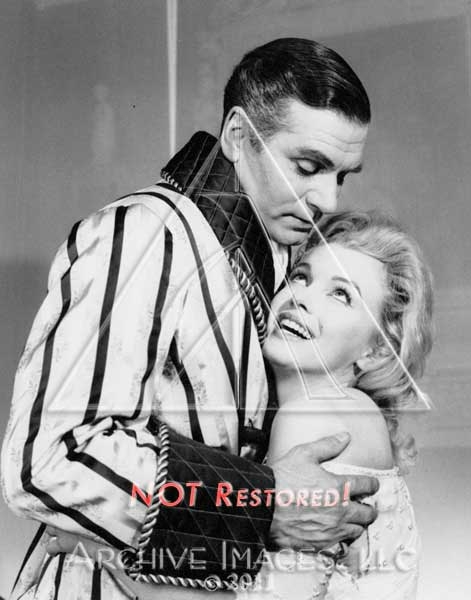 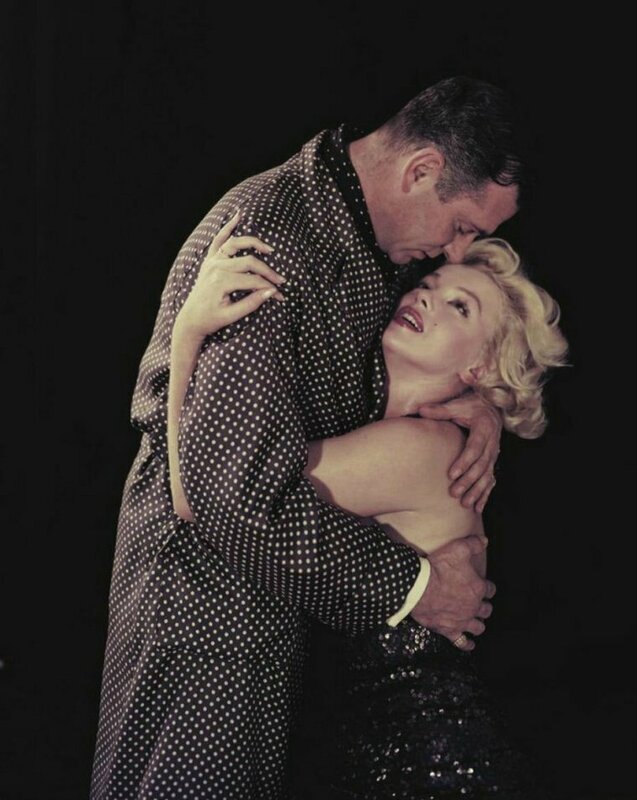 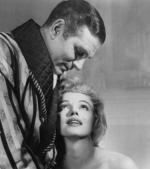 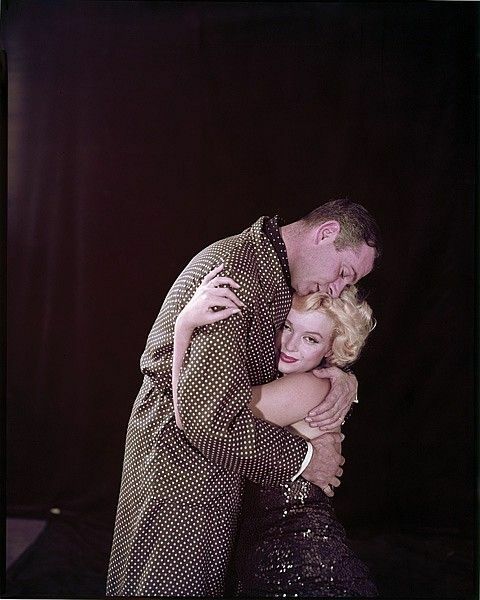 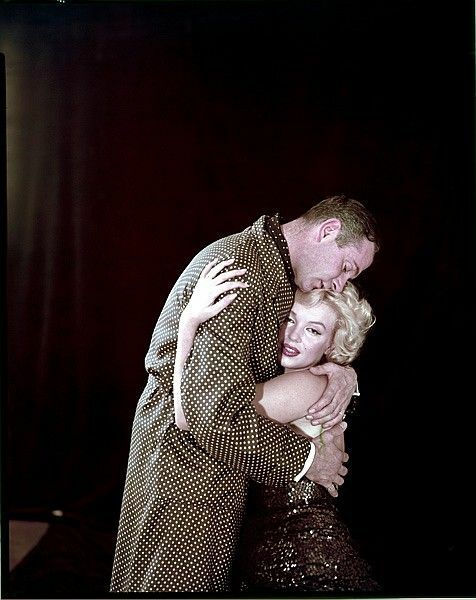 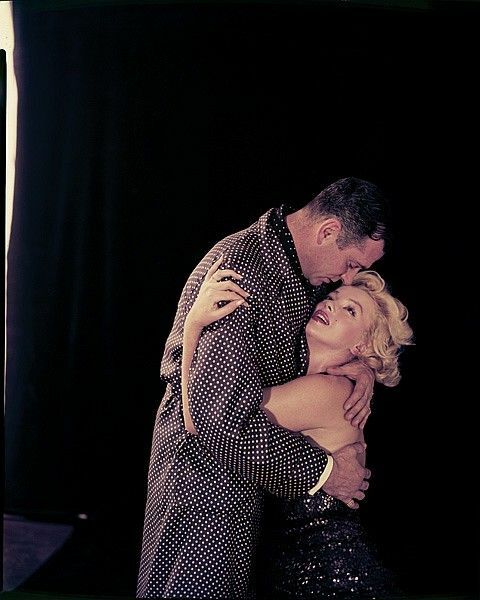 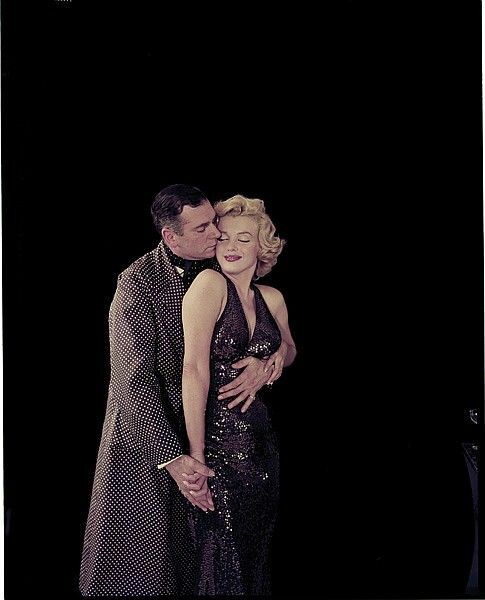 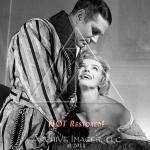 Marilyn Monroe et Laurence Olivier photographiés par Milton H Greene en 1957. 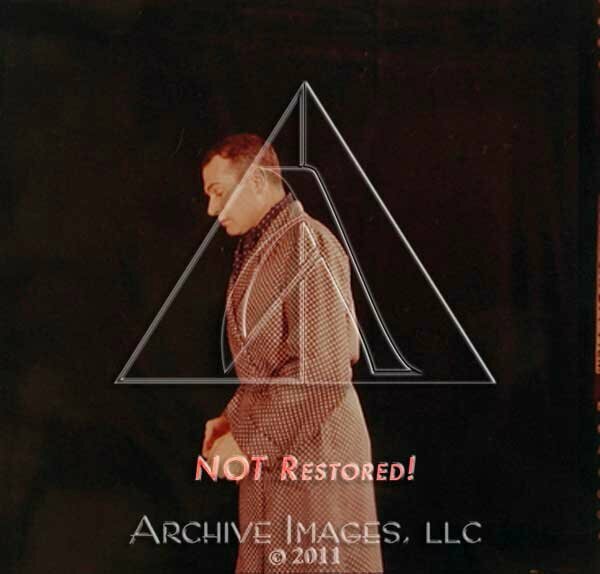 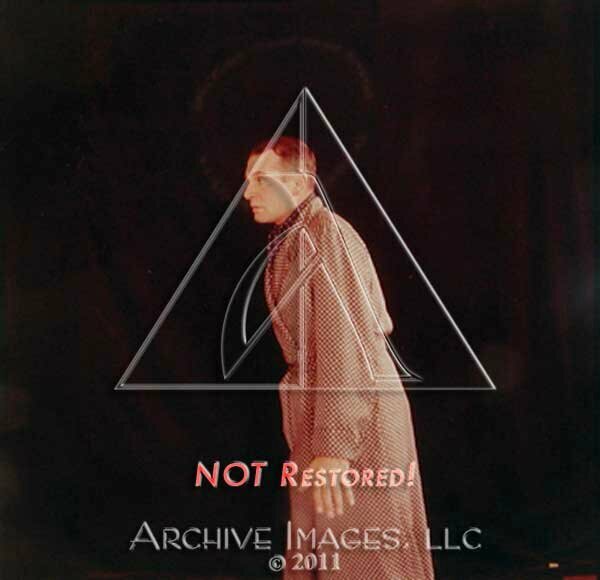 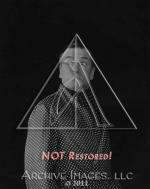 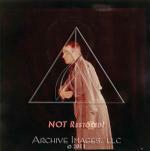 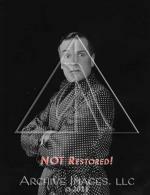 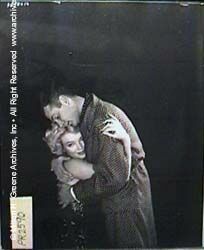 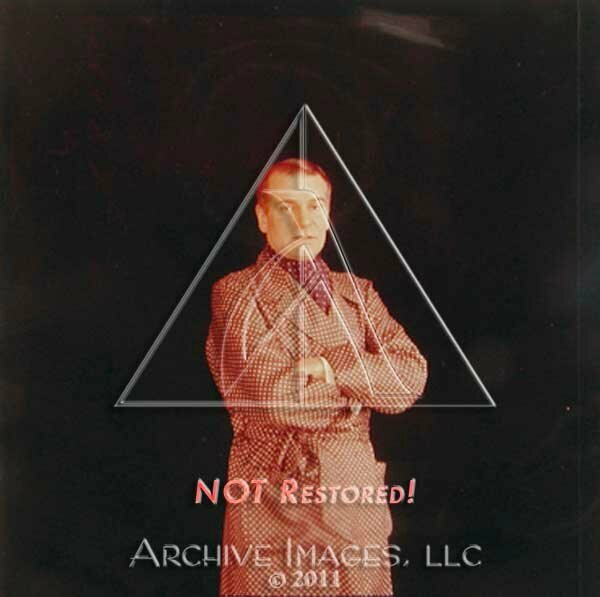 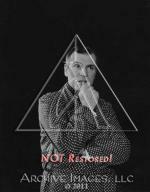 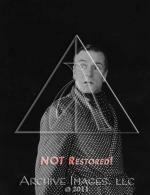 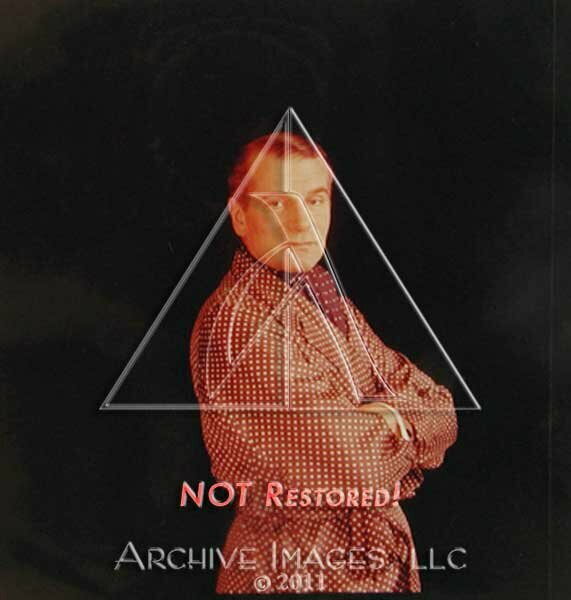 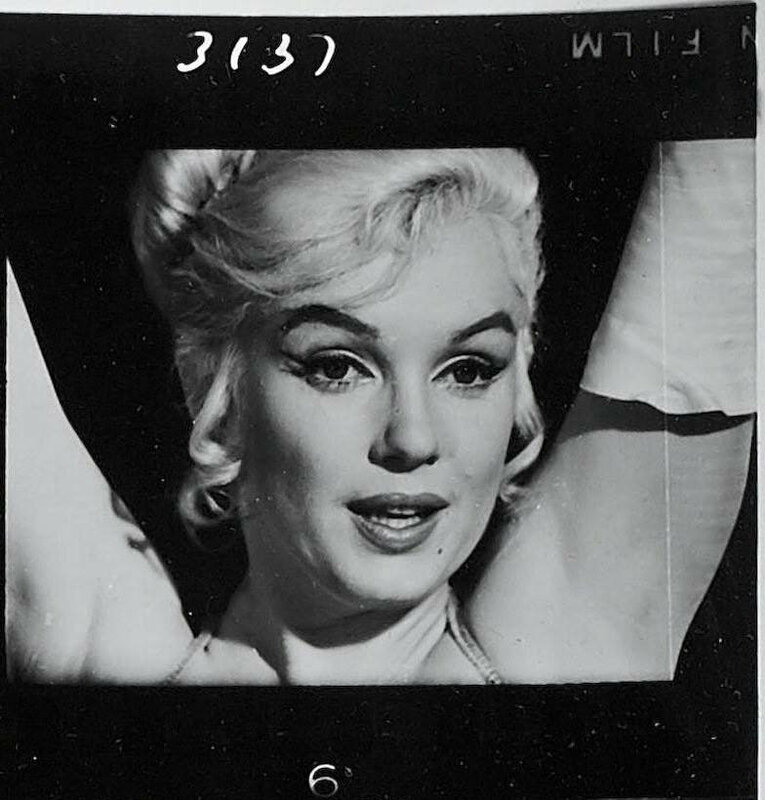 Photographies publicitaires pour "Le Prince et la Danseuse". 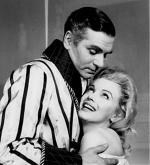 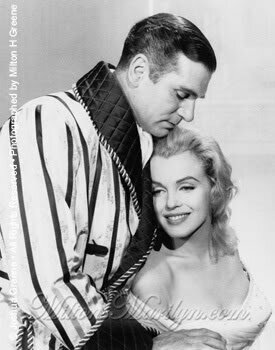 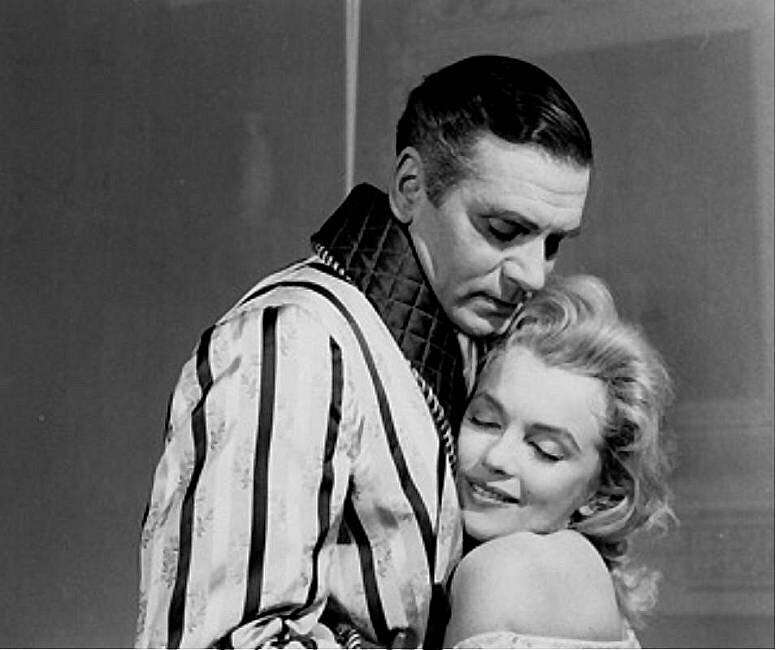 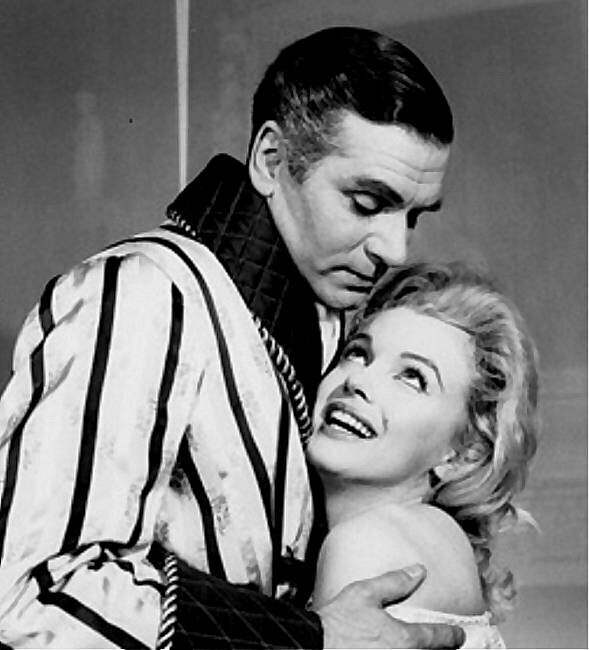 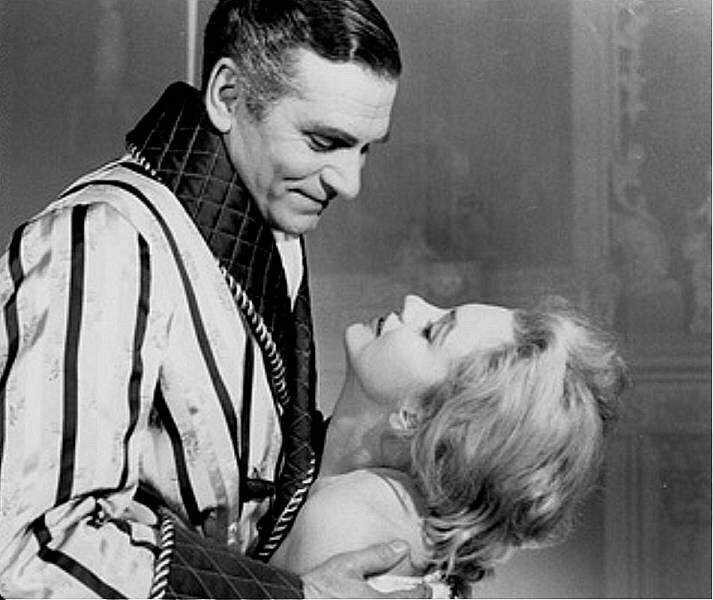 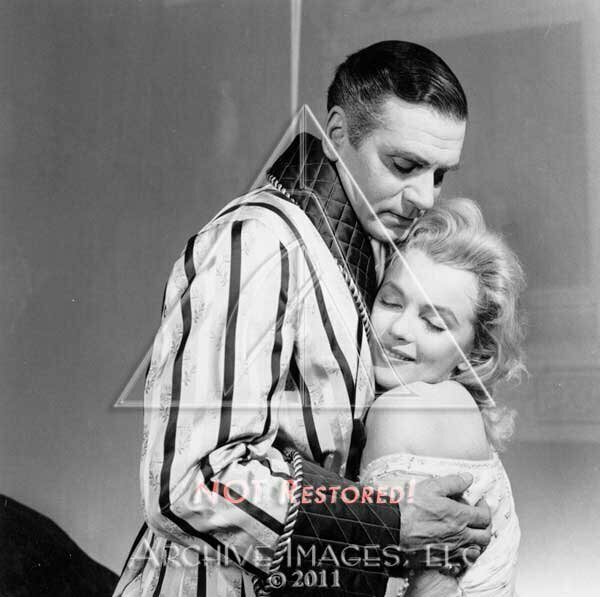 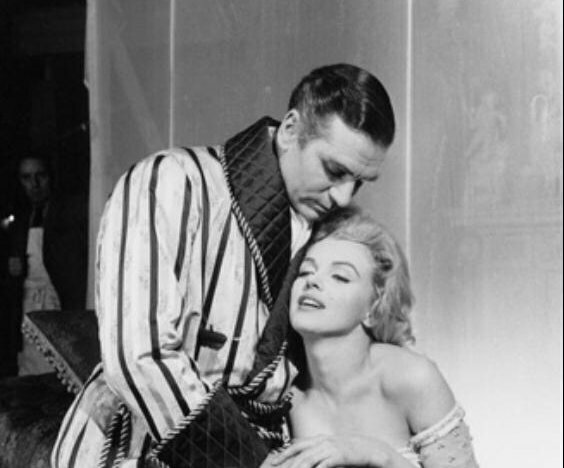 Marilyn Monroe and Laurence Olivier photographed by Milton H Greene, in 1957. 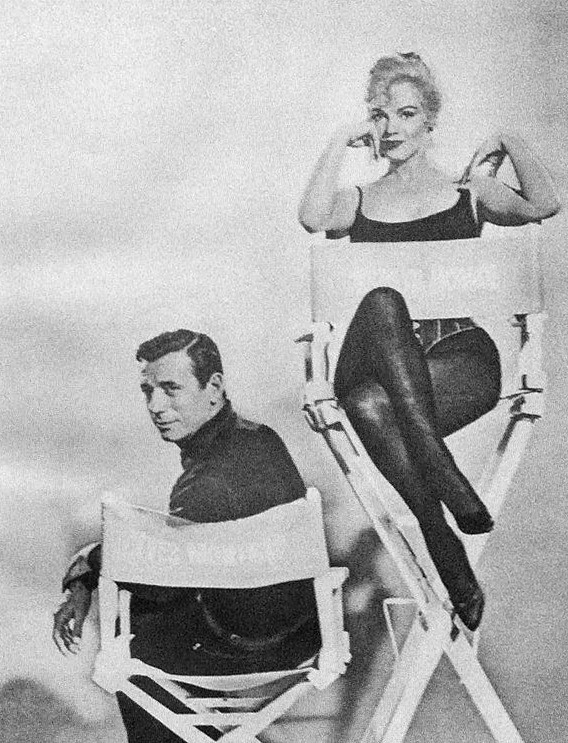 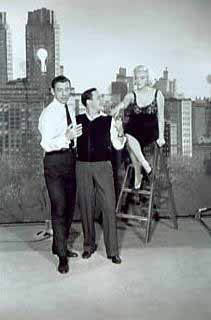 Publicity sitting for "The Prince and the Showgirl". 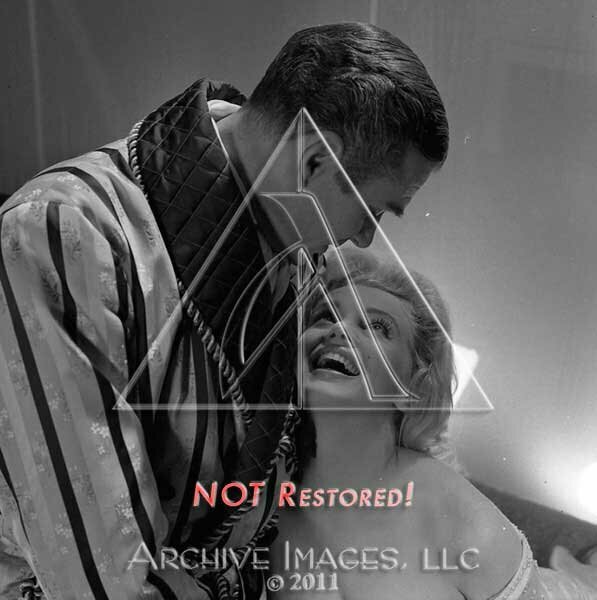 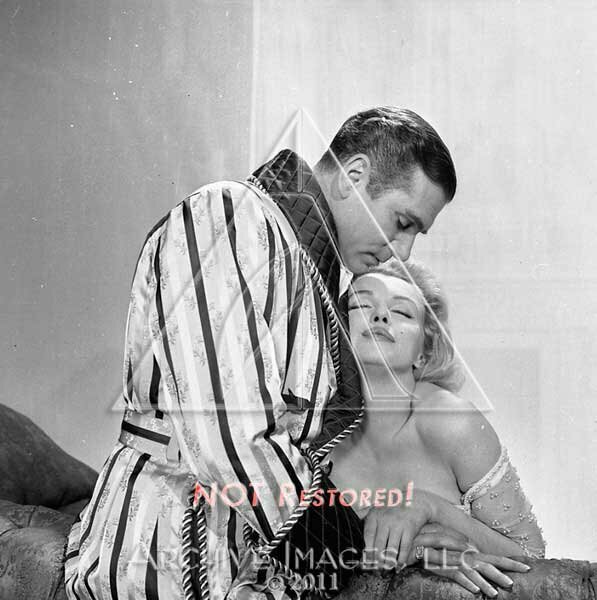 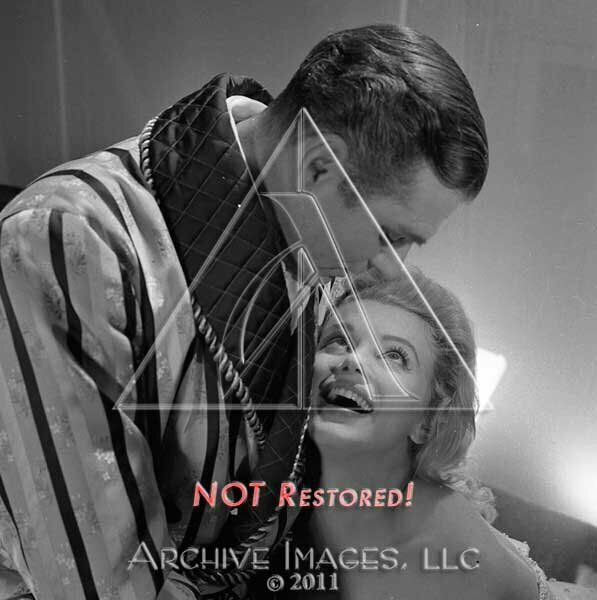 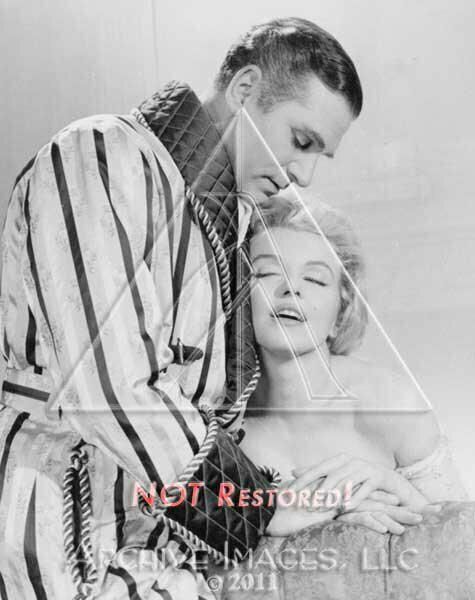 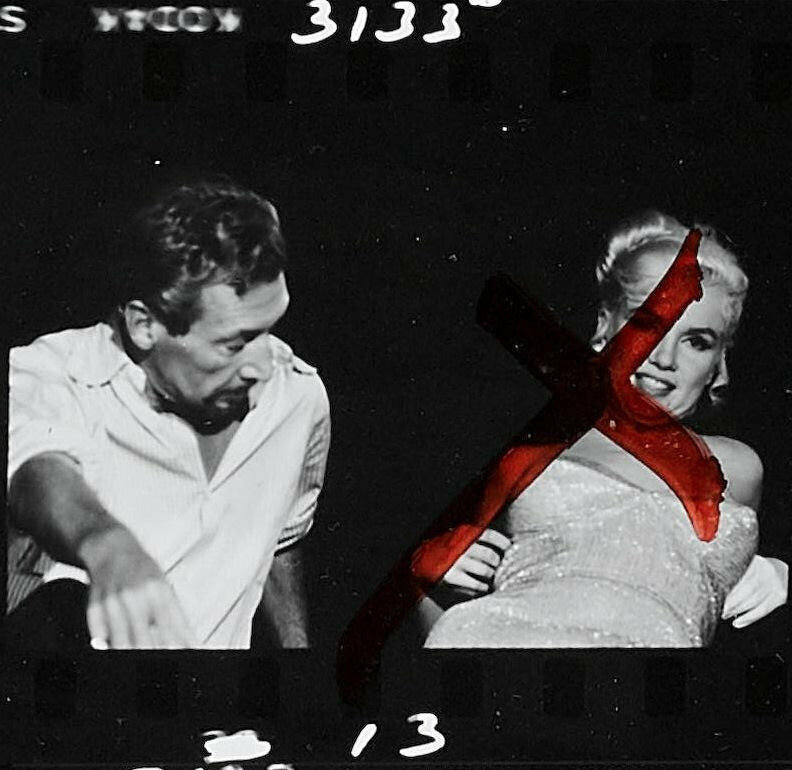 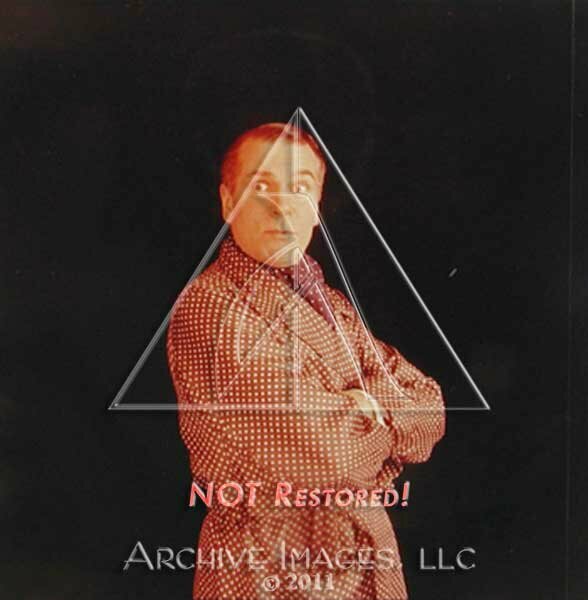 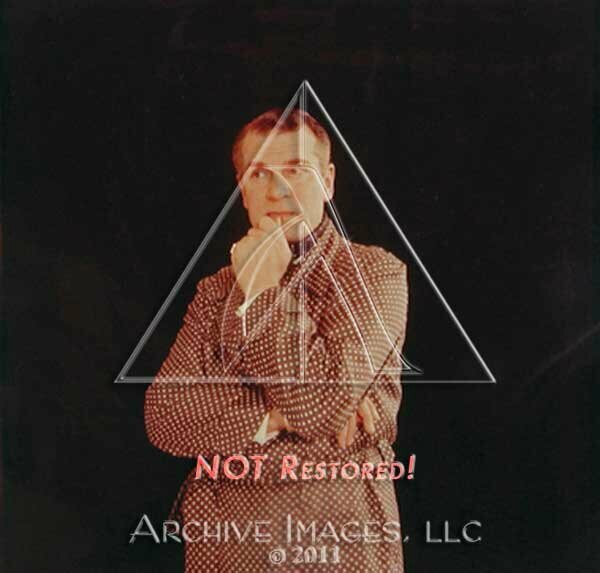 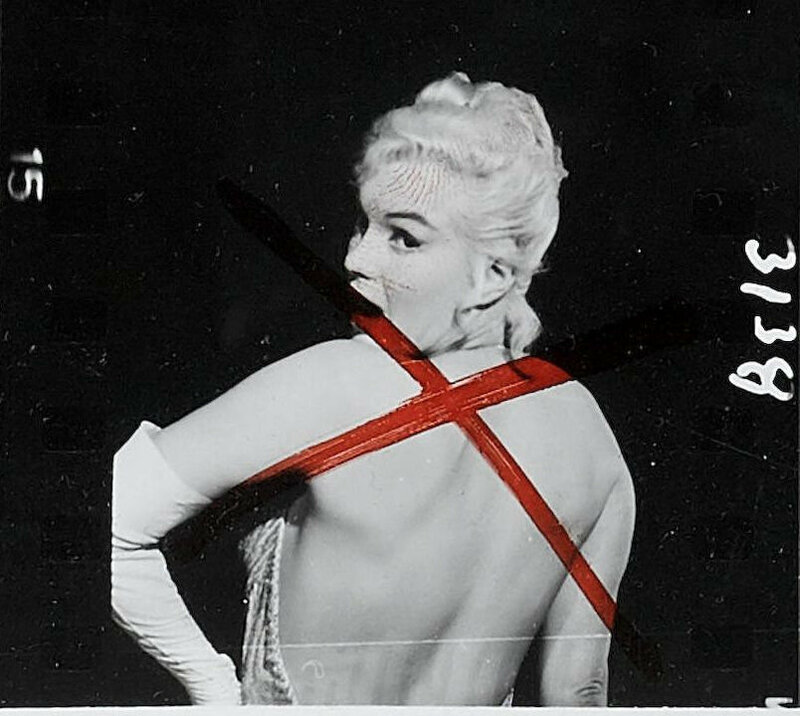 > Photos de la session "PR": "Prince & the Showgirl"
A pair of telegrams written to Marilyn Monroe by Let’s Make Love (20th Century, 1960) producer Jerry Wald. 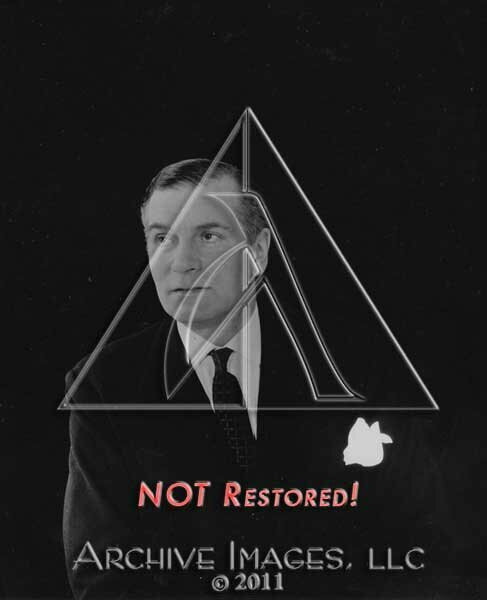 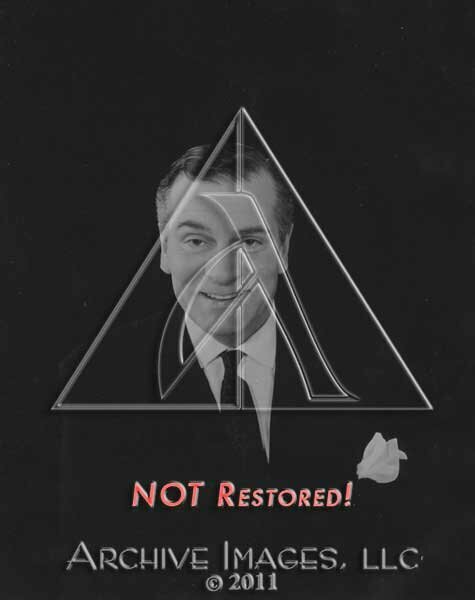 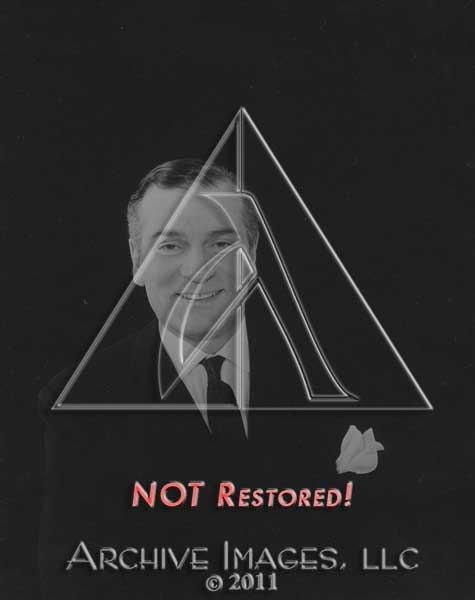 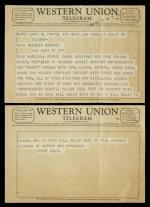 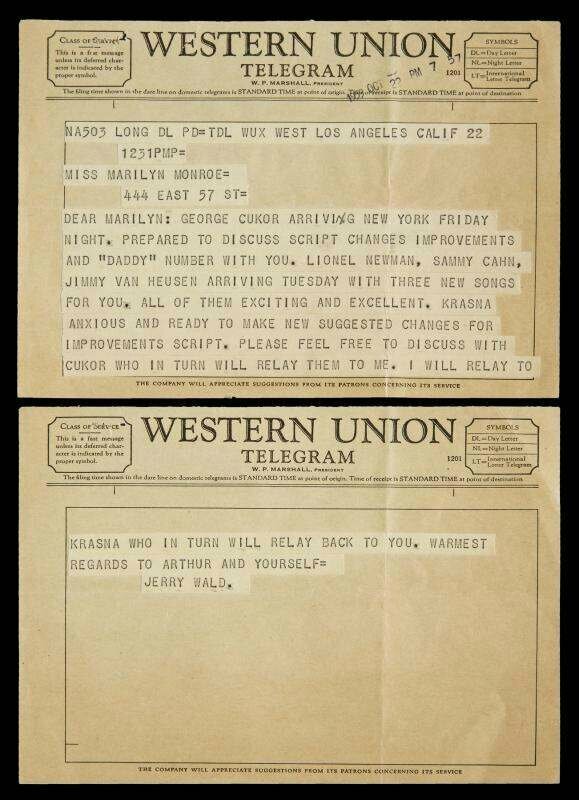 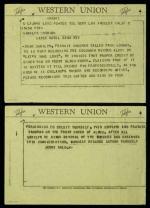 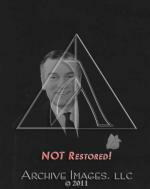 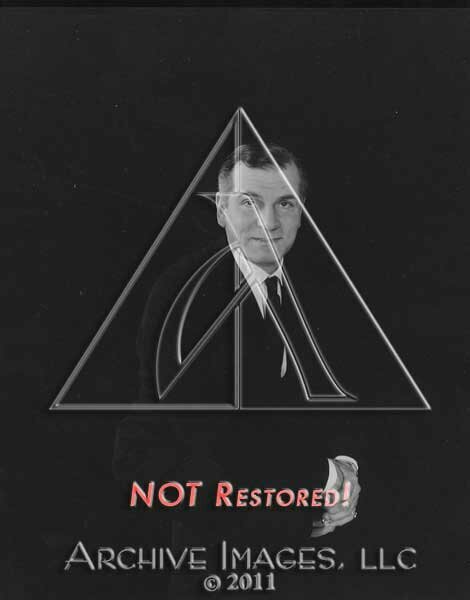 The first two-page telegram is dated October 22, 1959, and concerns to script changes and songs. 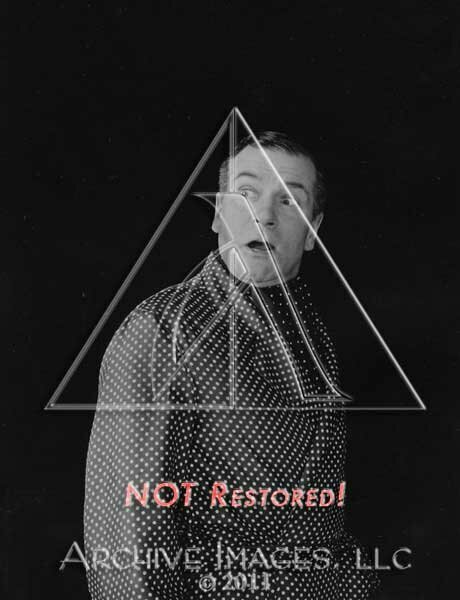 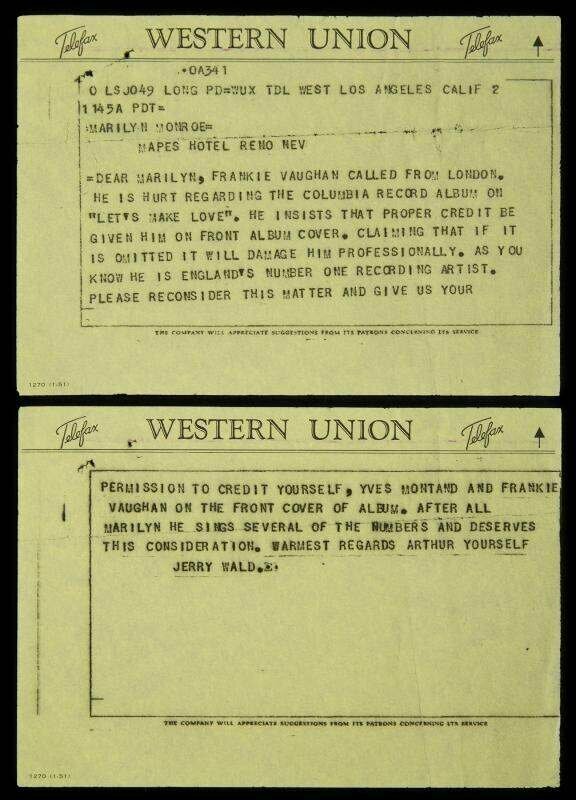 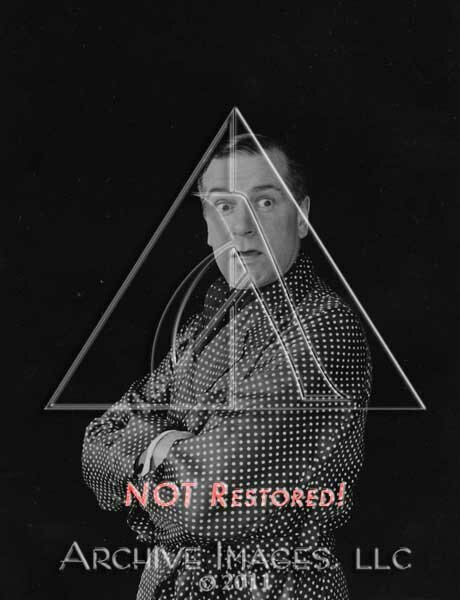 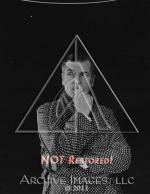 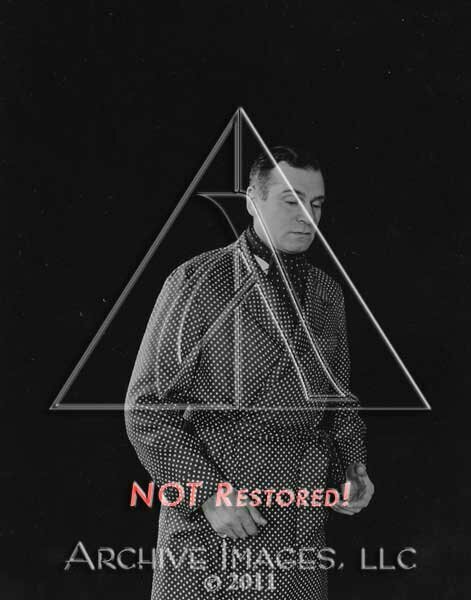 The second two-page telefax, undated, concerns Frankie Vaughan being credited on the front of the film’s soundtrack album. 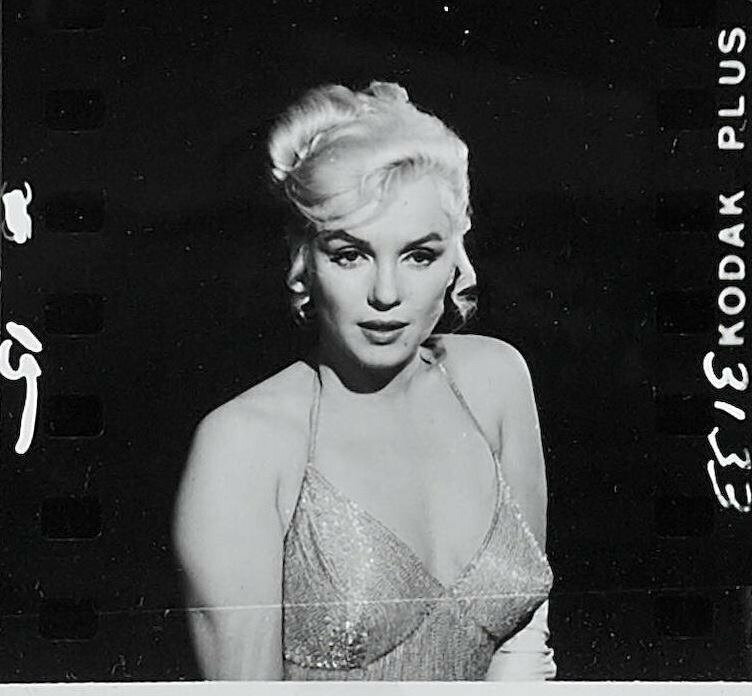 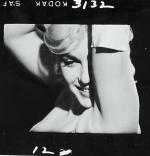 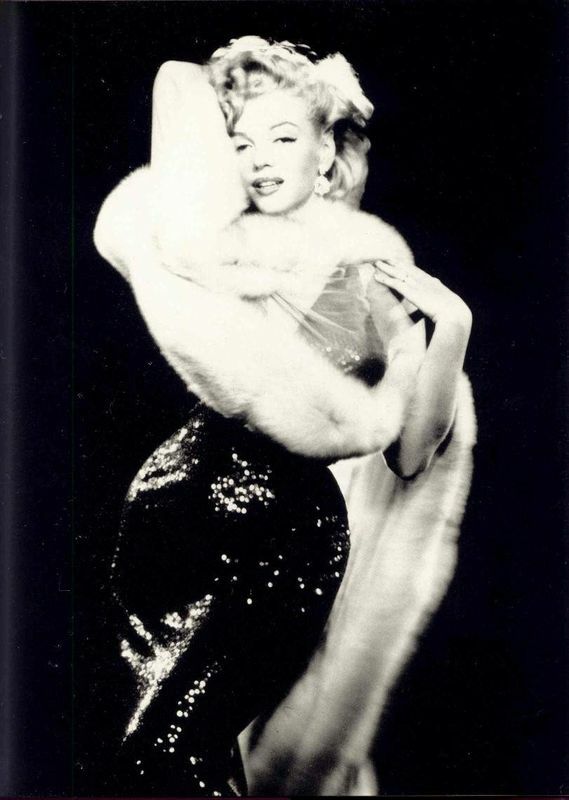 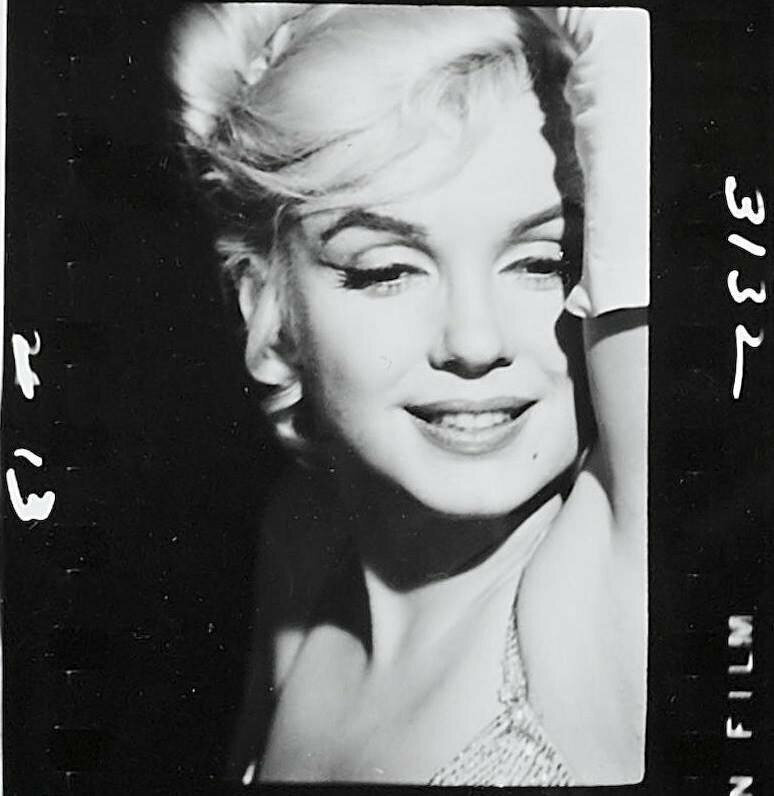 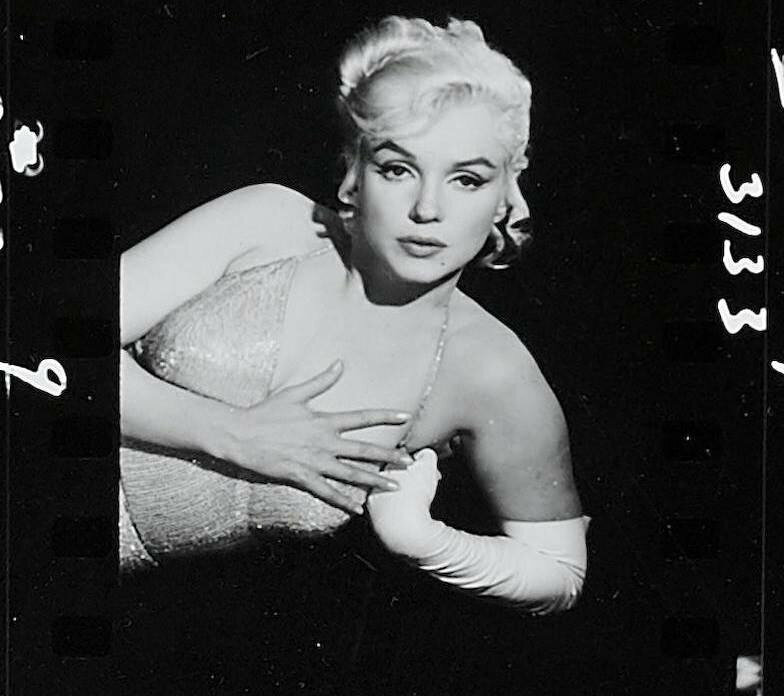 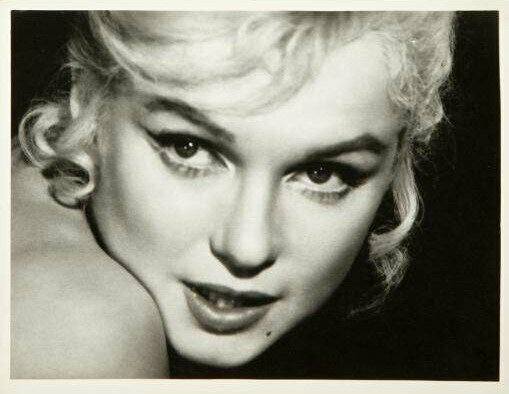 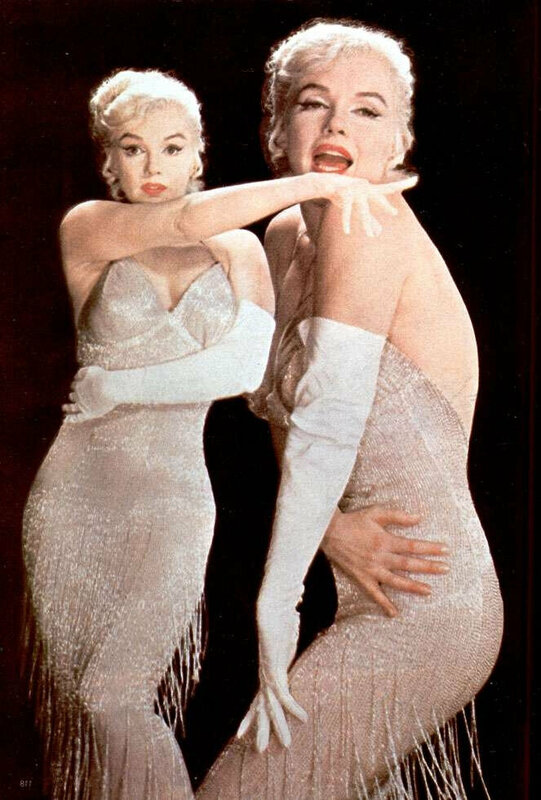 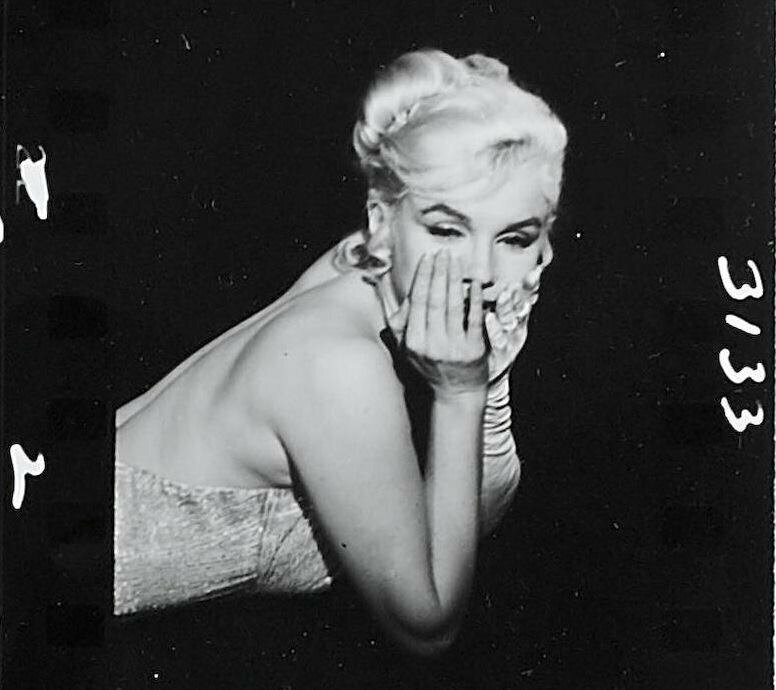 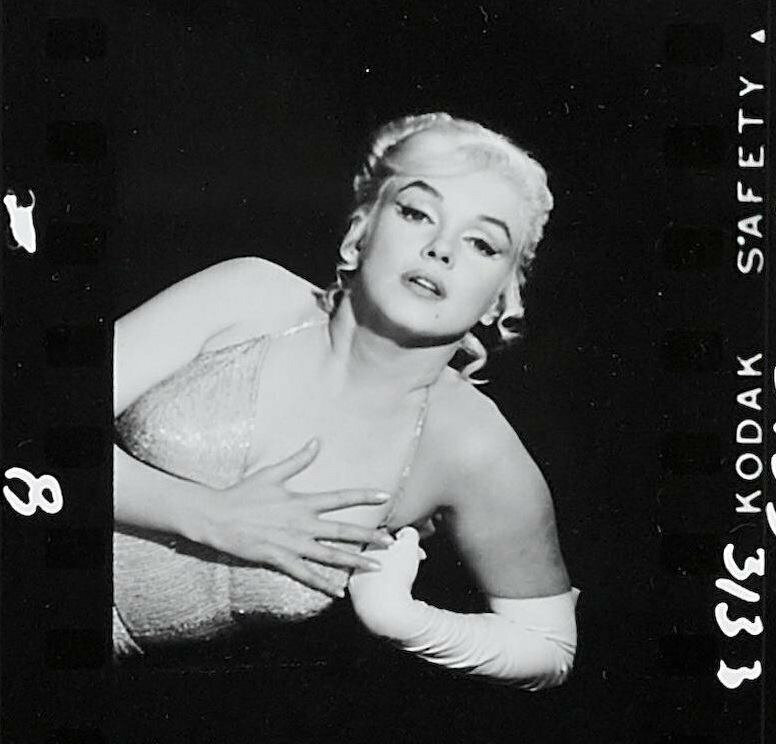 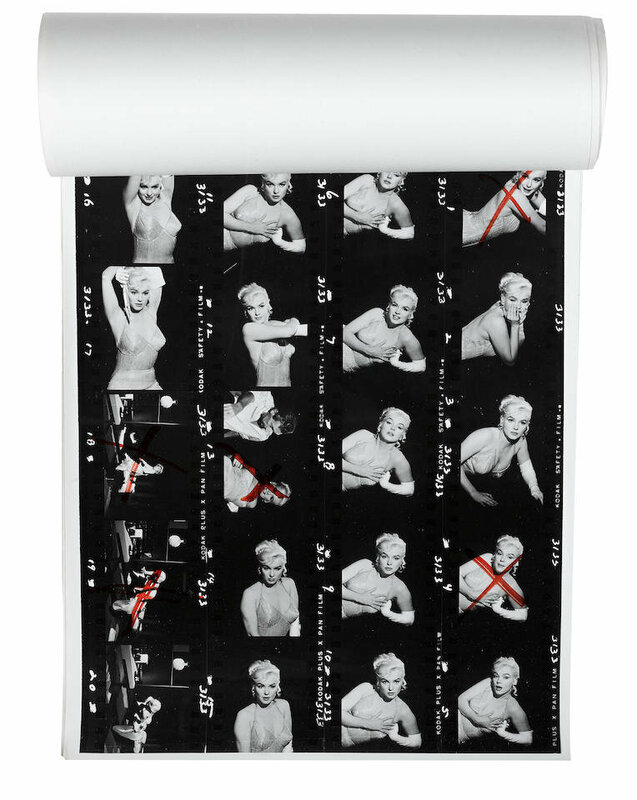 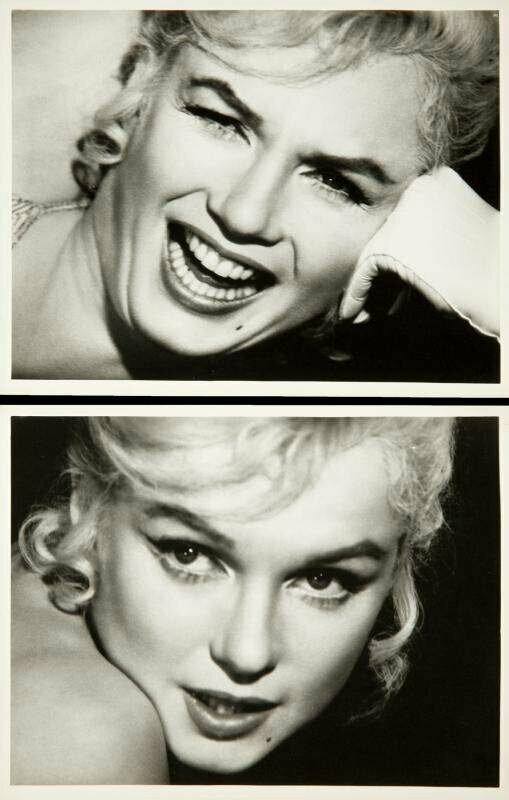 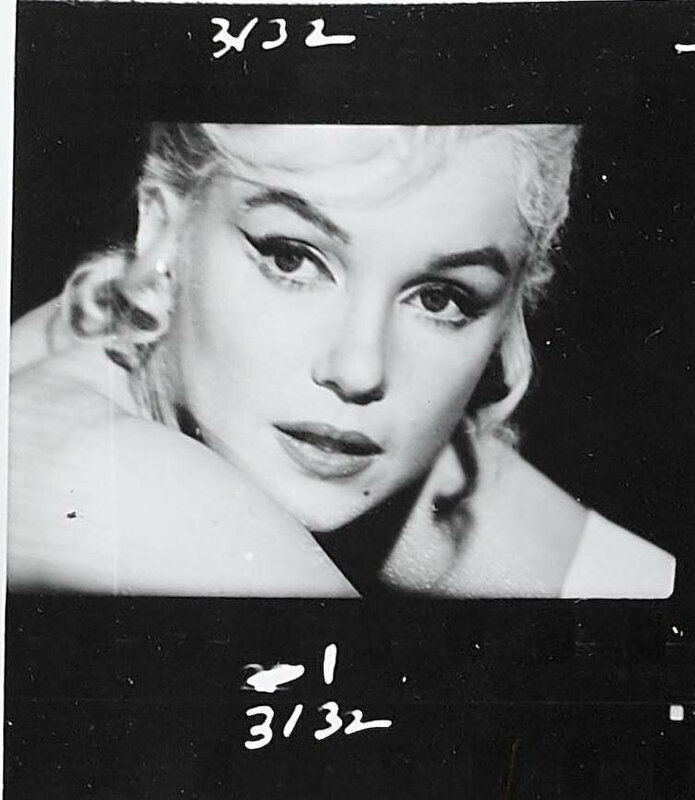 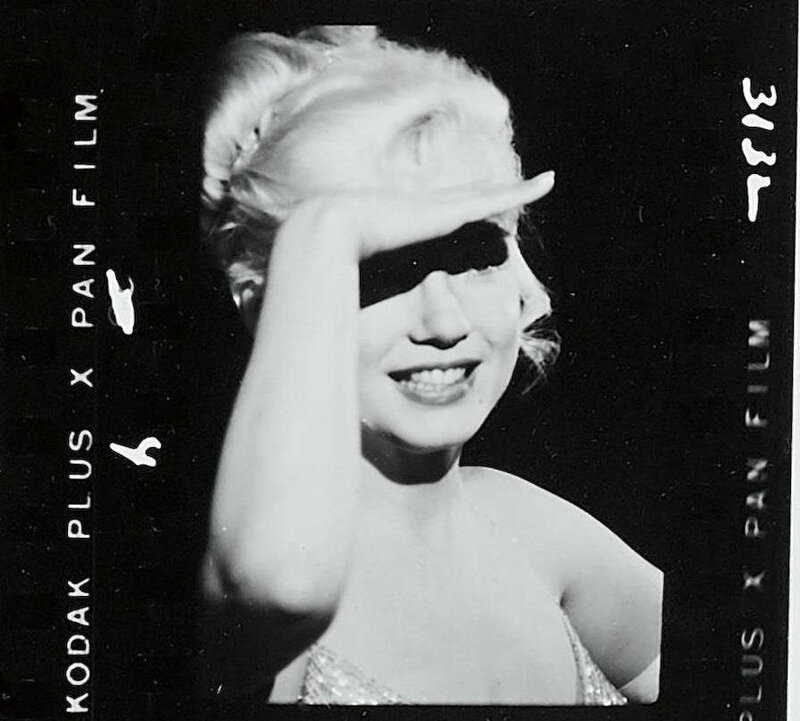 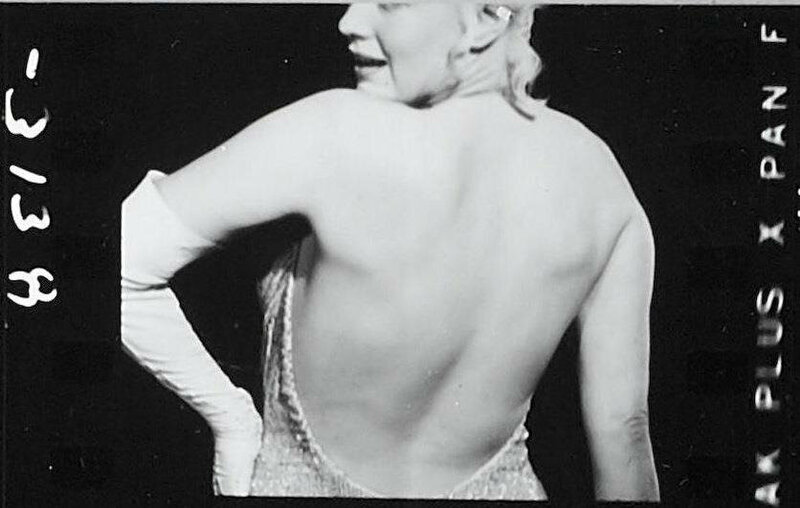 A pair of black and white original vintage Marilyn Monroe images for the film Let's Make Love (20th Century, 1960). 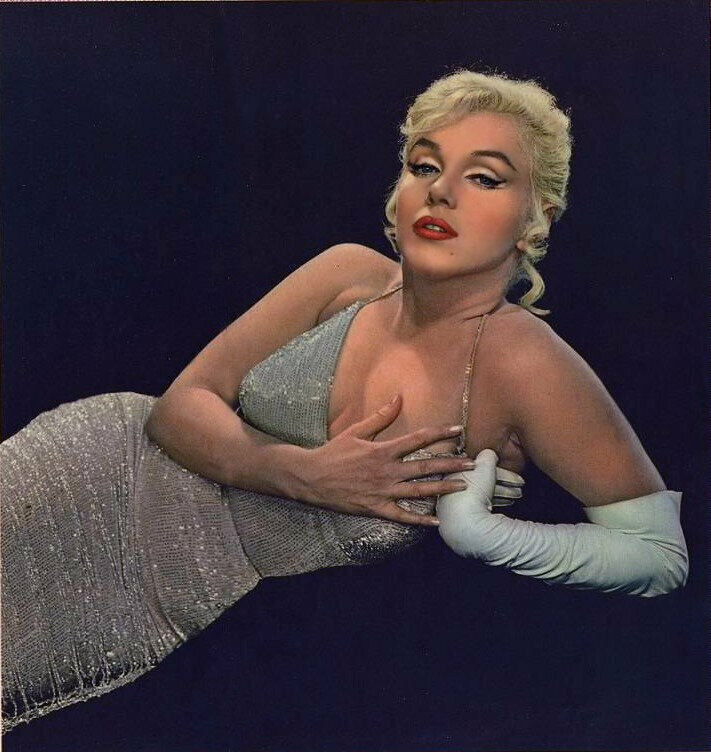 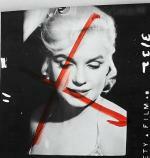 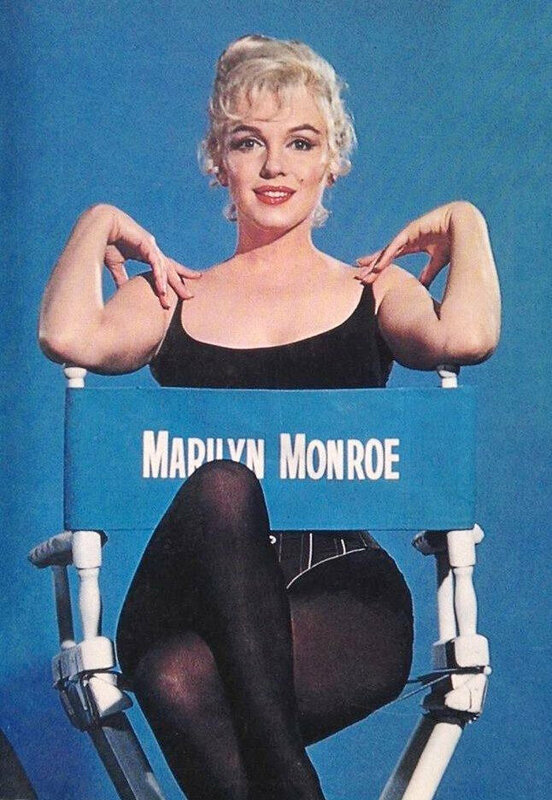 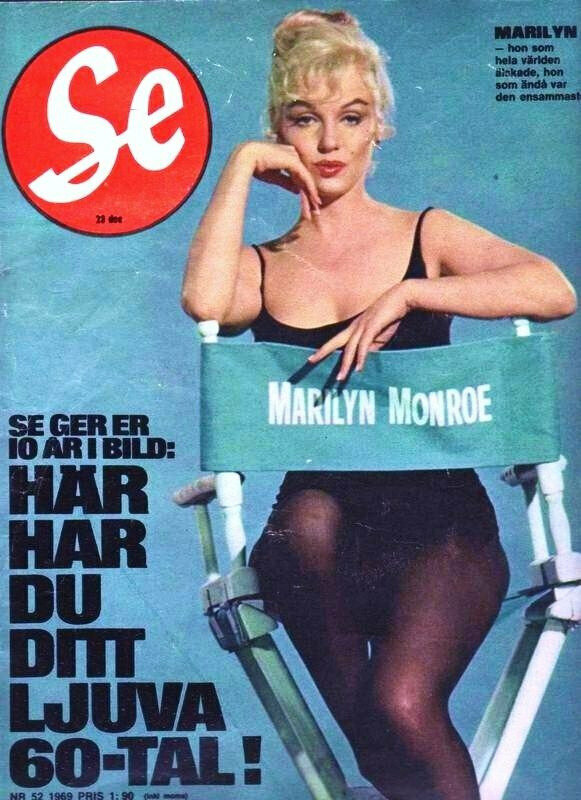 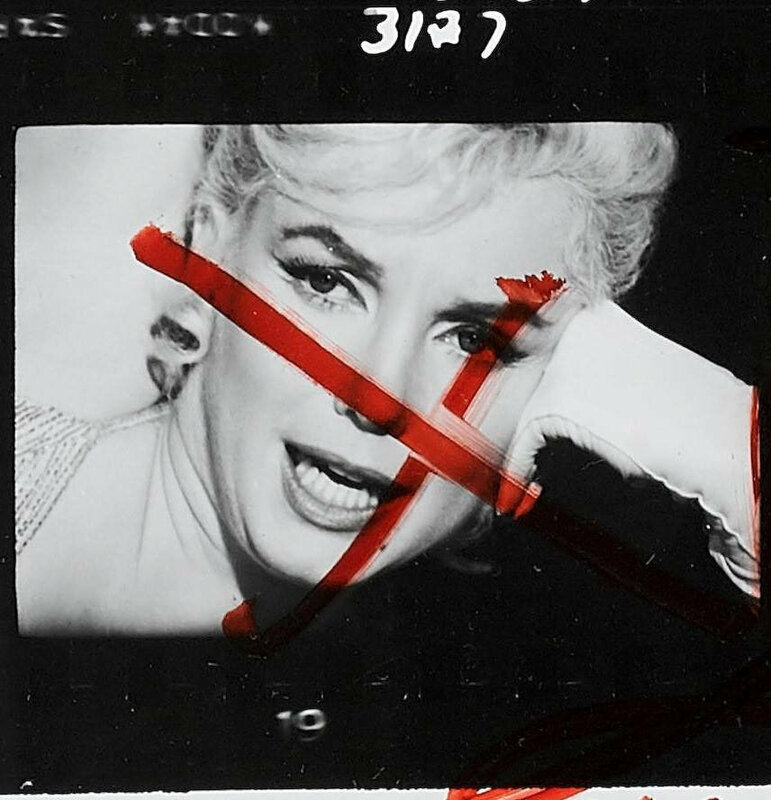 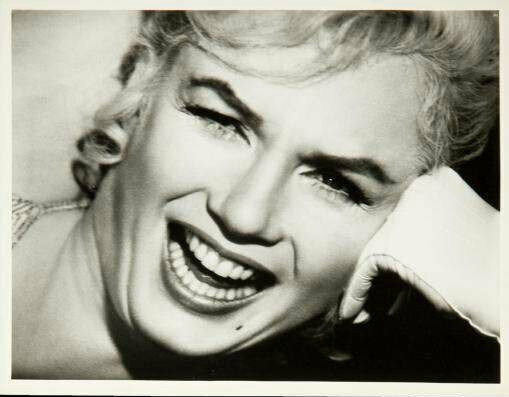 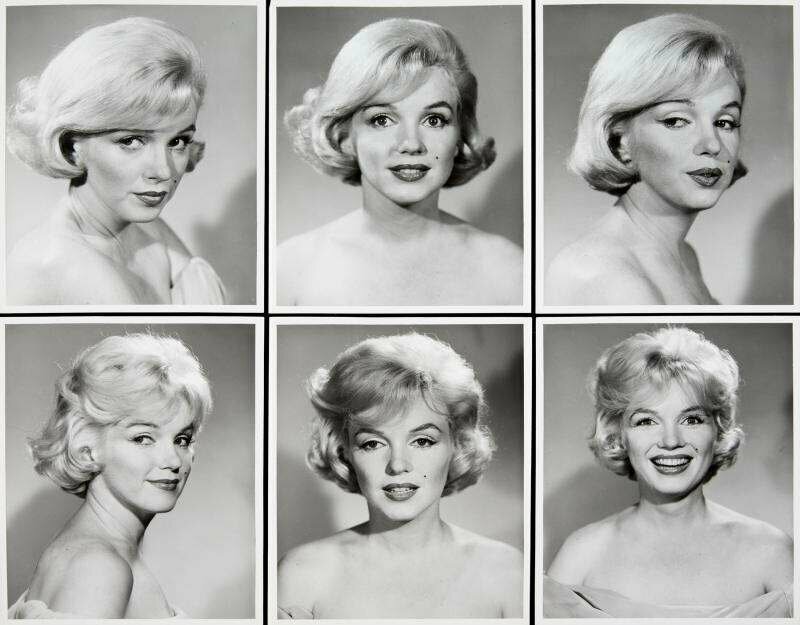 A group of five original vintage Marilyn Monroe images for the film Let's Make Love (20th Century, 1960). 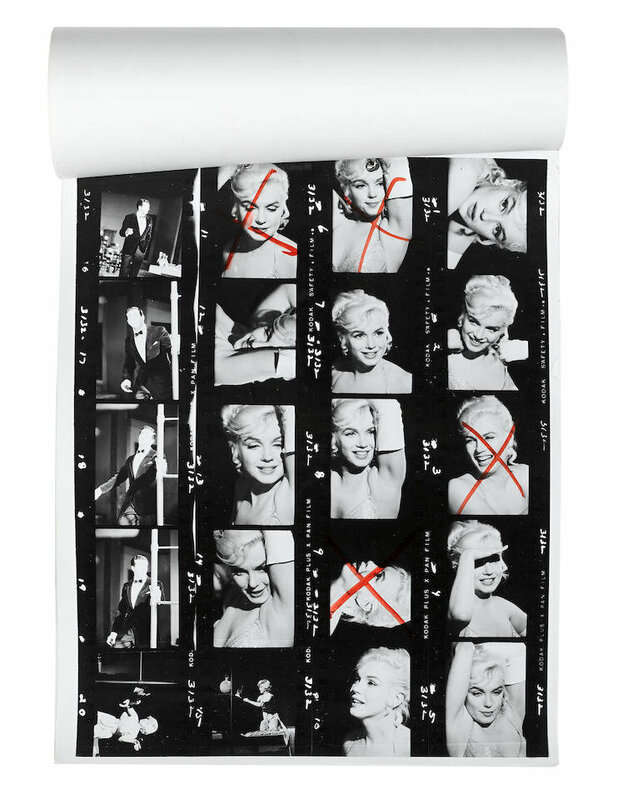 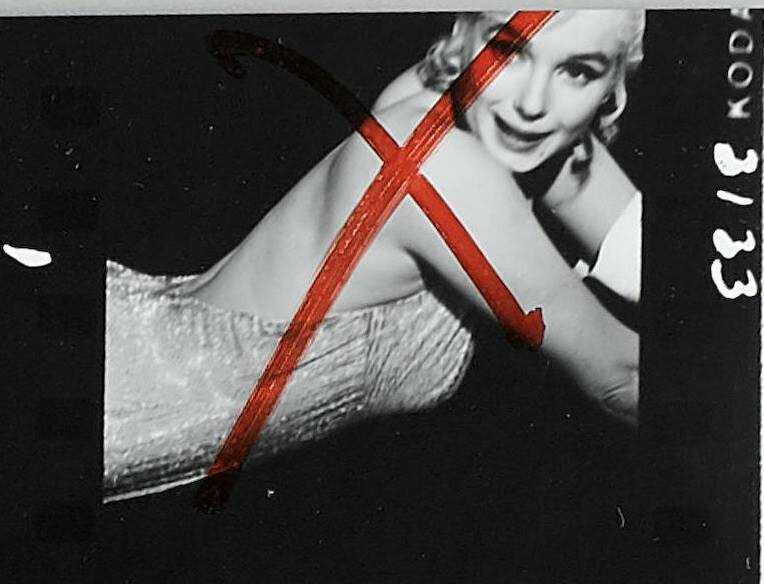 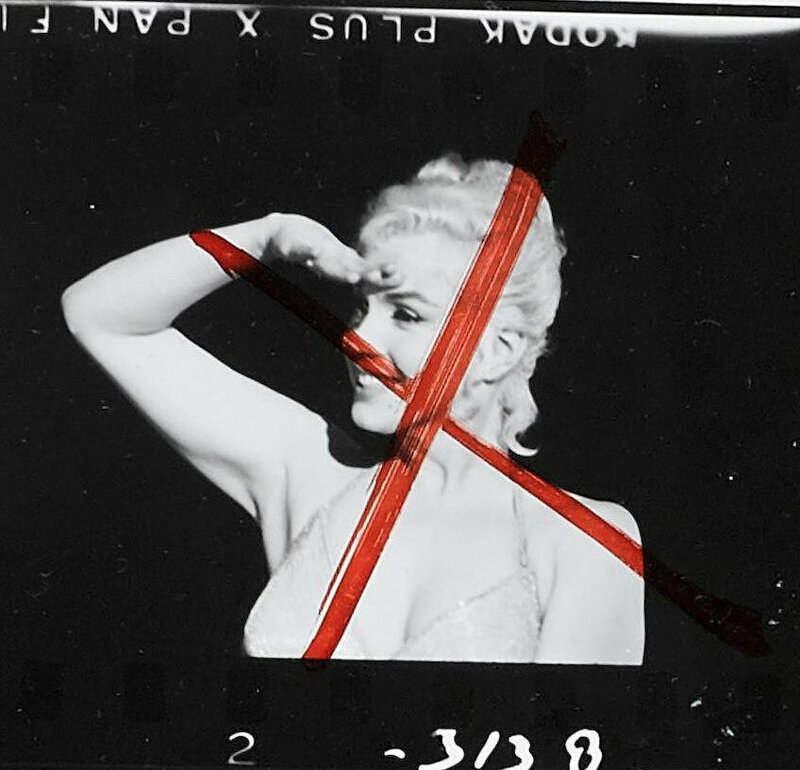 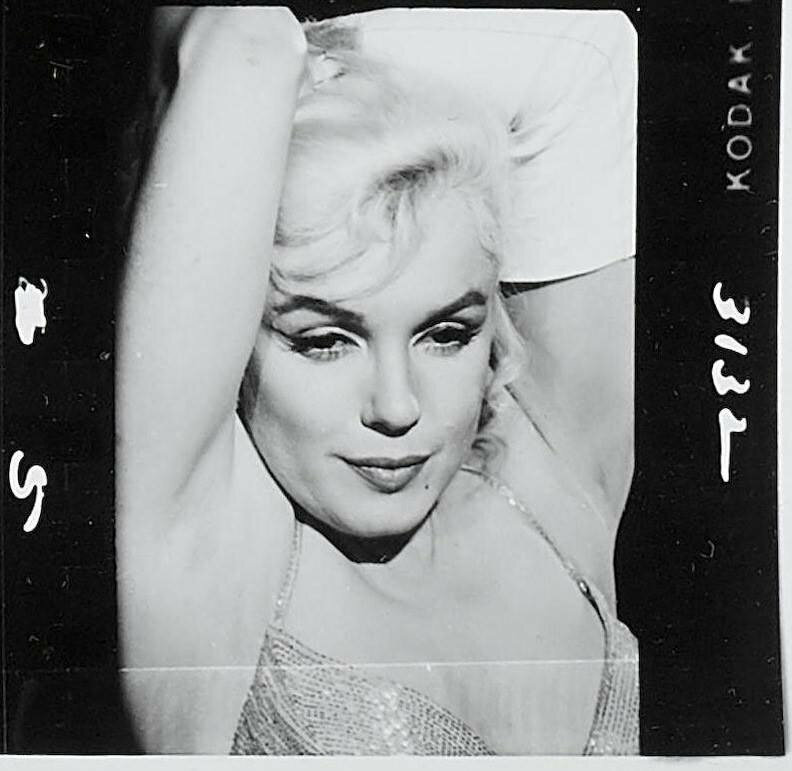 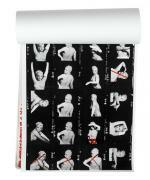 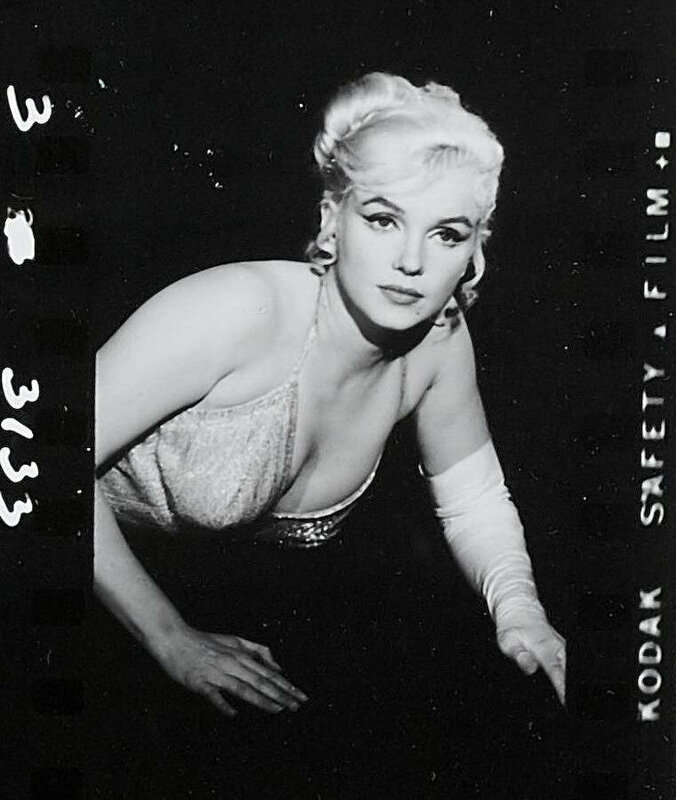 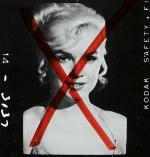 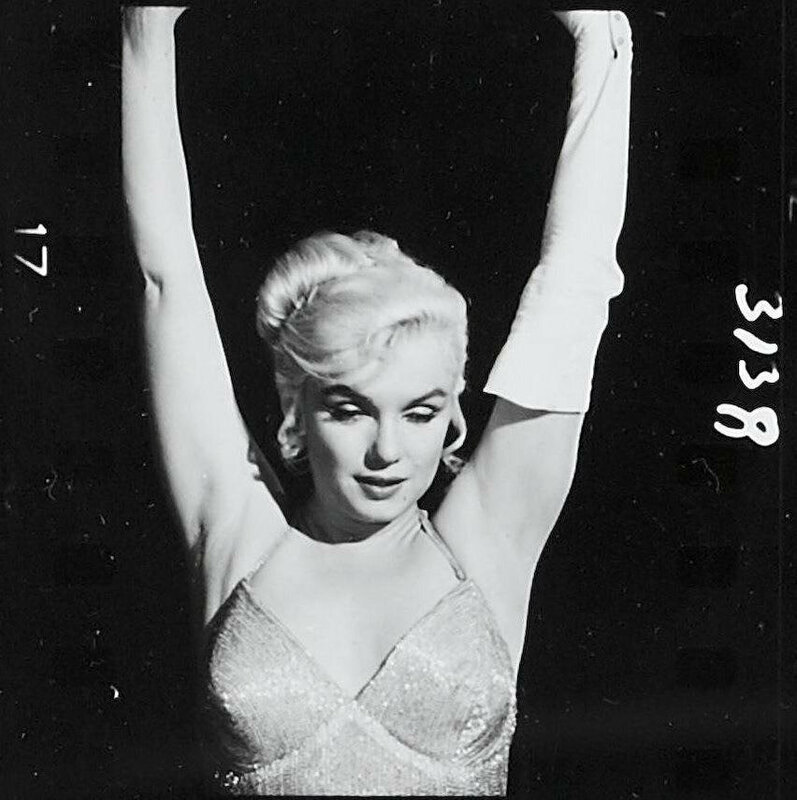 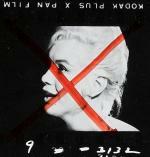 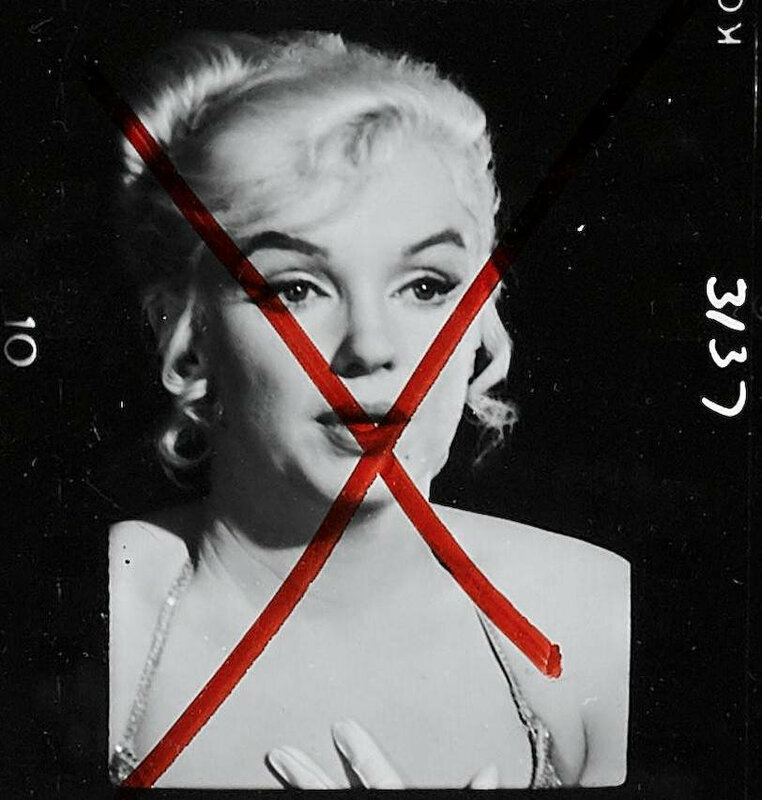 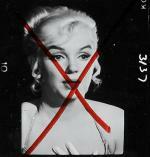 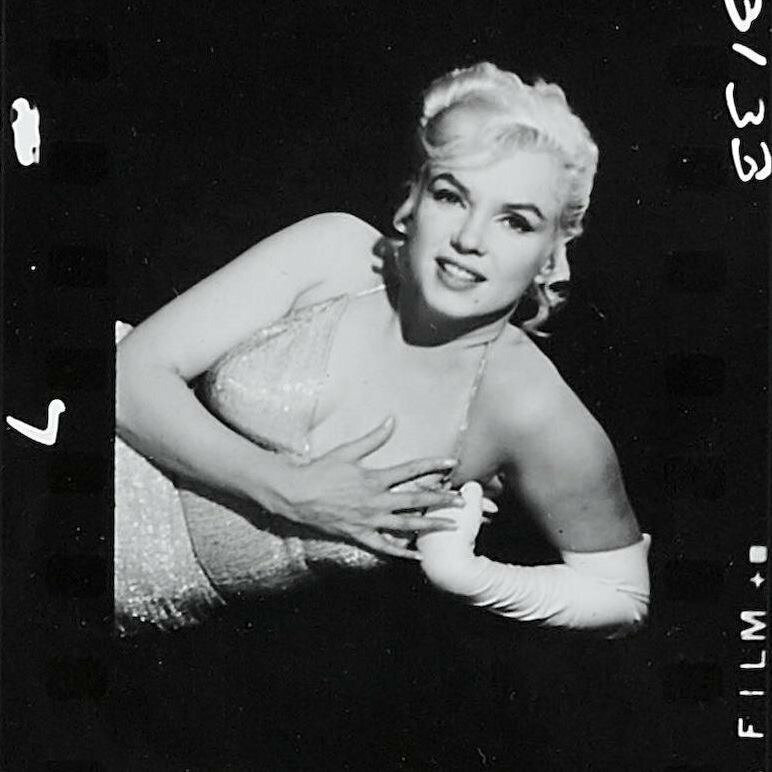 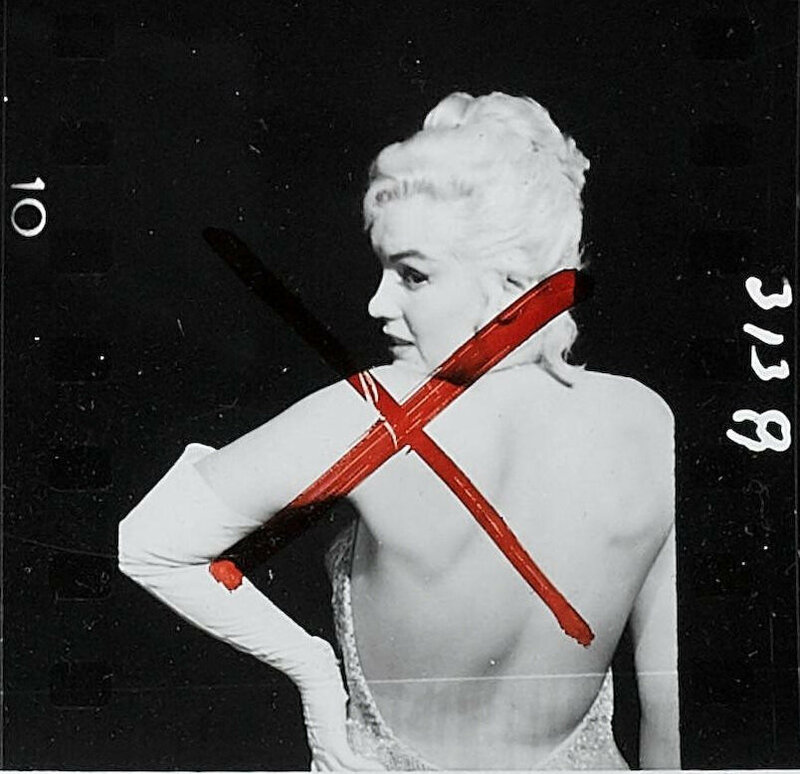 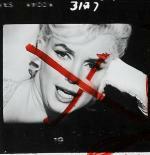 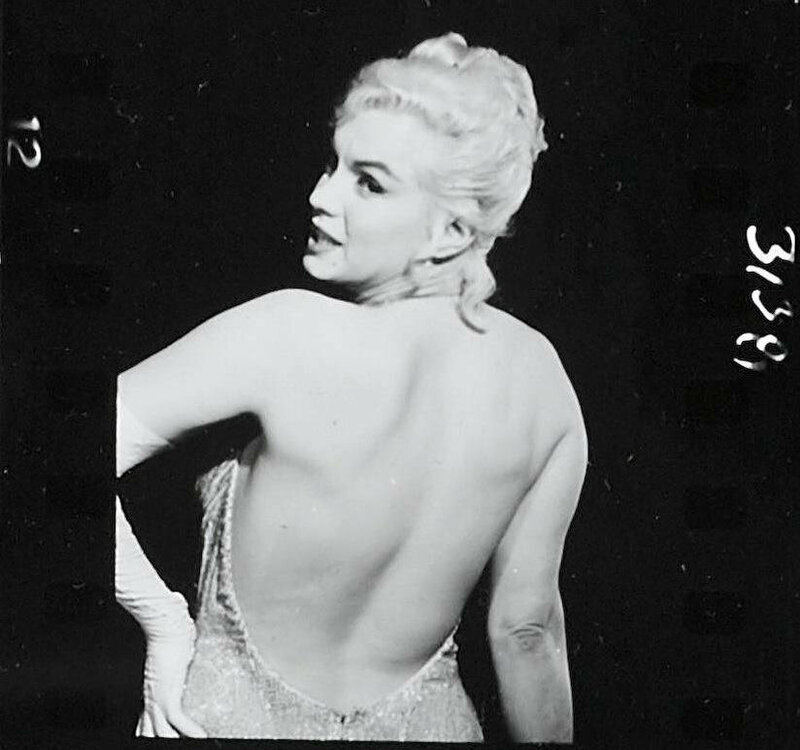 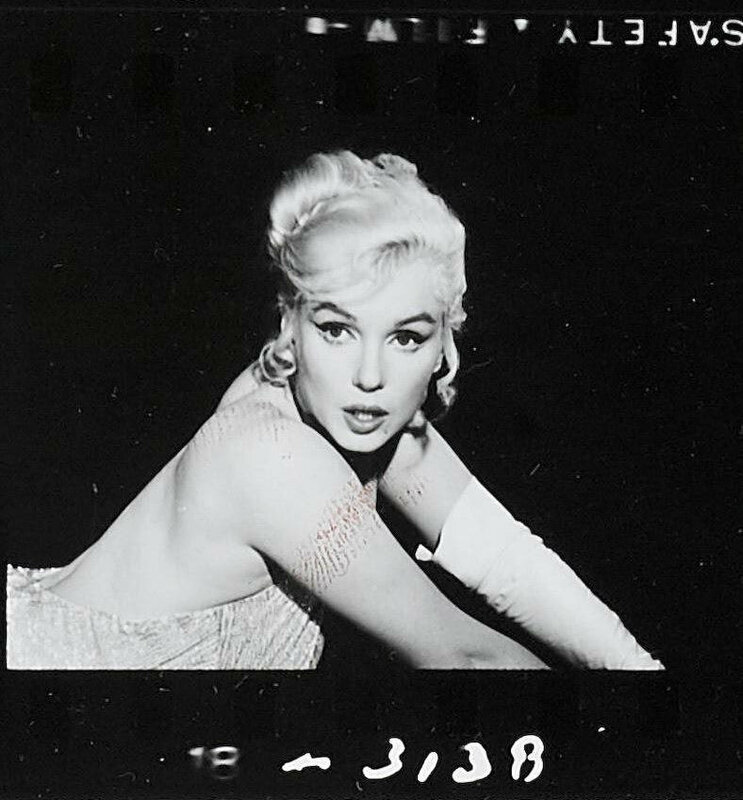 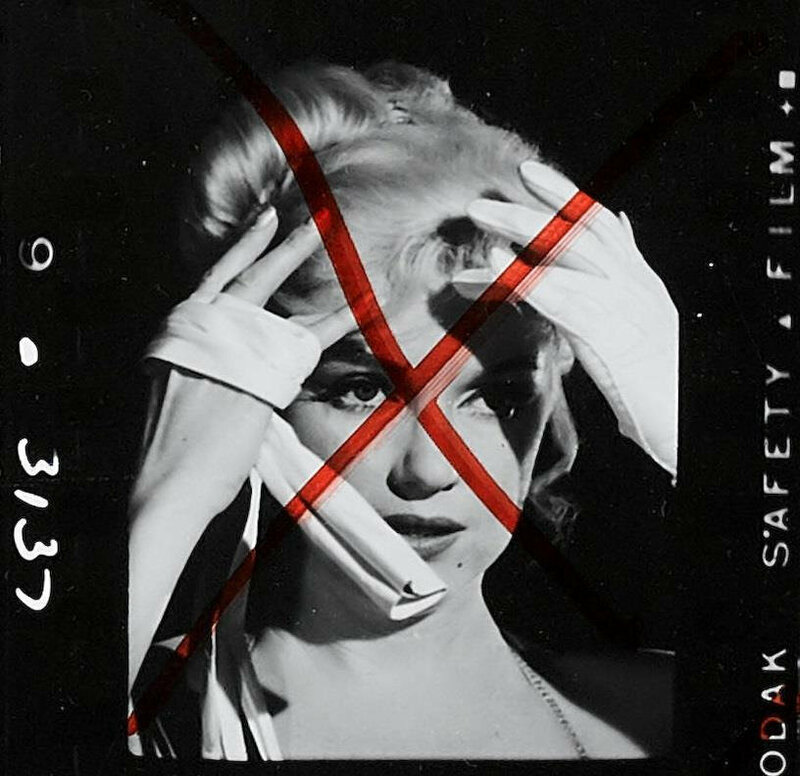 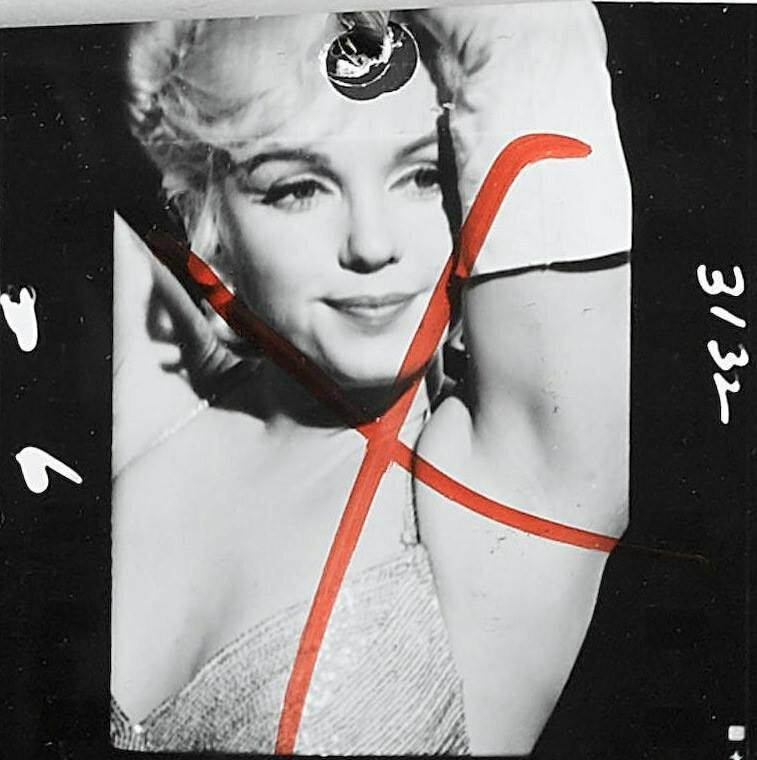 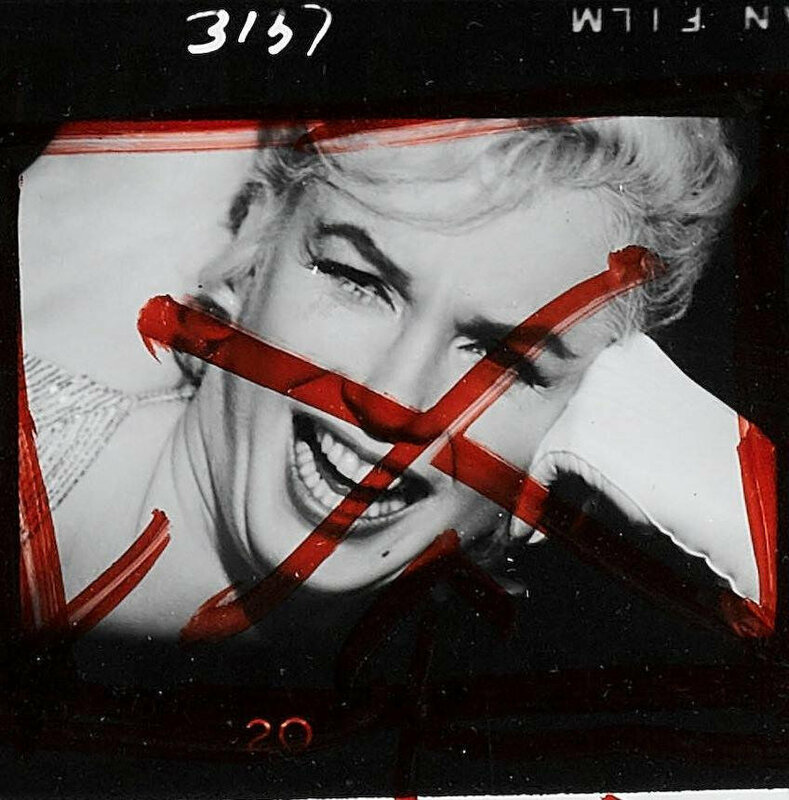 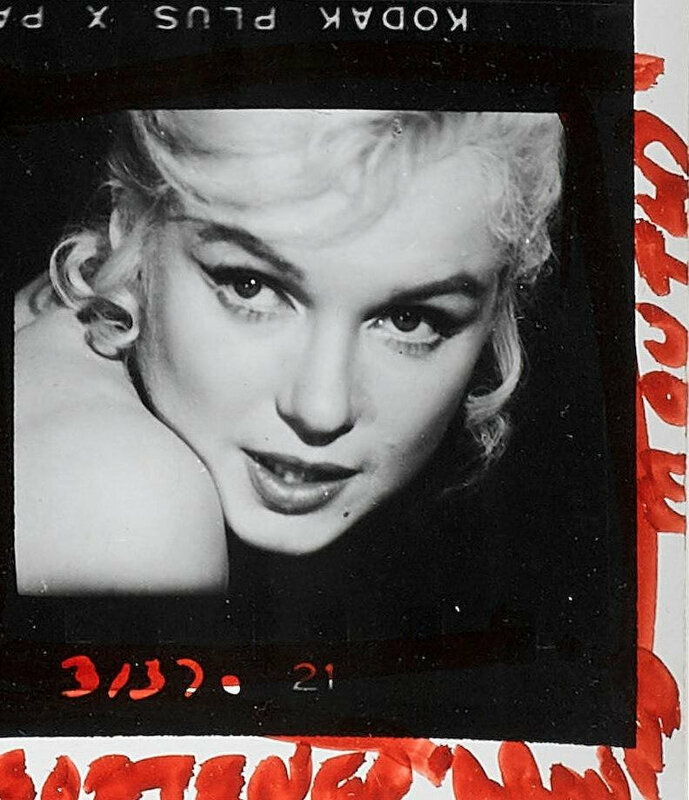 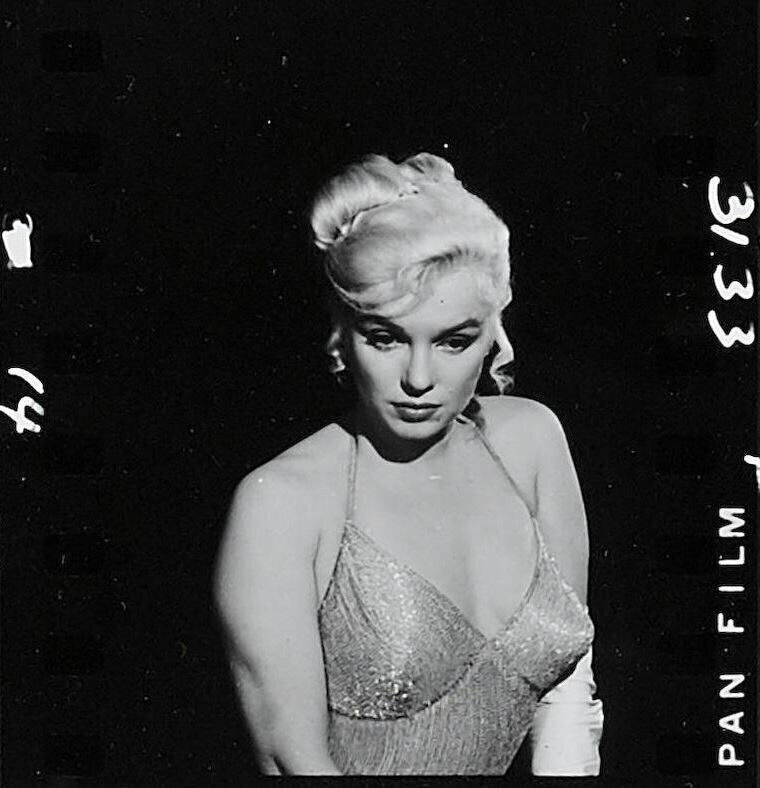 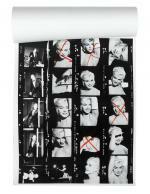 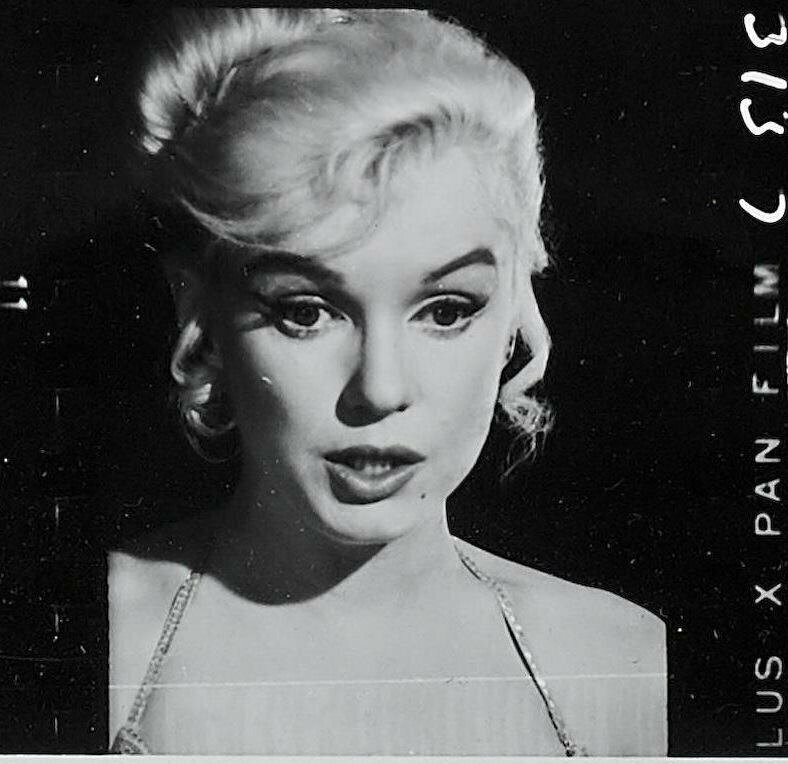 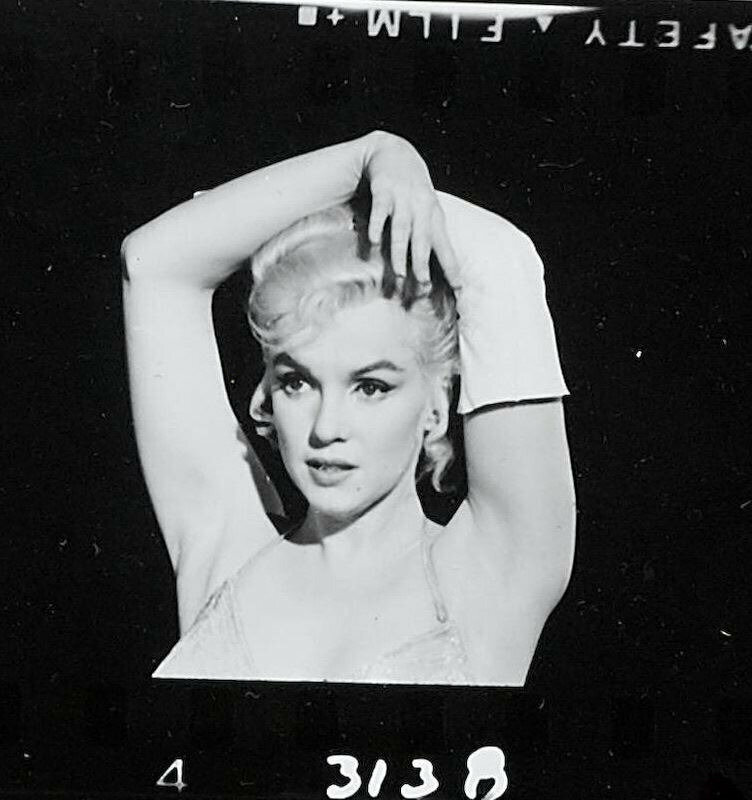 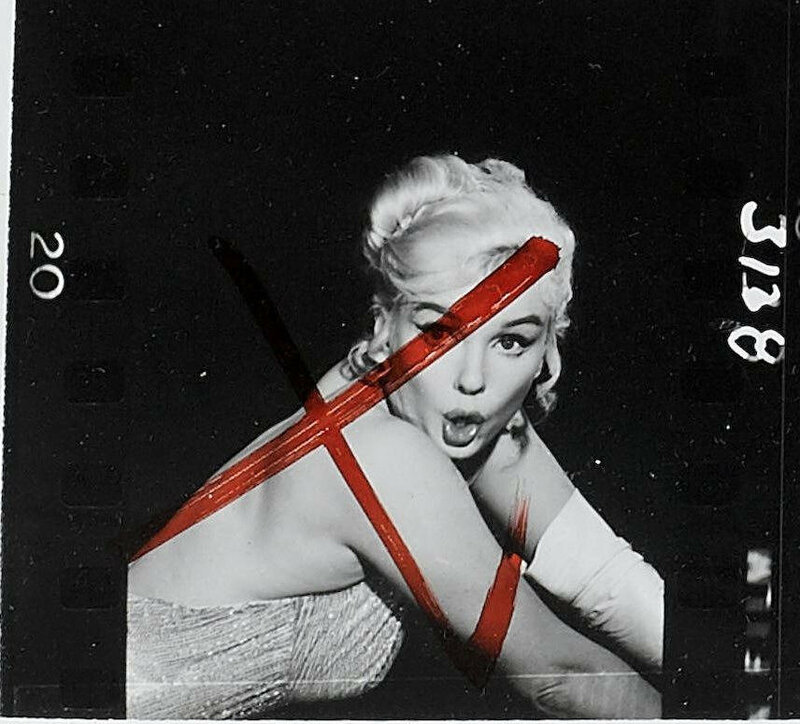 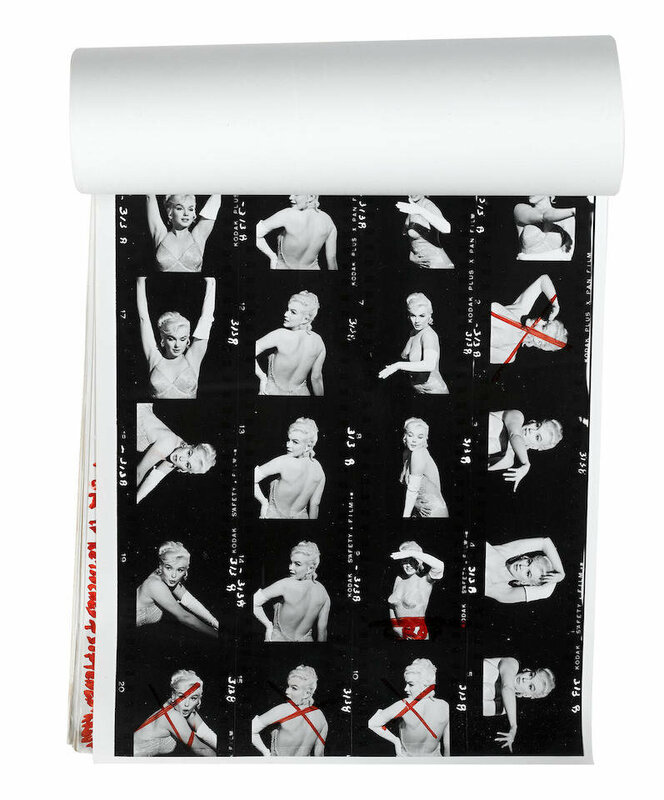 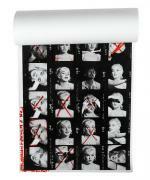 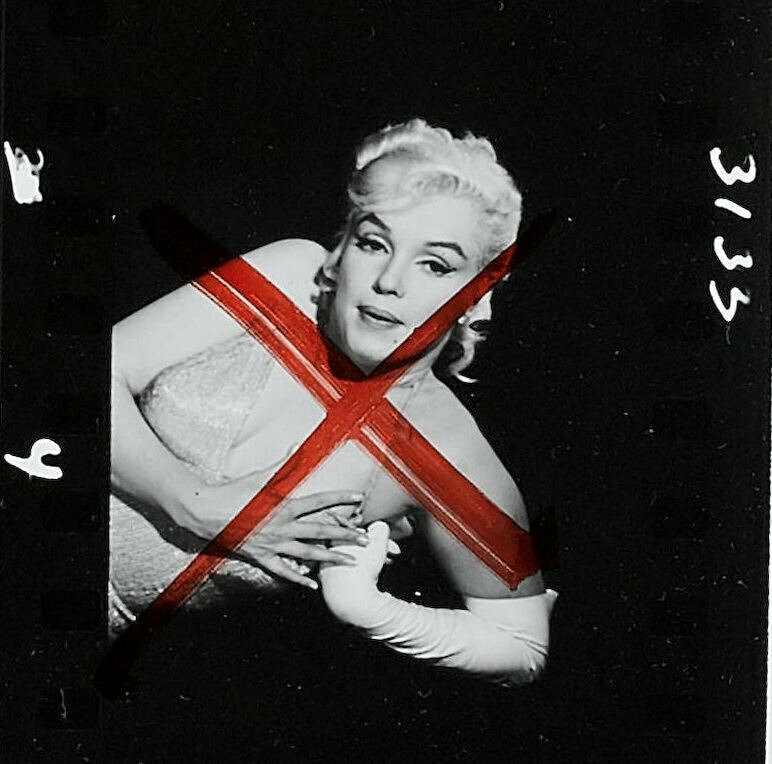 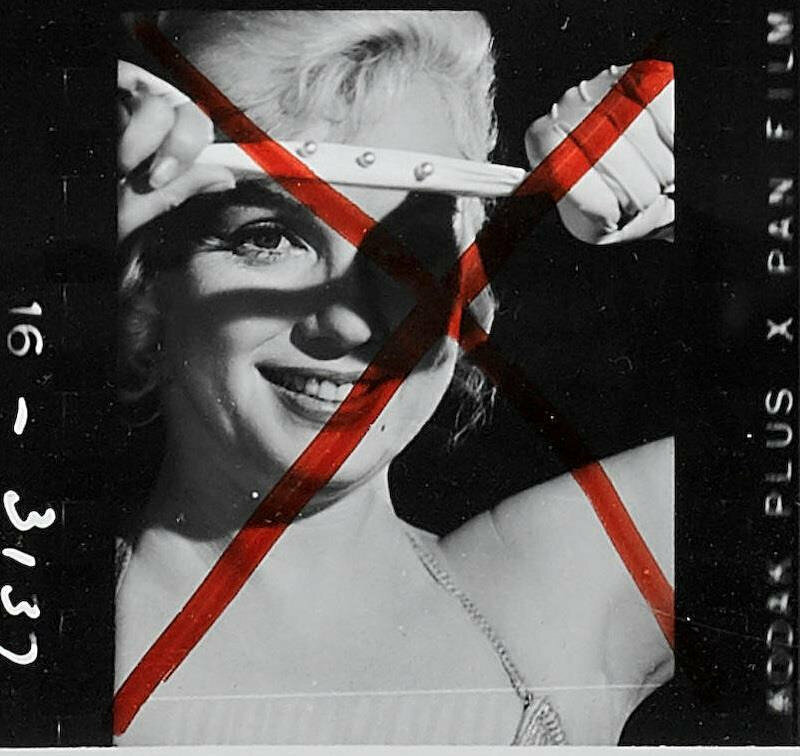 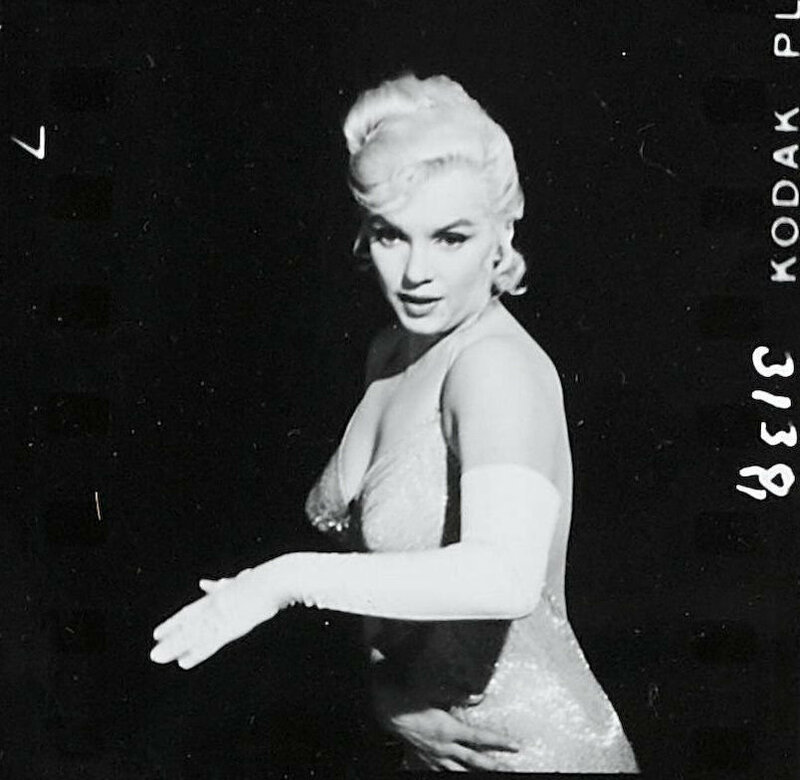 A group of six original vintage Marilyn Monroe images for the film Let's Make Love (20th Century, 1960). 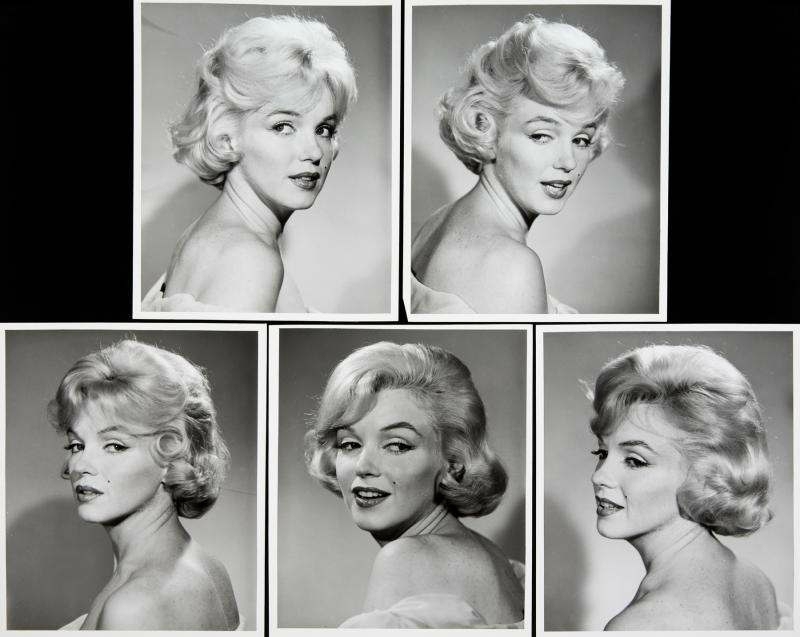 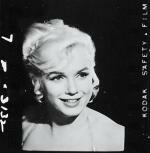 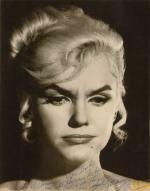 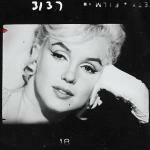 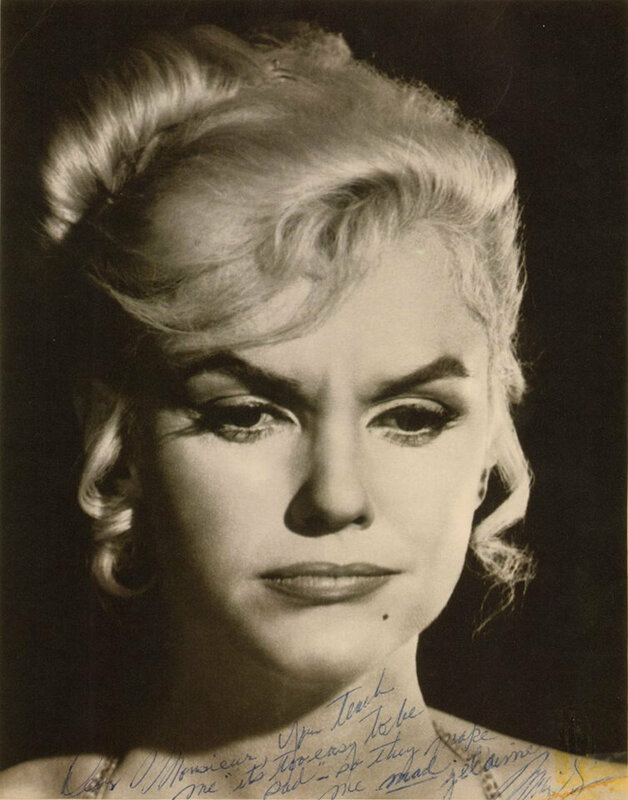 A group of five original vintage headshots of Marilyn Monroe. 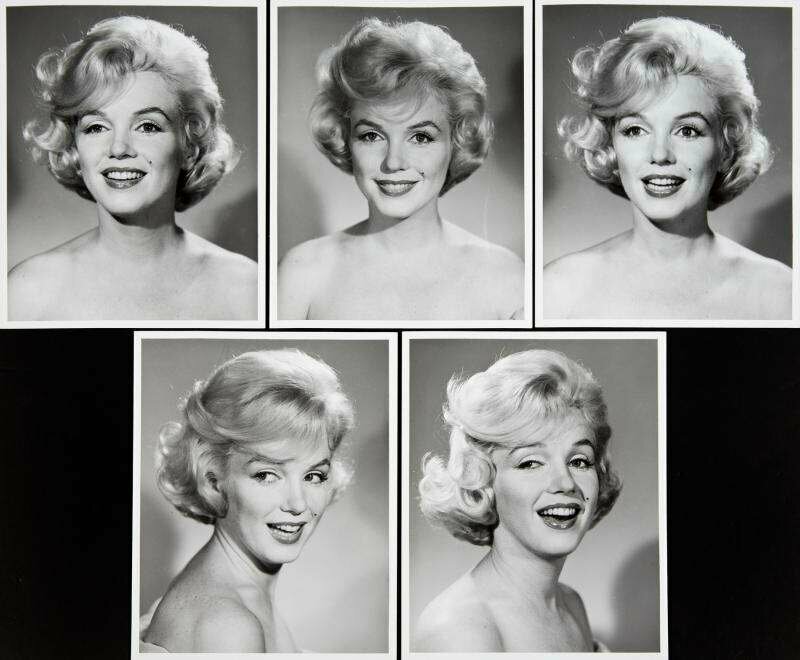 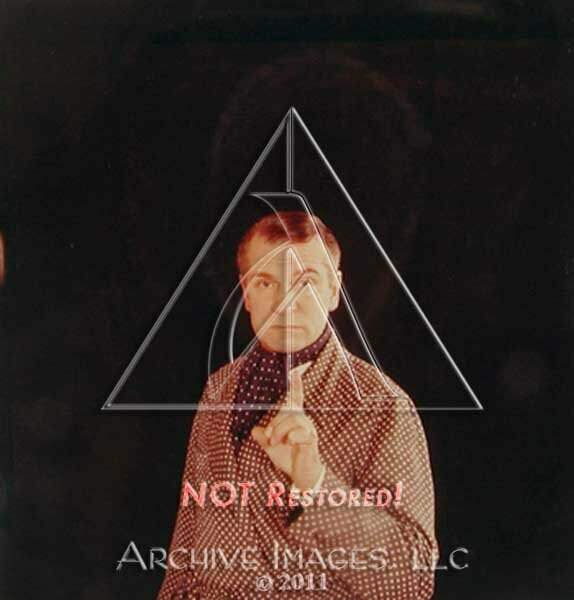 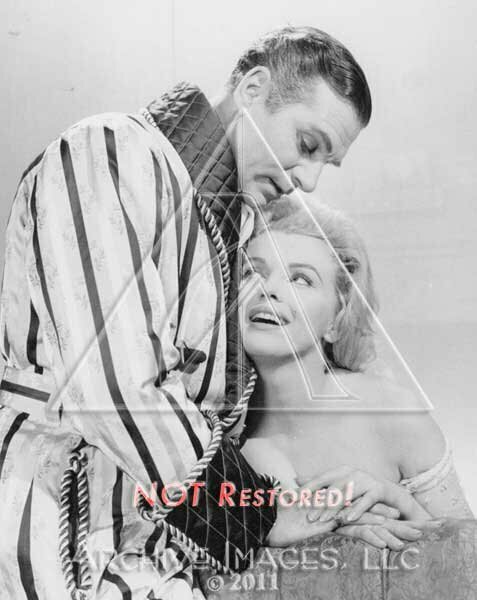 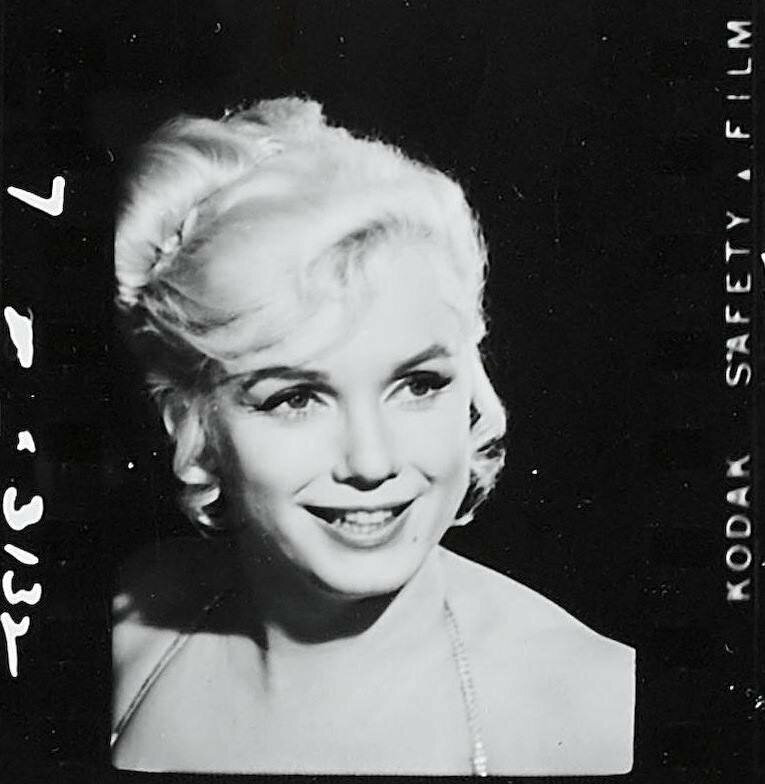 Believed to be hairstyle continuity images for the film Let's Make Love (20th Century, 1960). 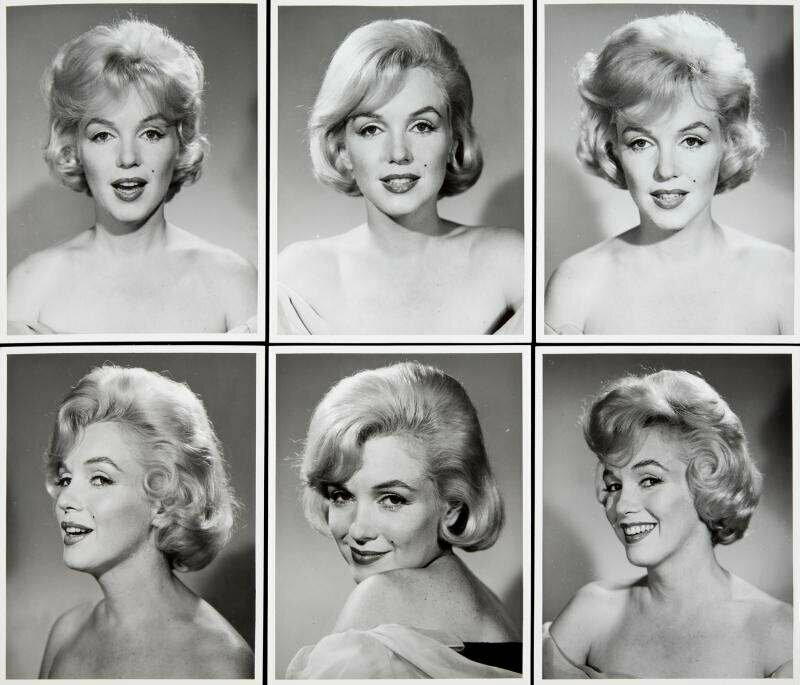 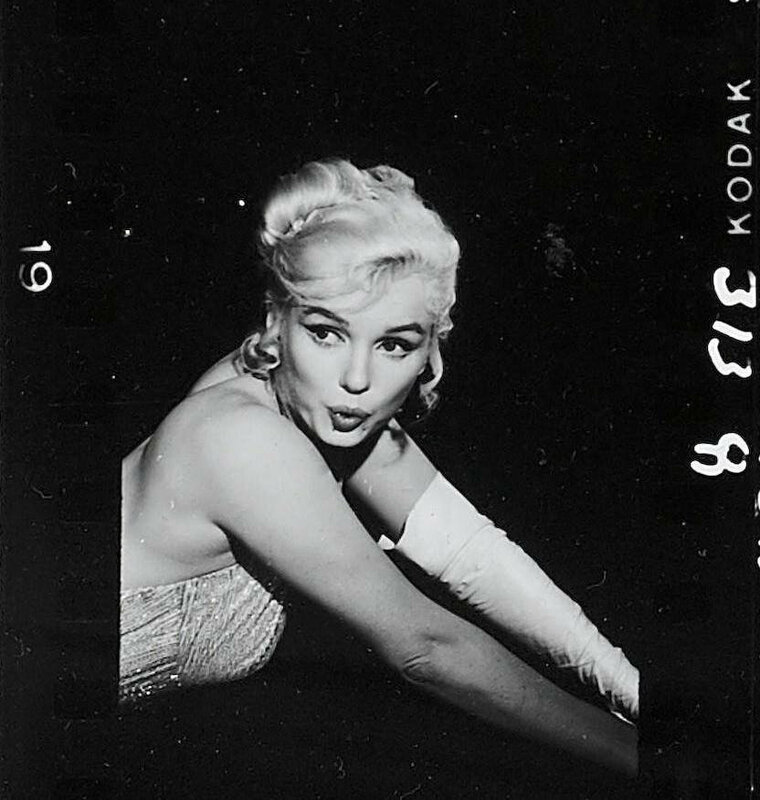 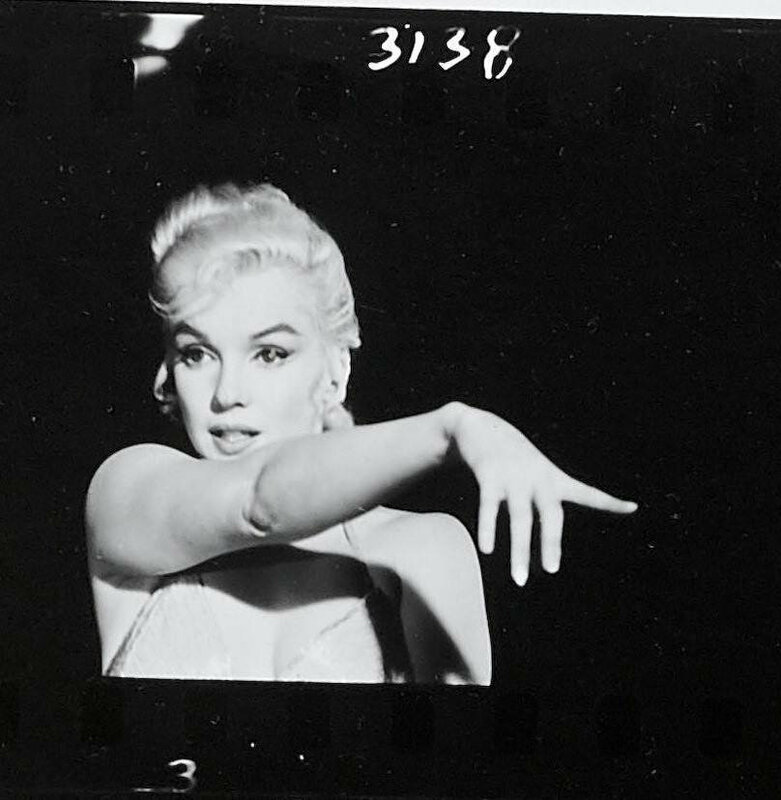 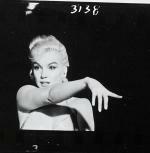 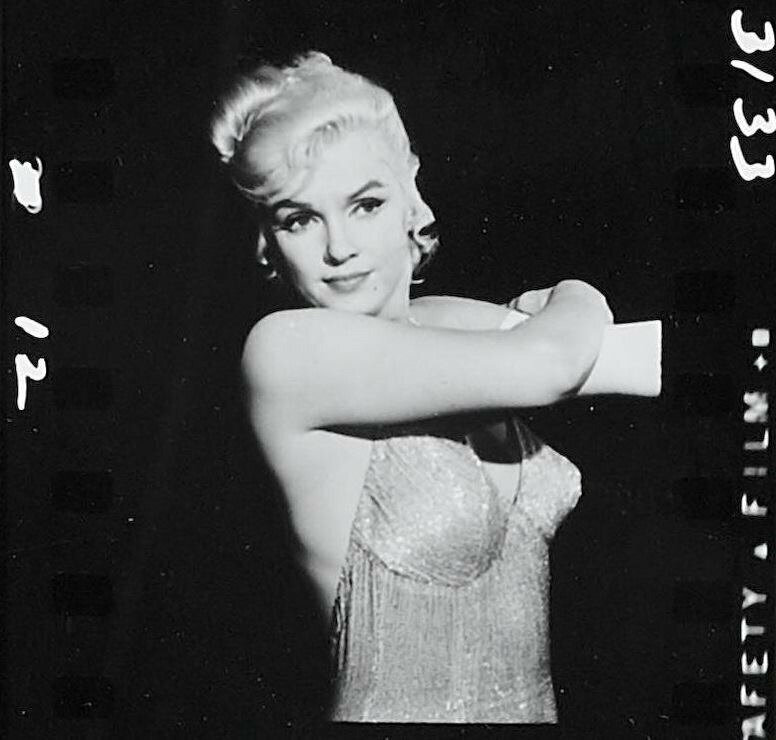 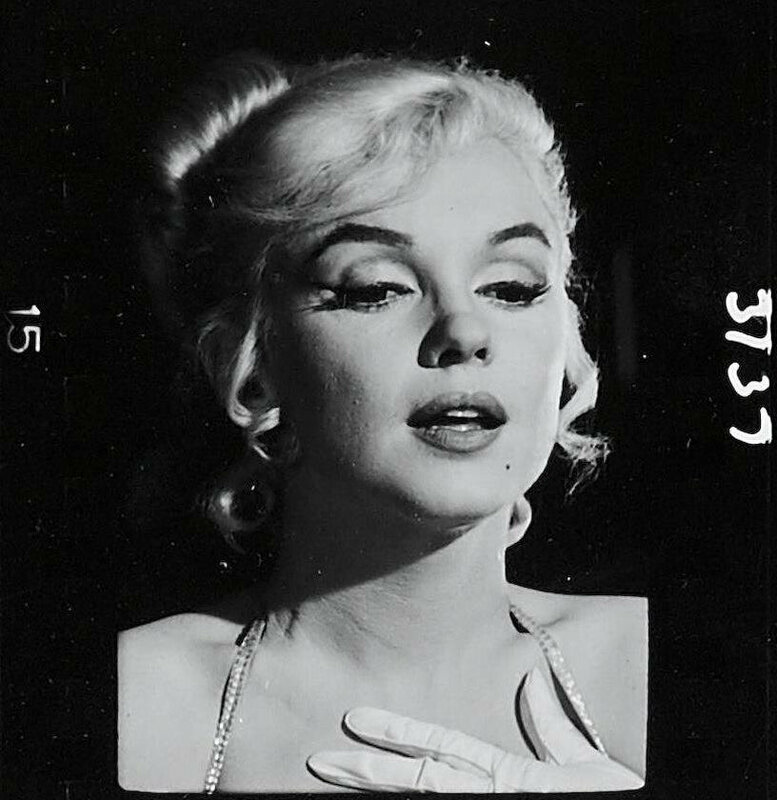 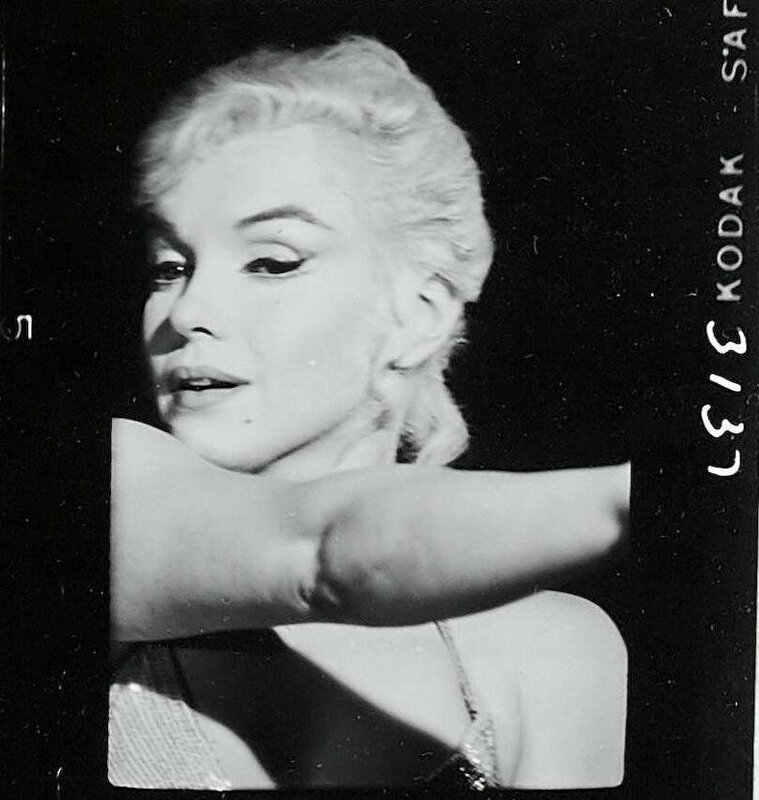 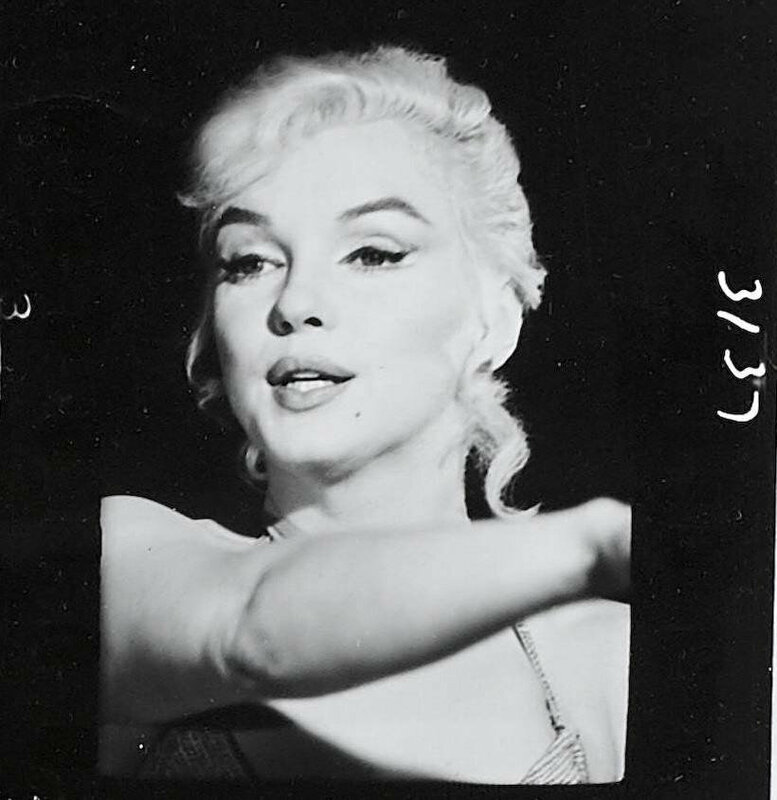 A group of six photographs of Marilyn Monroe and others on the set of Let's Make Love (20th Century, 1960). 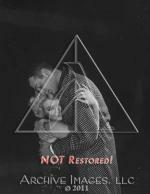 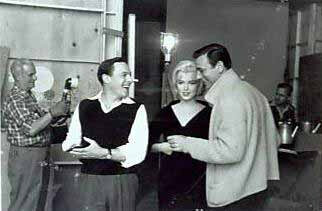 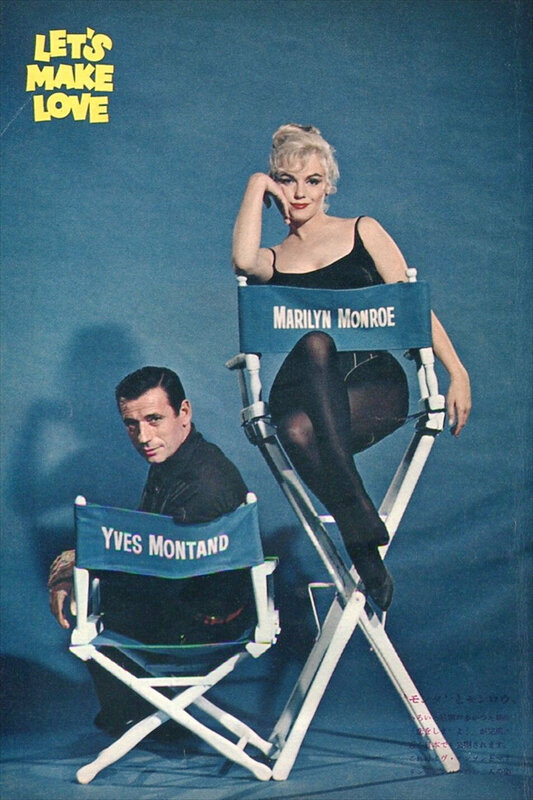 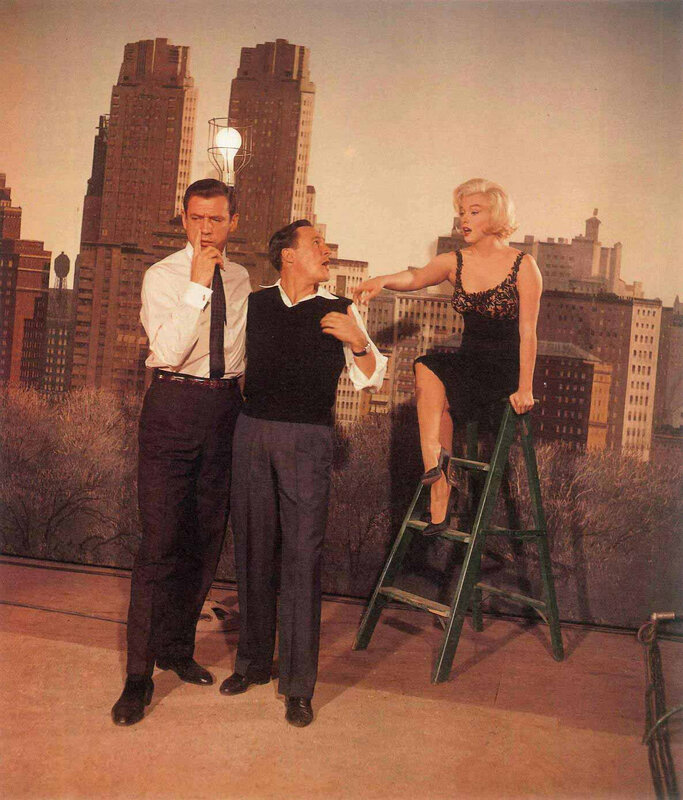 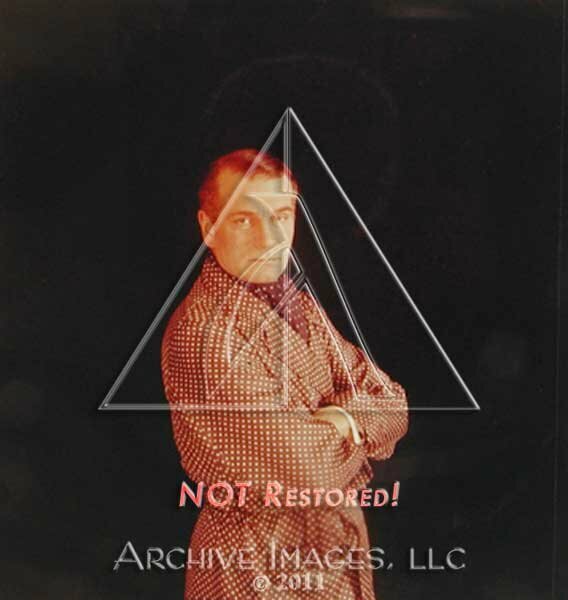 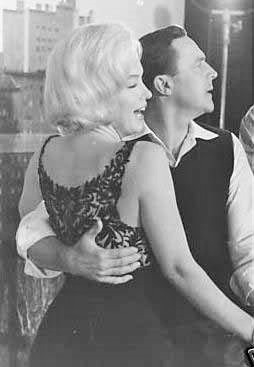 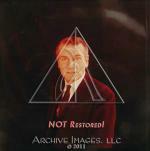 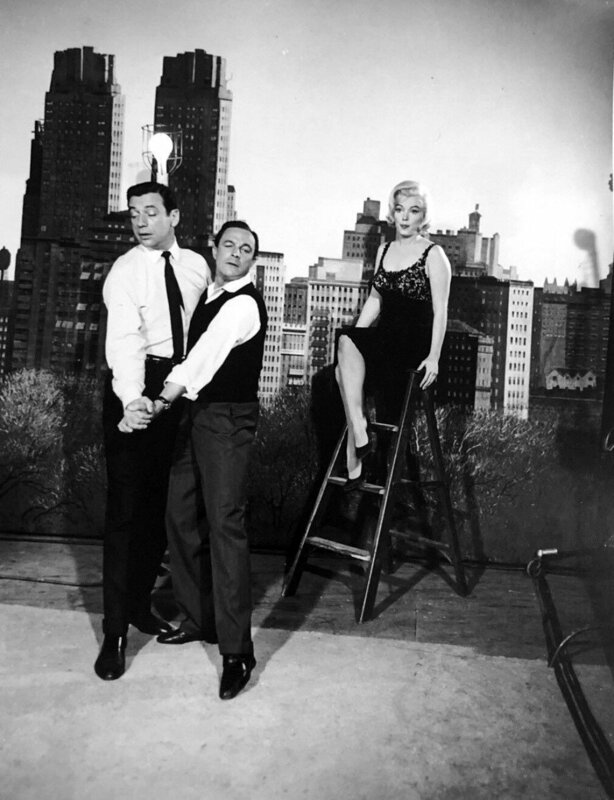 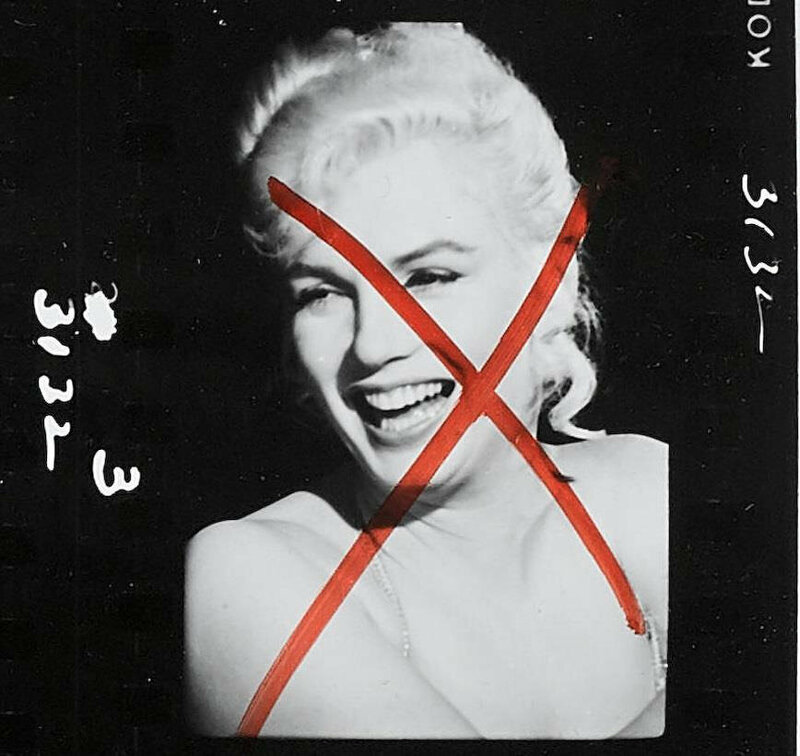 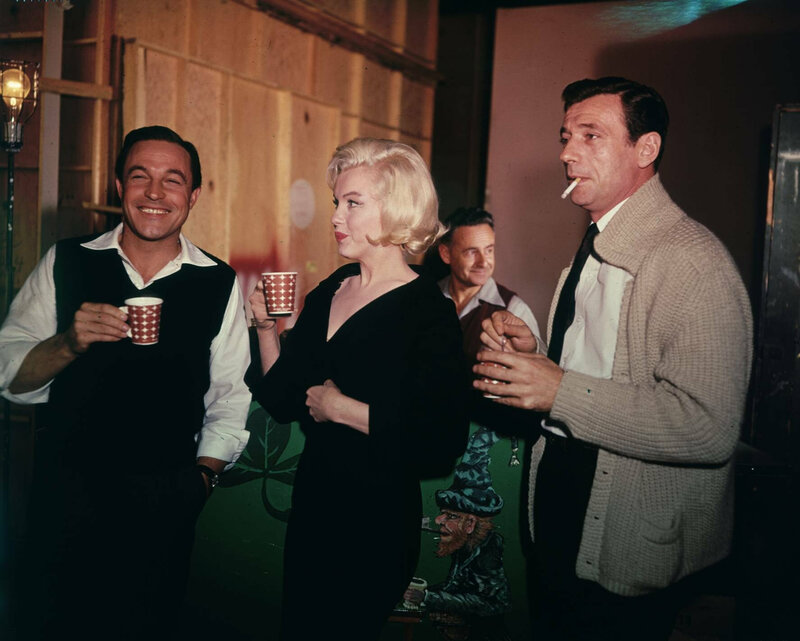 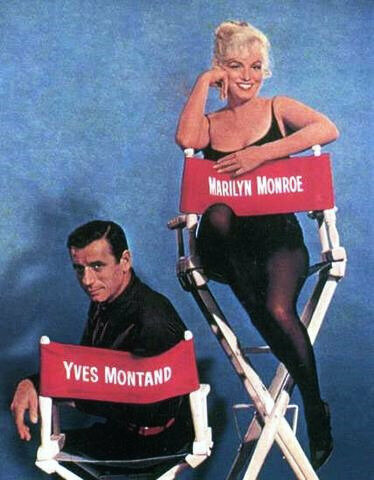 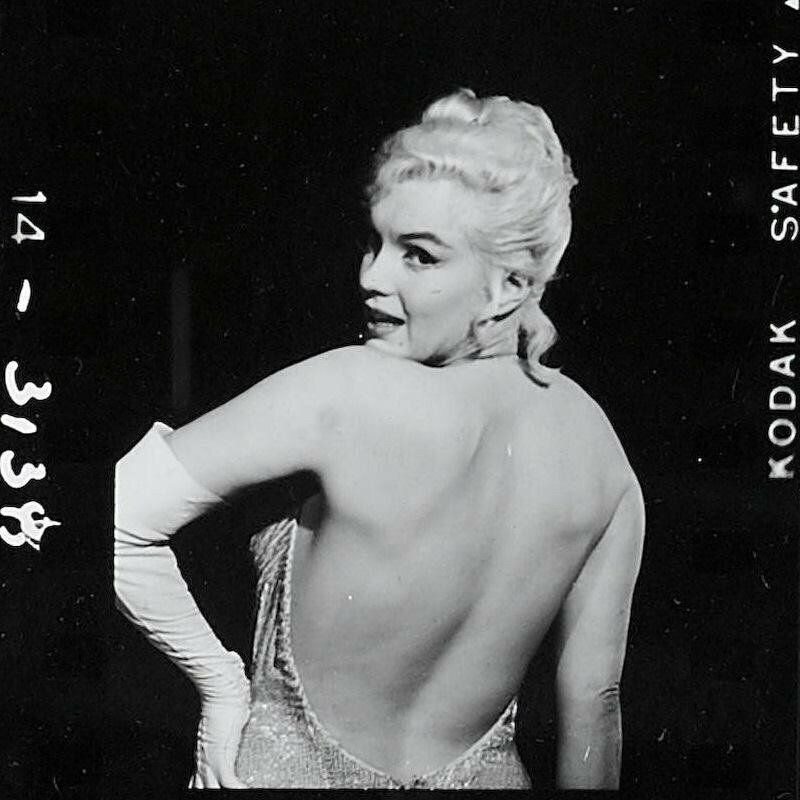 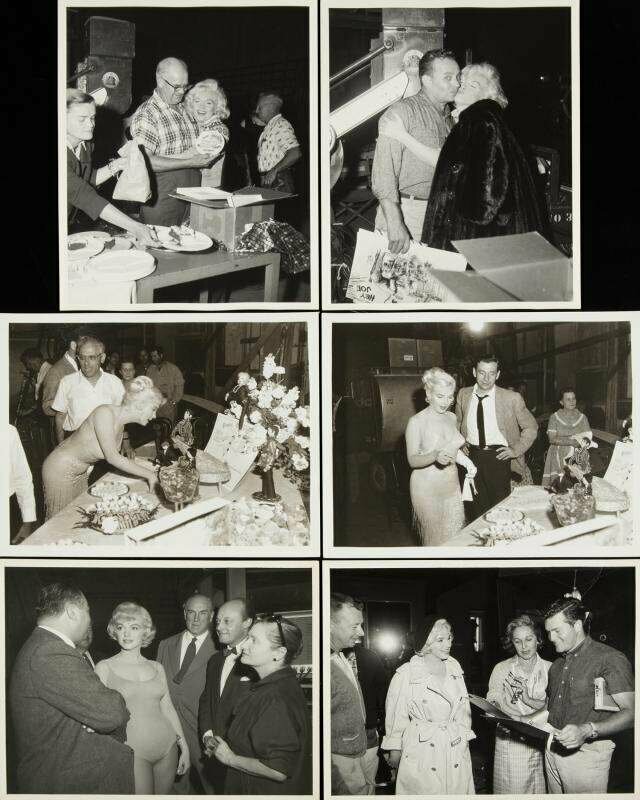 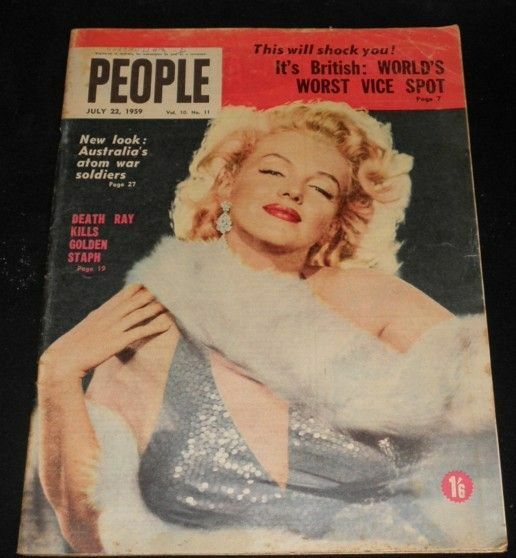 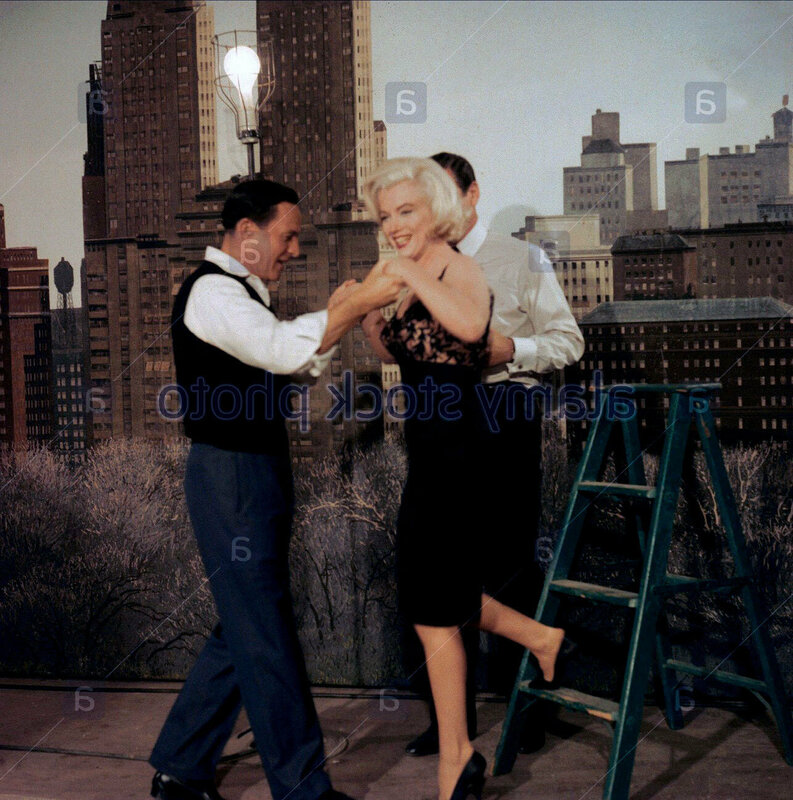 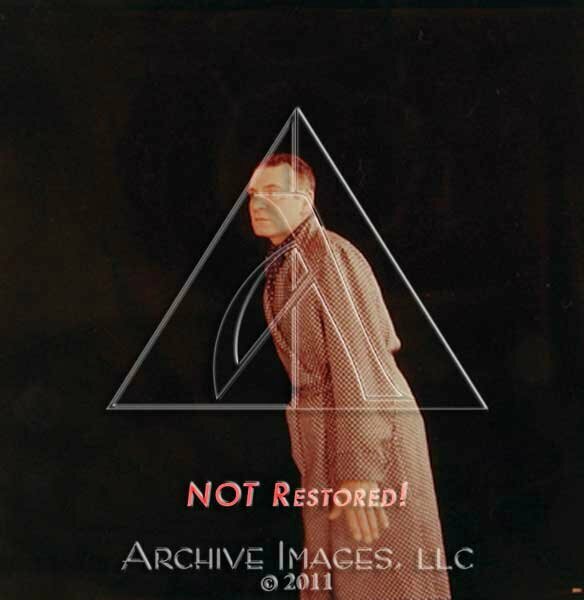 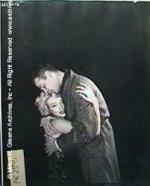 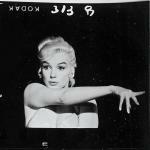 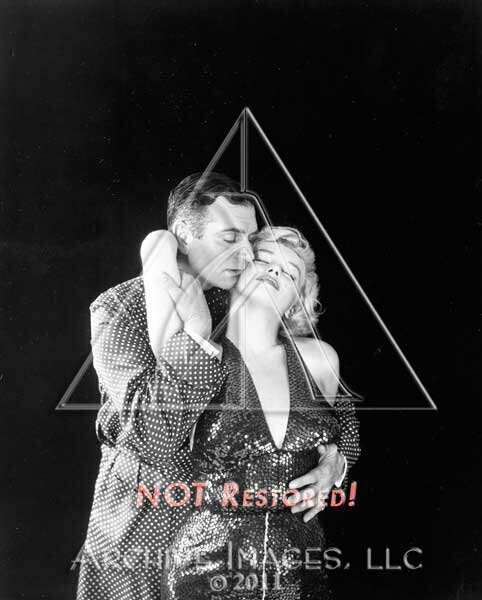 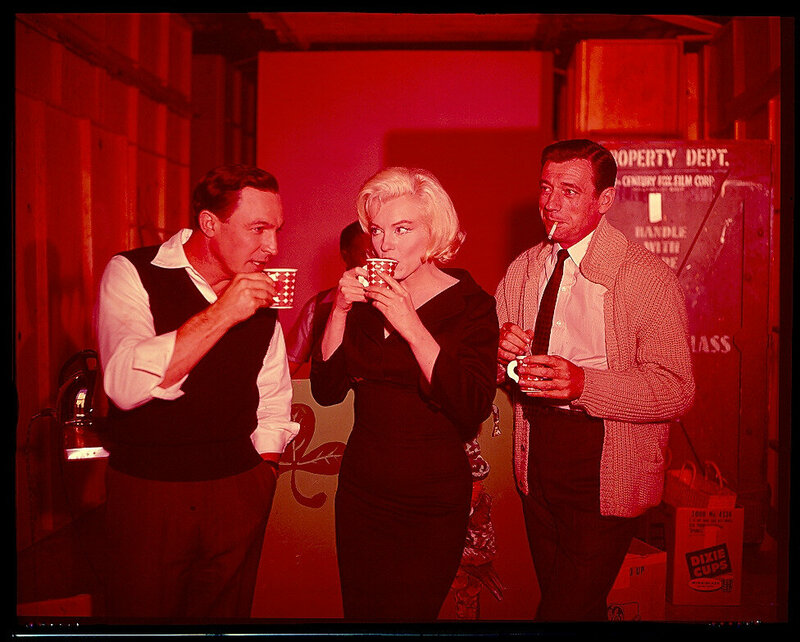 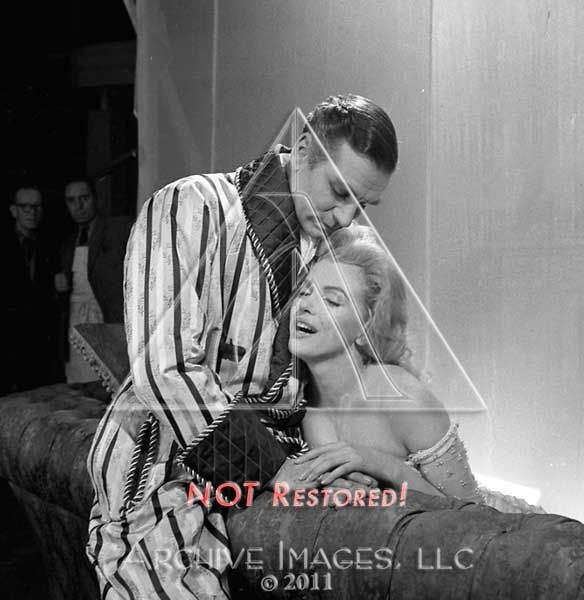 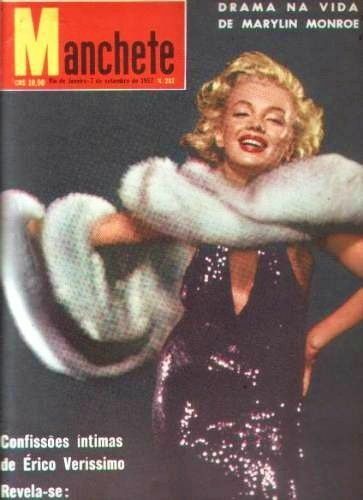 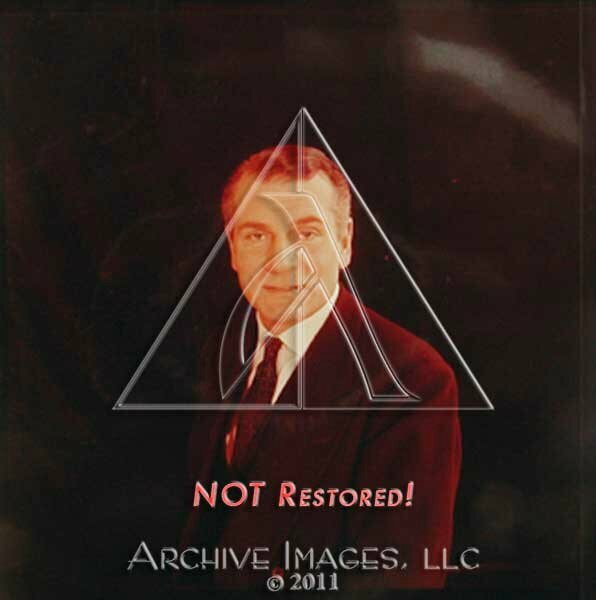 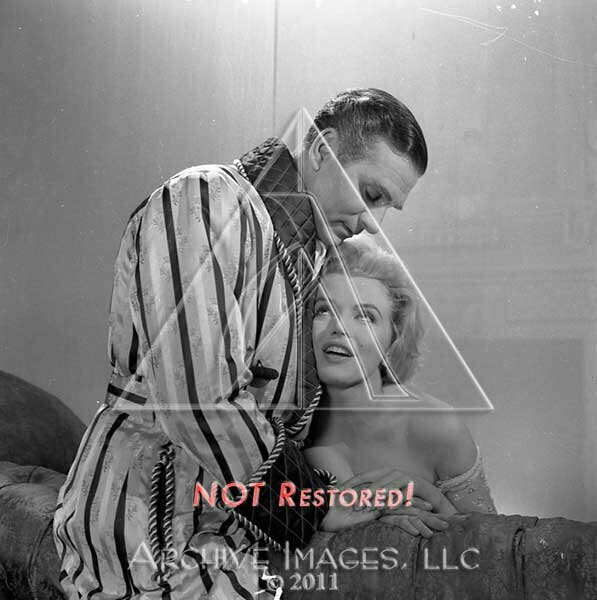 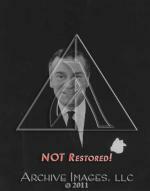 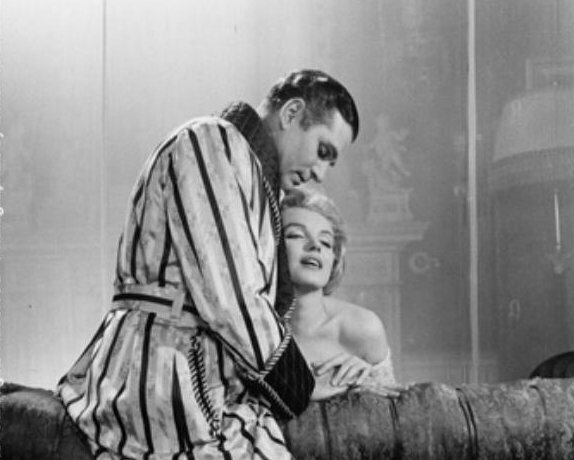 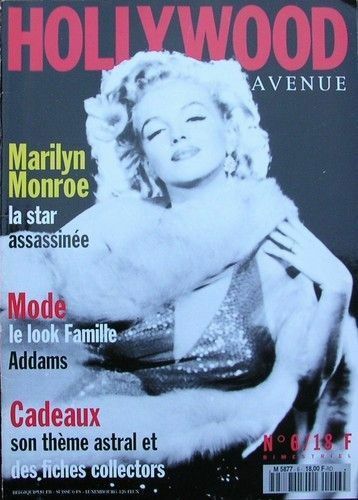 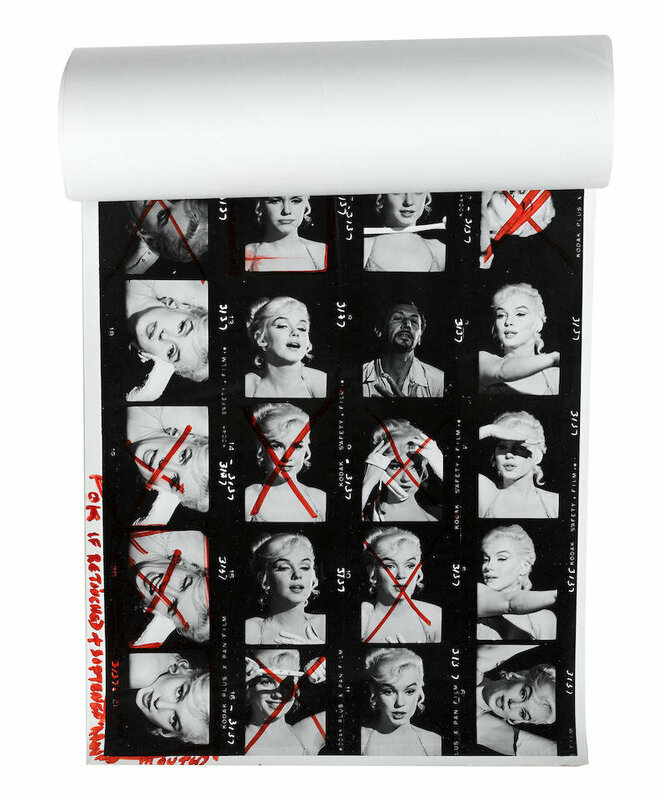 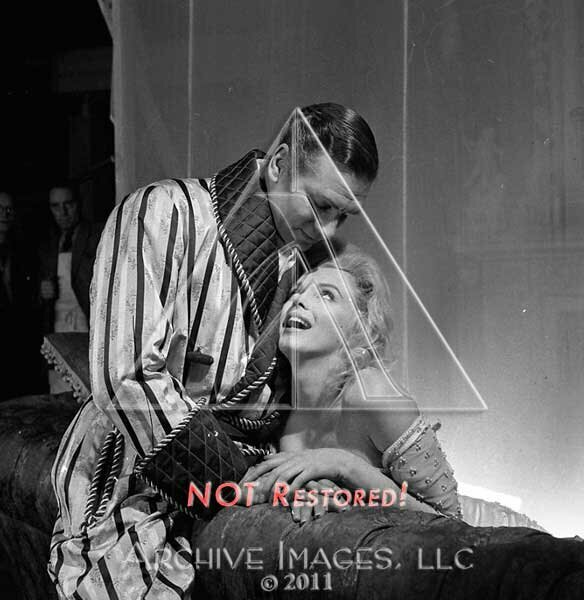 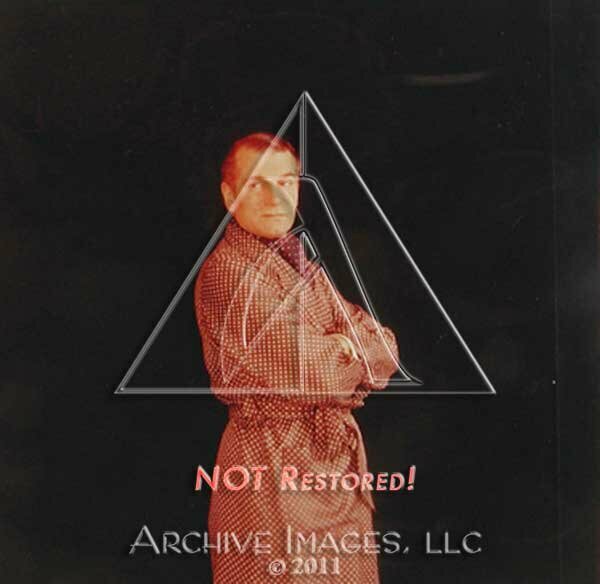 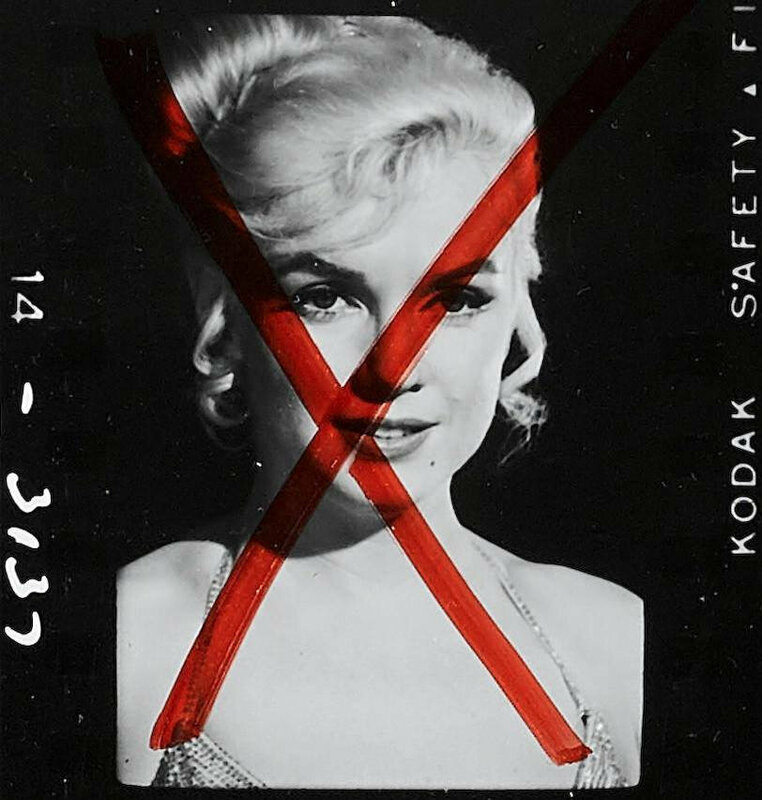 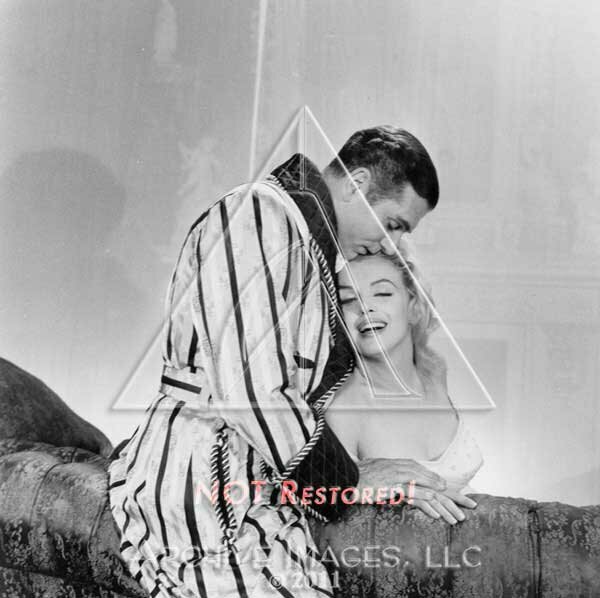 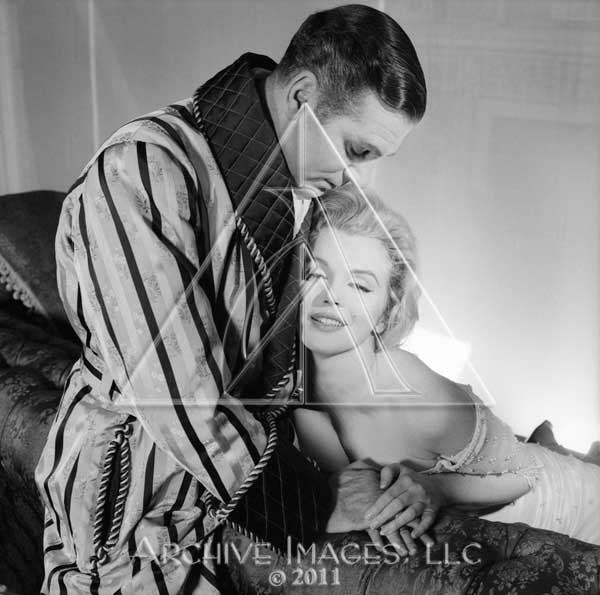 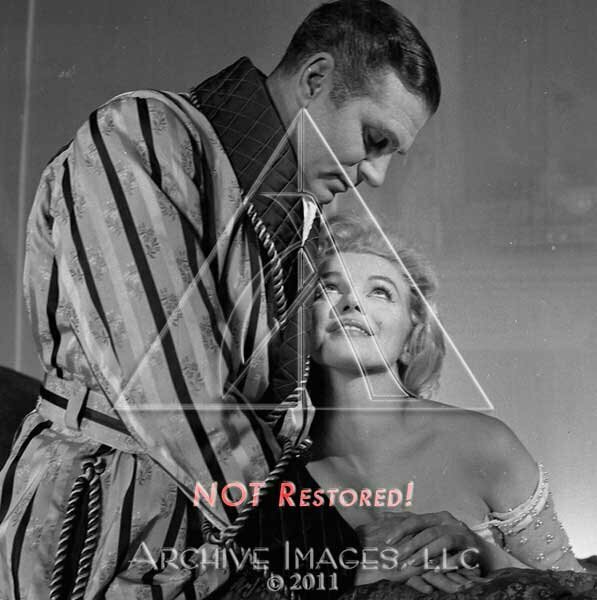 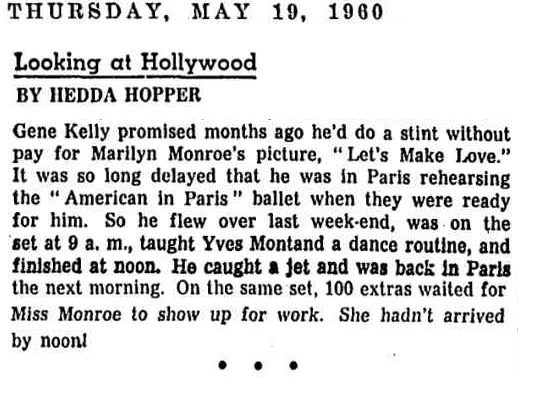 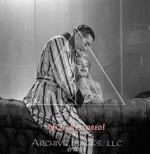 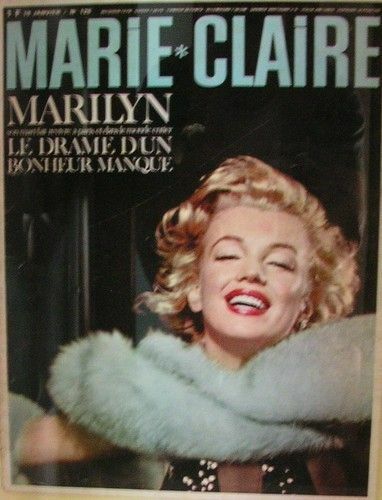 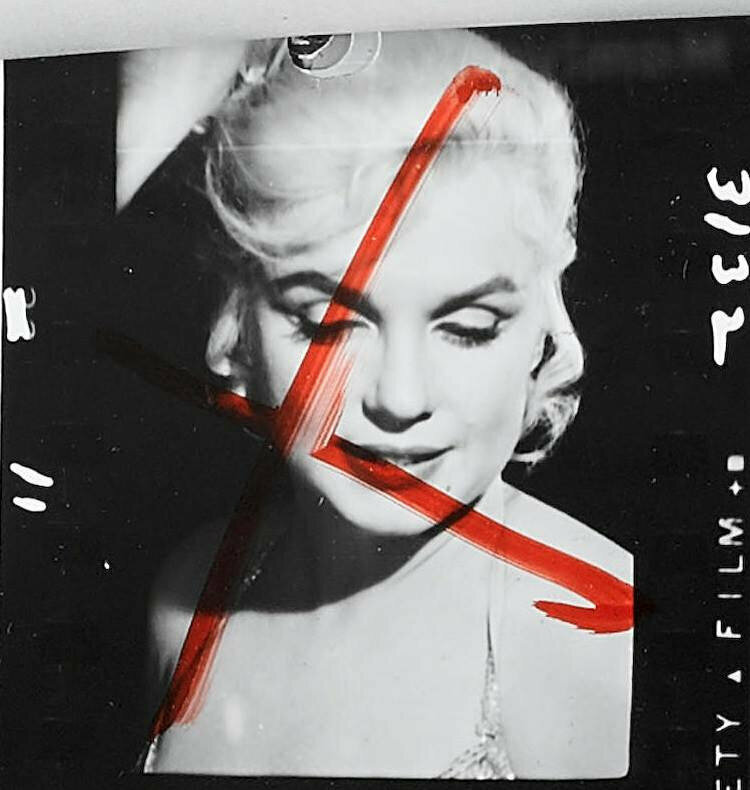 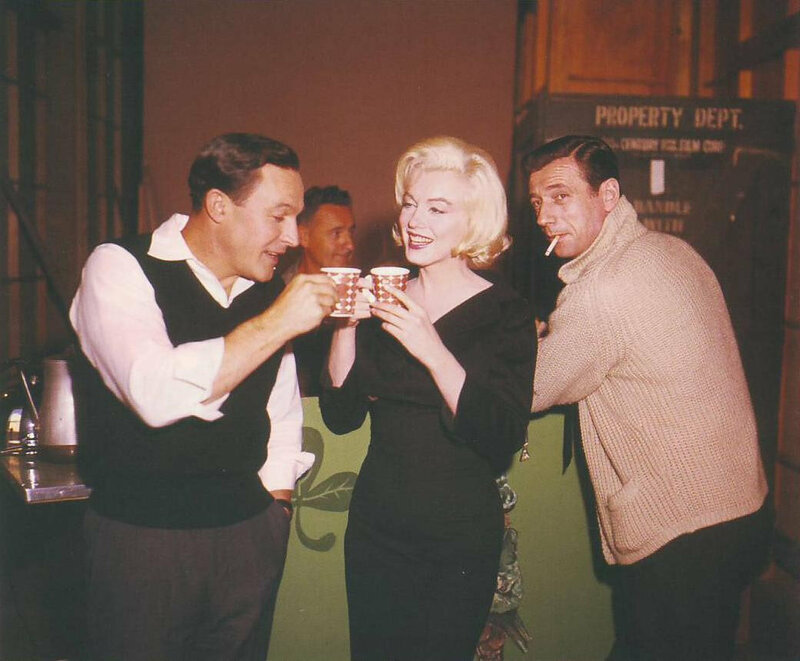 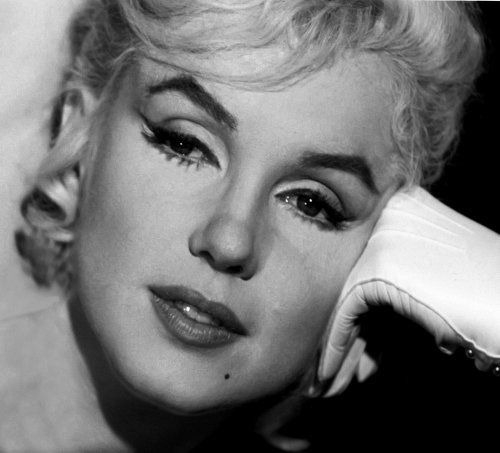 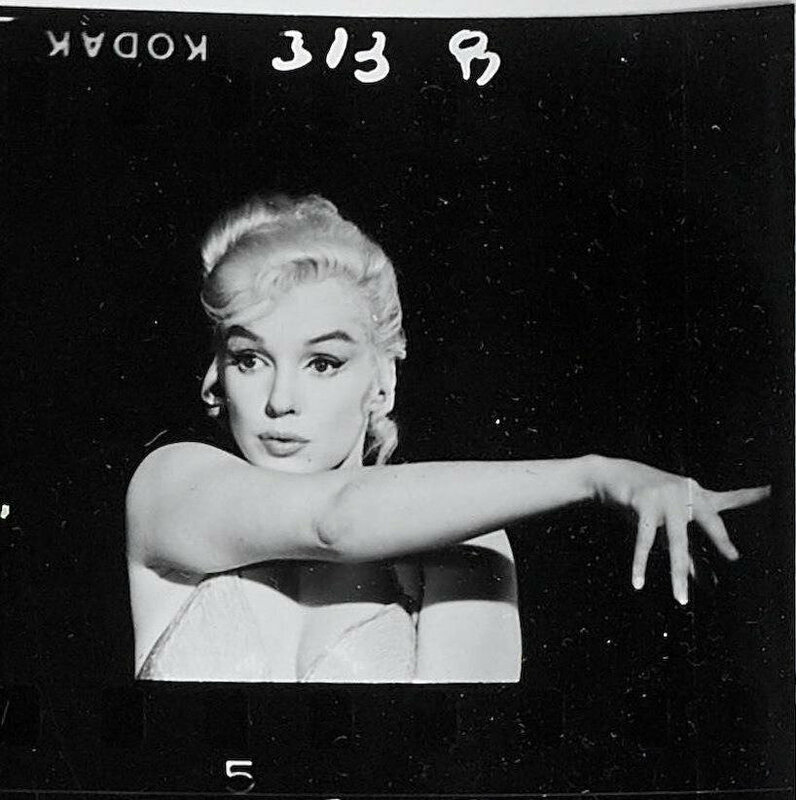 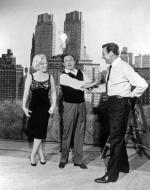 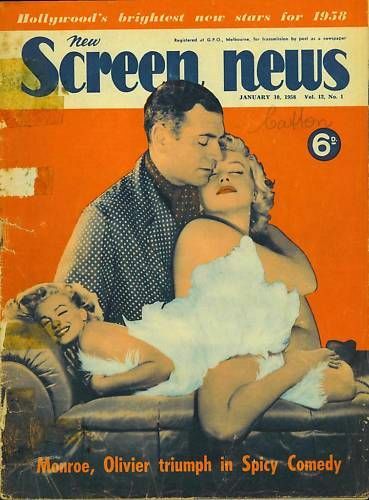 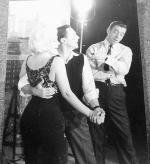 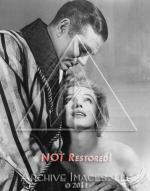 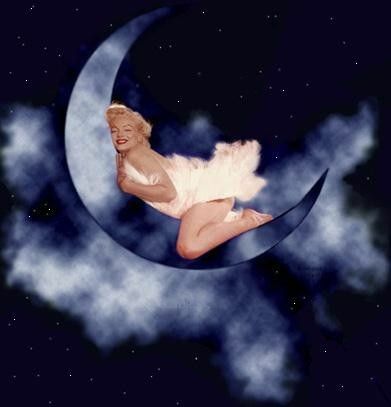 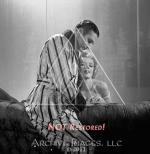 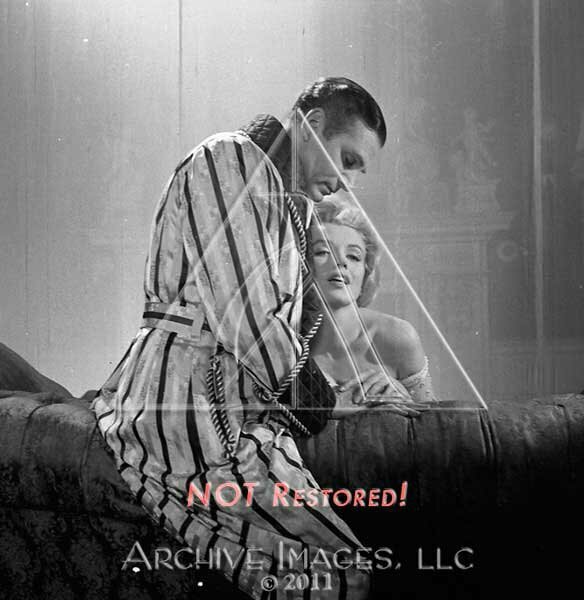 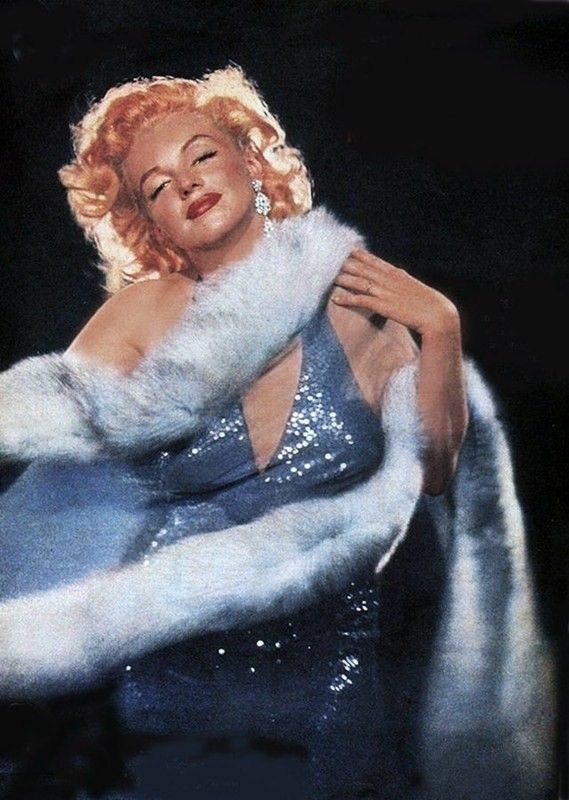 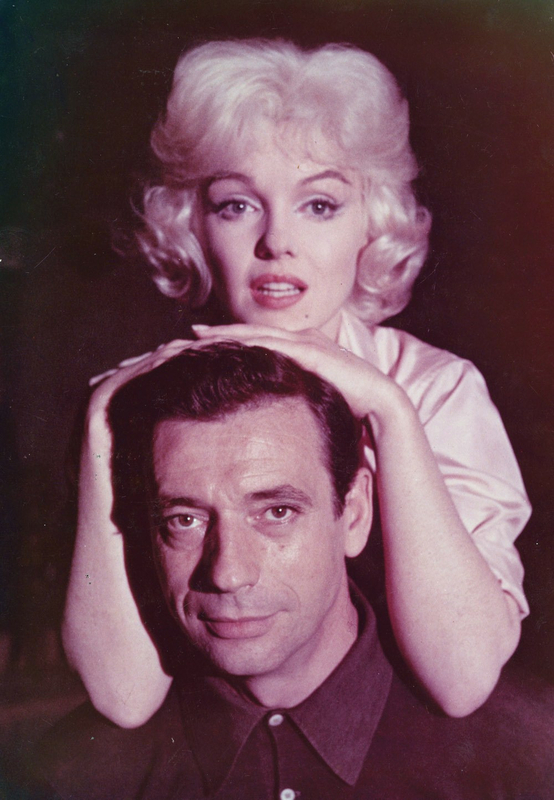 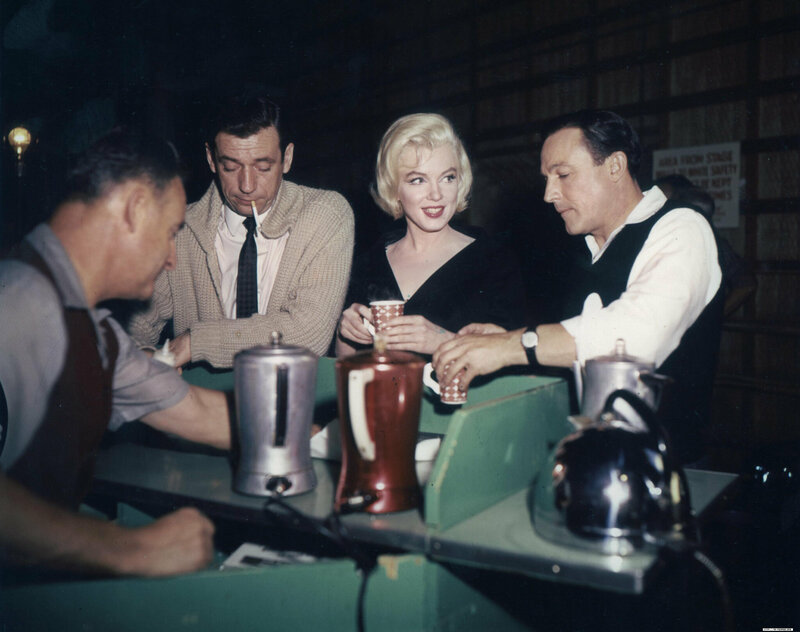 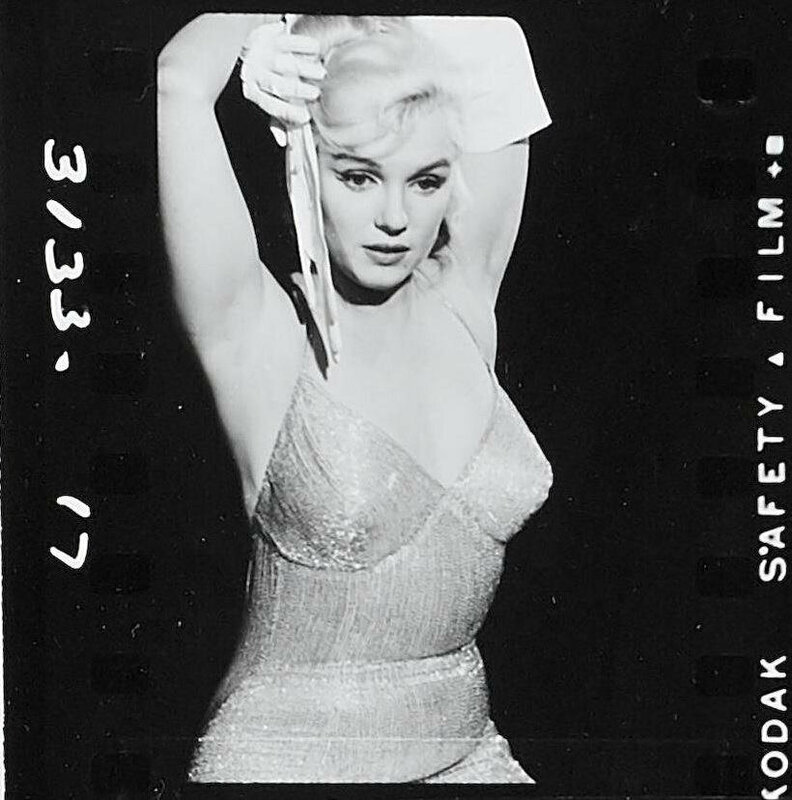 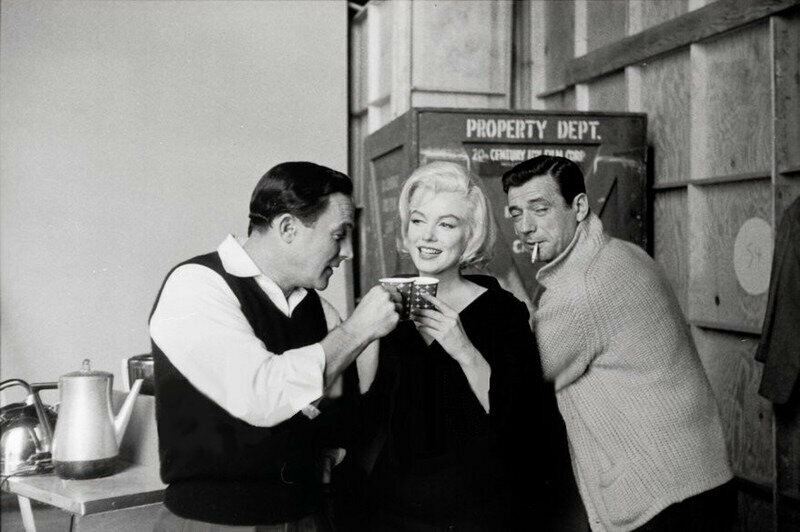 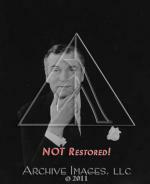 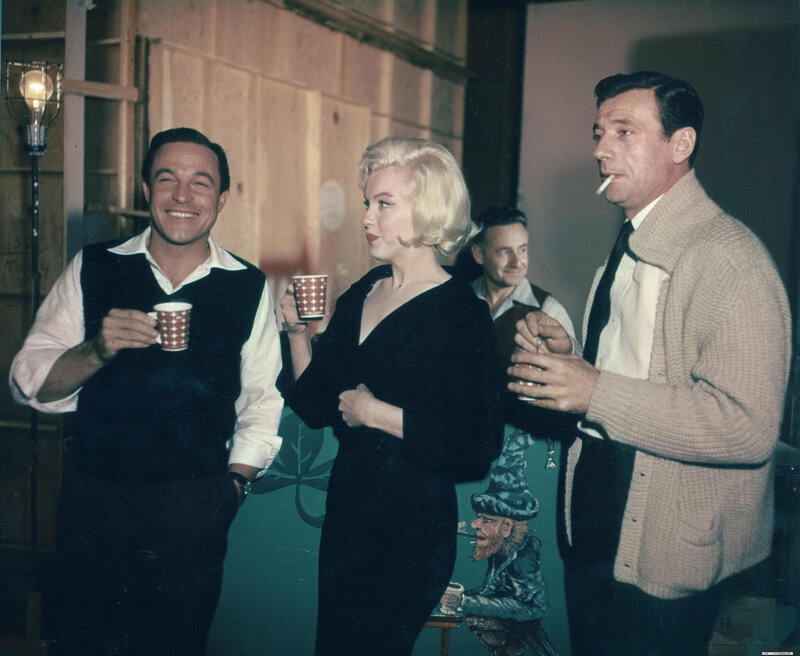 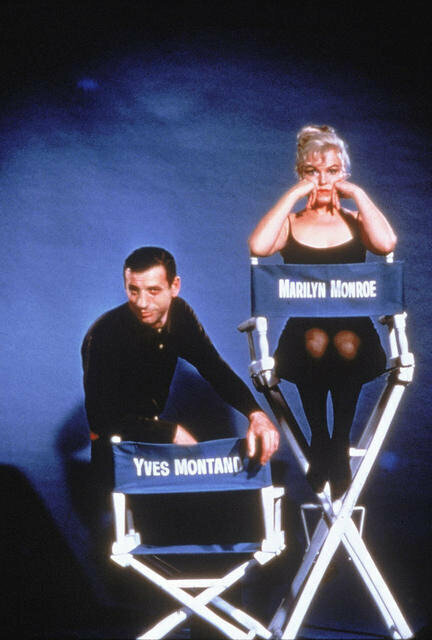 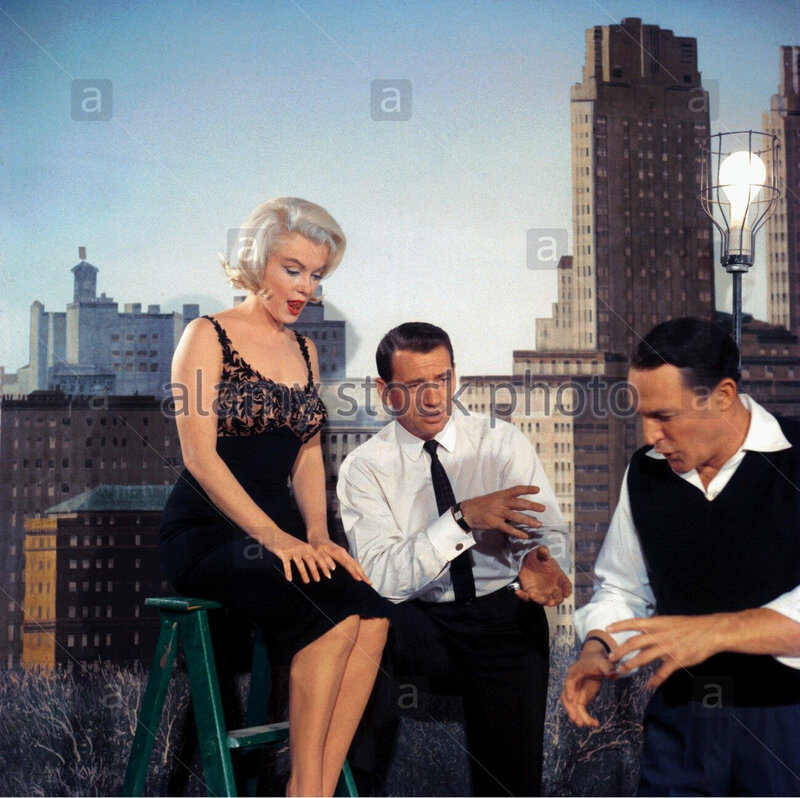 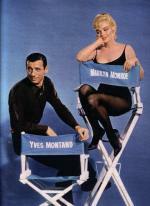 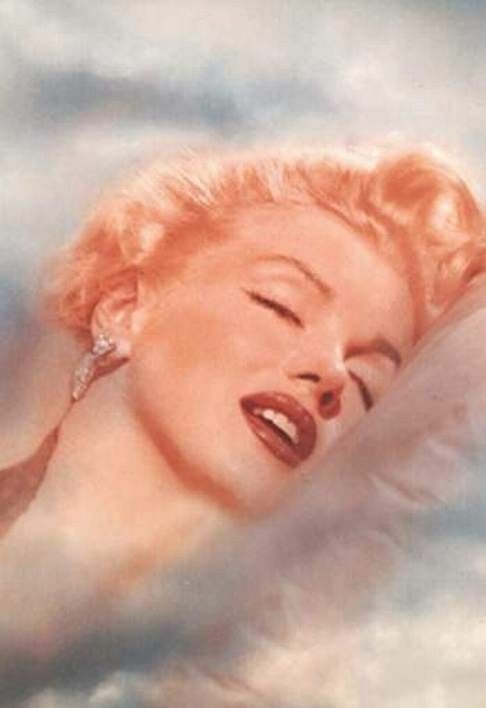 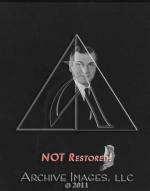 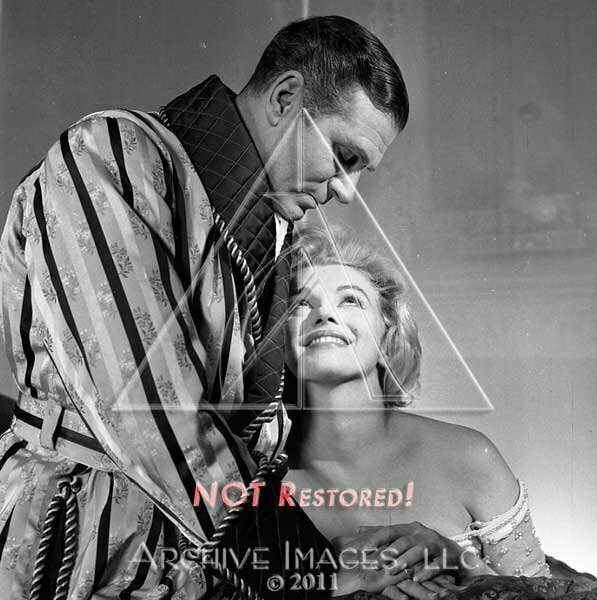 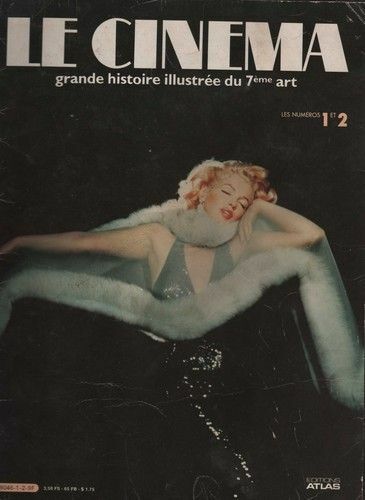 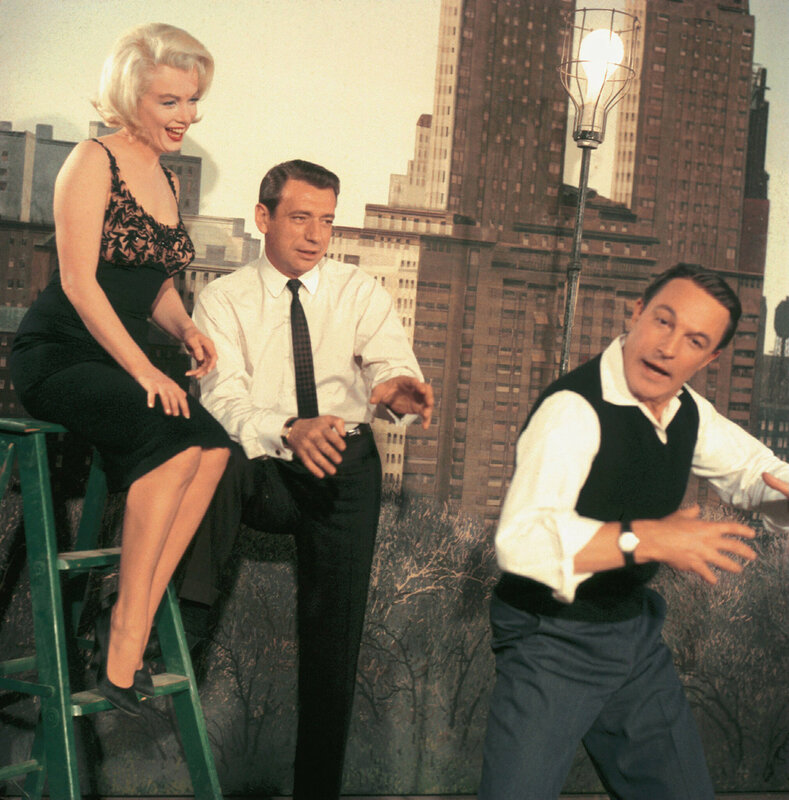 Includes images from Monroe's on-set birthday party where director George Cukor and co-star Yves Montand can also be seen. 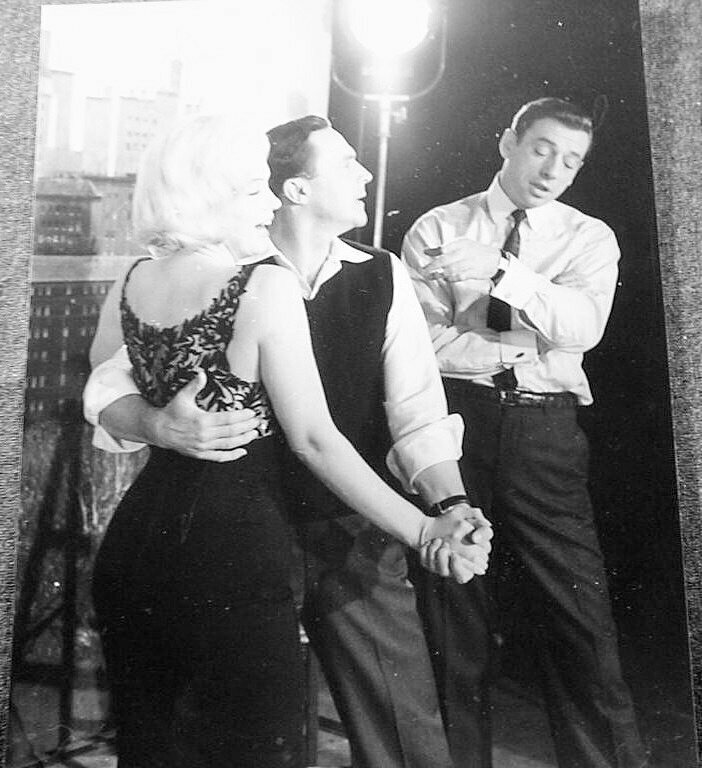 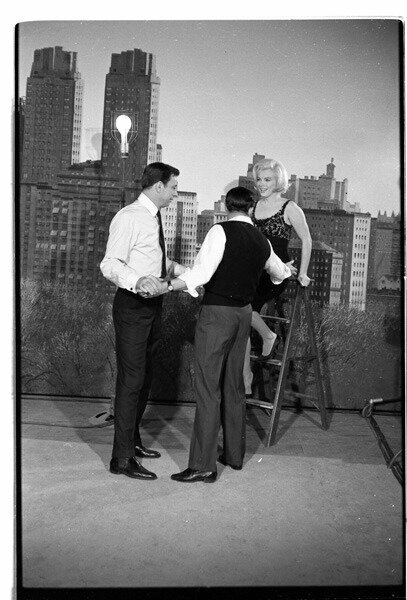 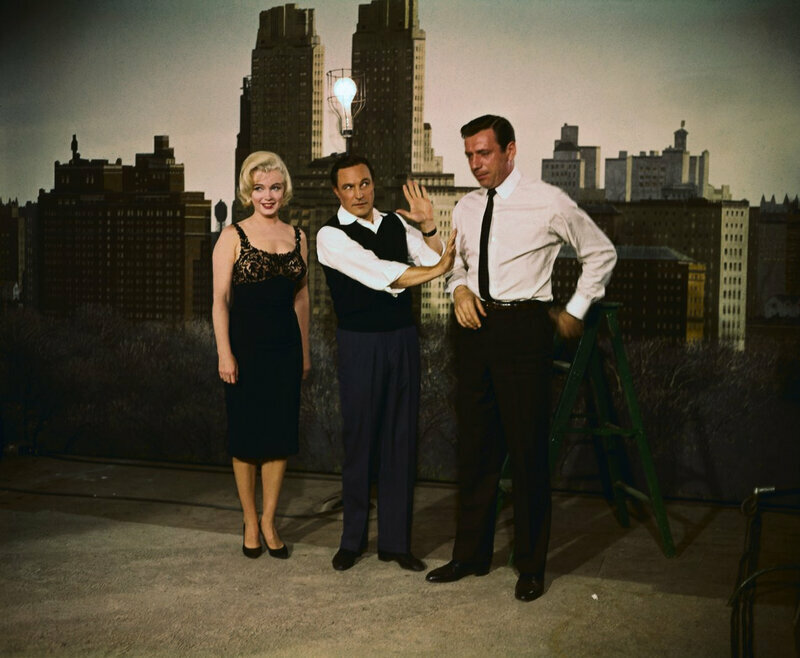 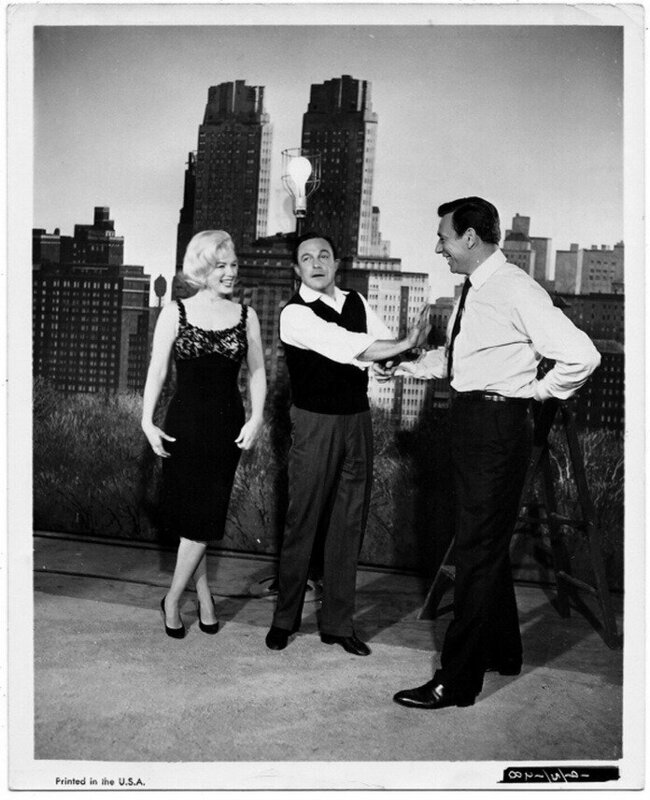 Three original vintage photographs of Marilyn Monroe with crew members on the set of Let's Make Love (20th Century 1960). 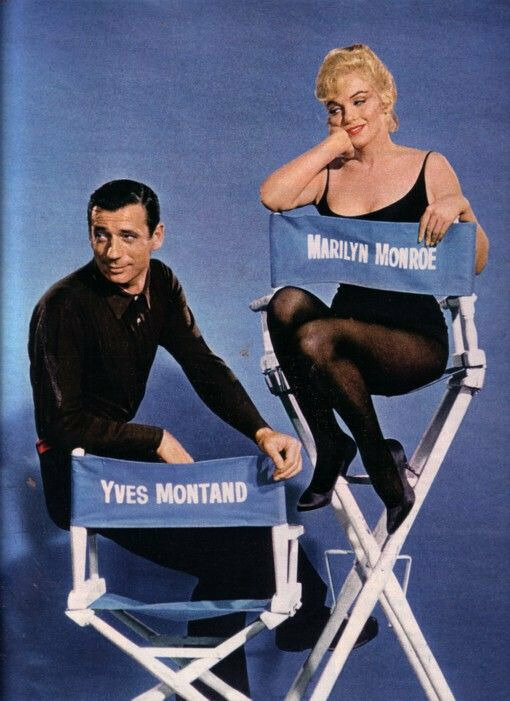 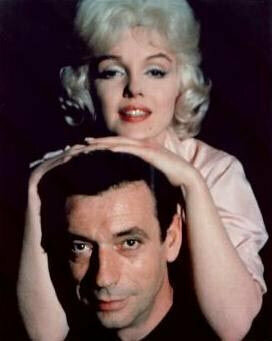 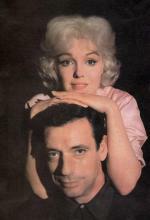 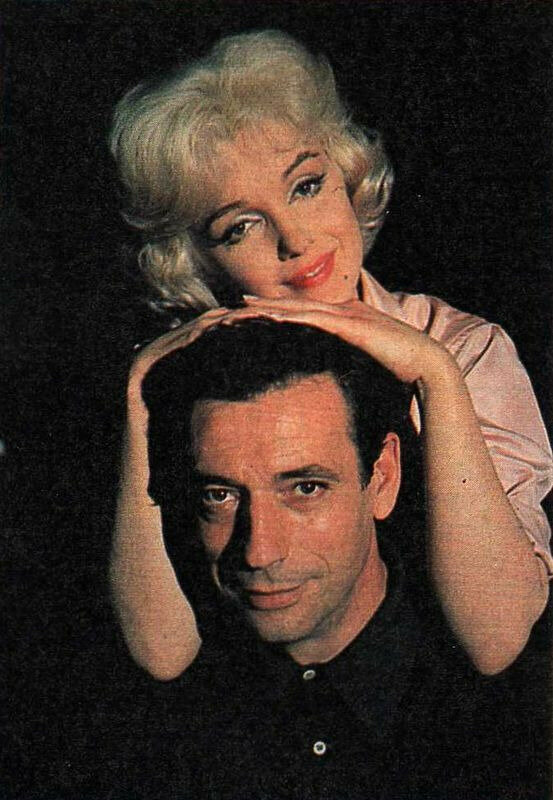 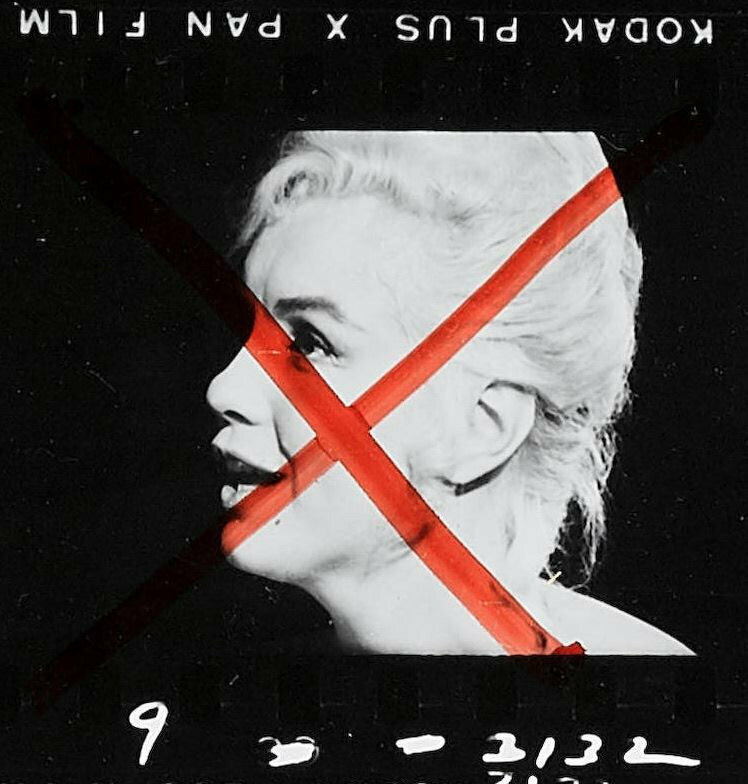 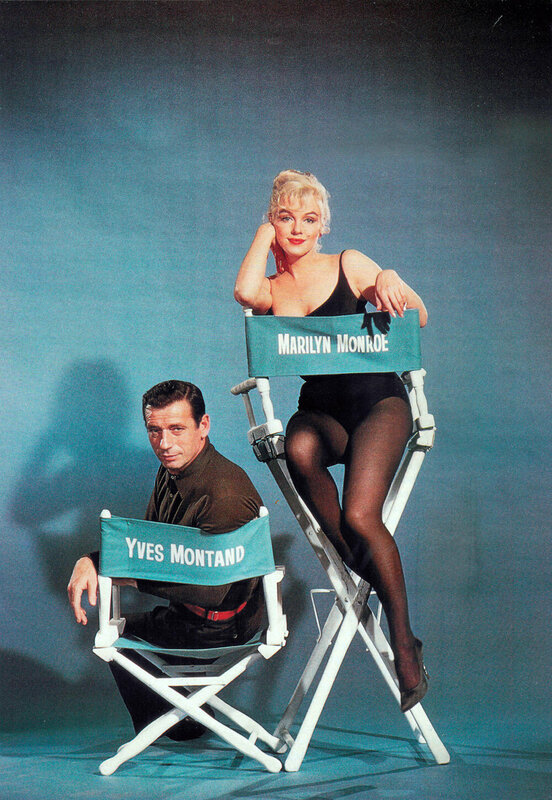 A Christmas greeting received by Marilyn Monroe from Yves Montand and Simone Signoret circa 1959. 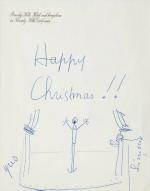 Created on Beverly Hills Hotel stationery in blue ink. 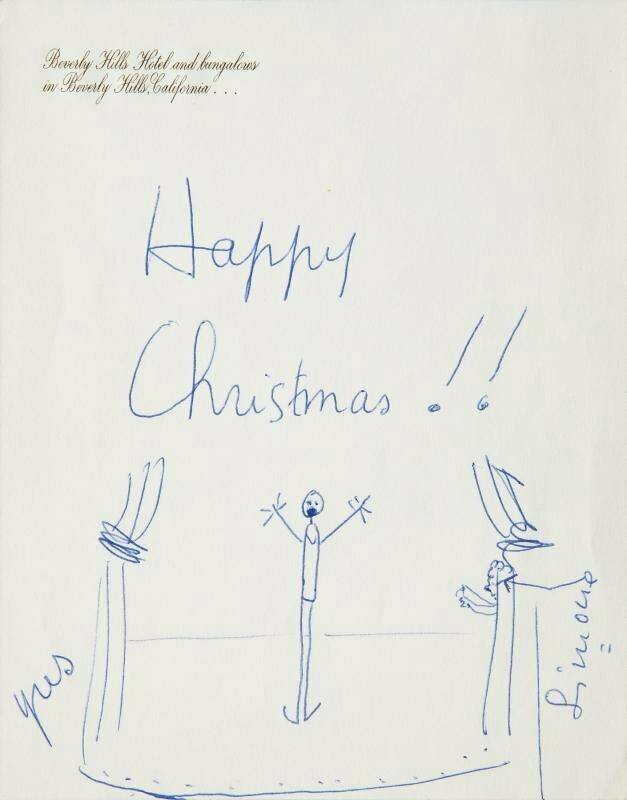 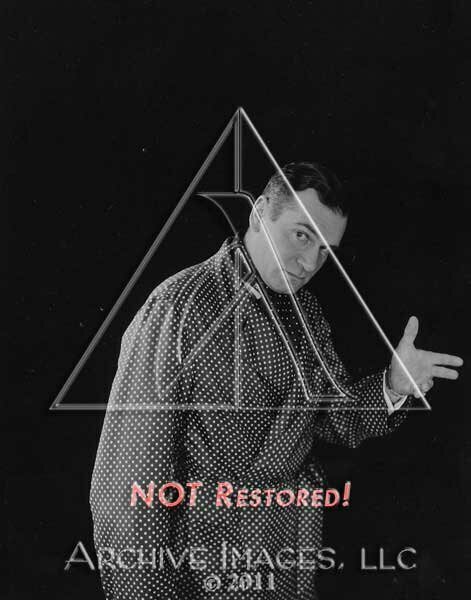 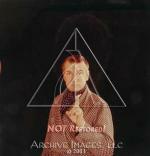 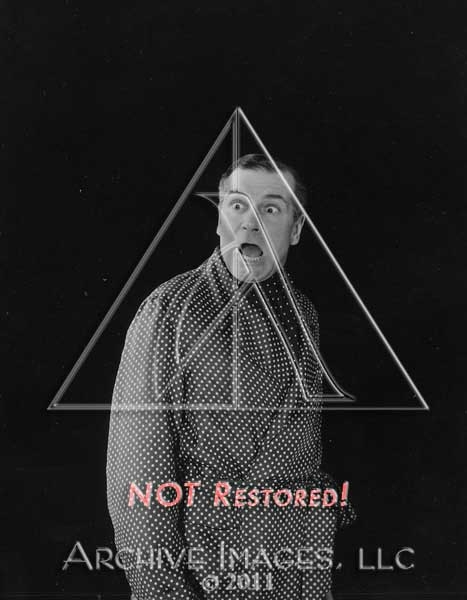 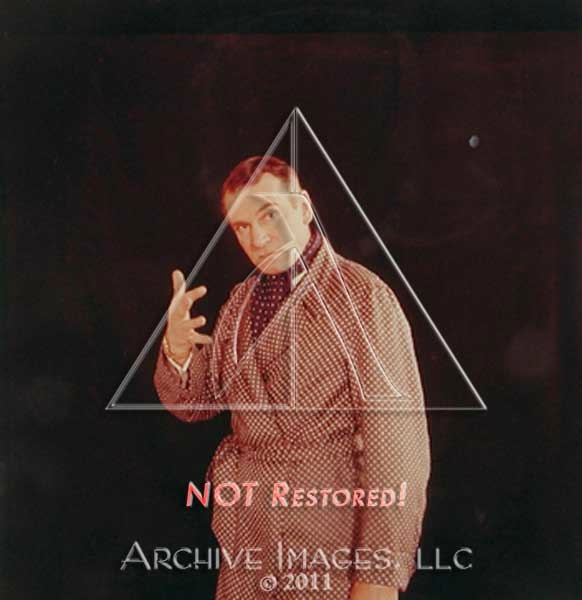 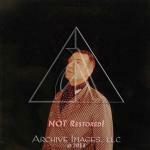 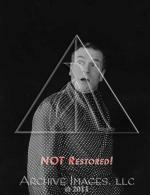 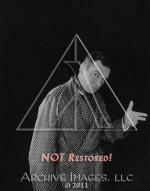 The central image is of a man on stage below the text "Happy/ Christmas!!" 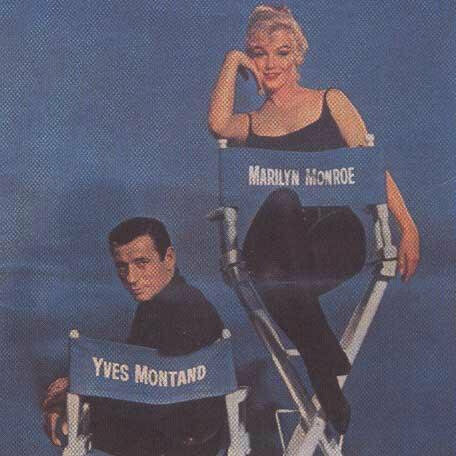 Signed on the left "Yves" and on the right "Simone."